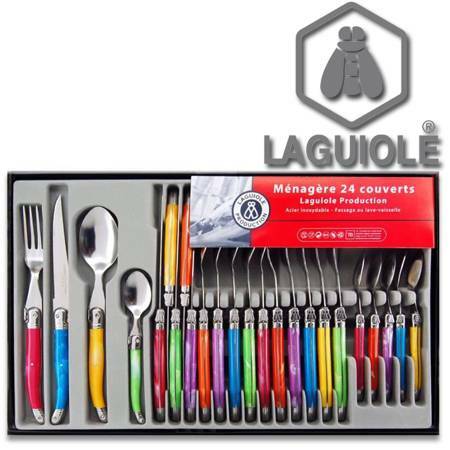 Prestation : MENAGERE 24 PIECES, LAGUIOLE - Port inclus. 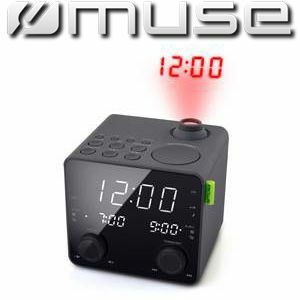 Prestation : RADIO REVEIL PROJECTEUR NOIR, MUSE - Port inclus. 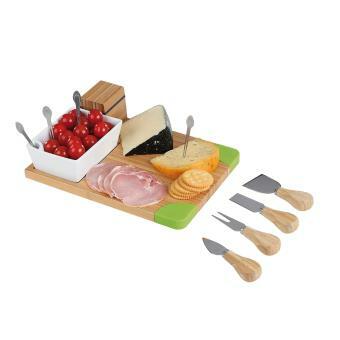 Prestation : SET APERITIF / FROMAGE, KITCHEN ARTIST - Port inclus. 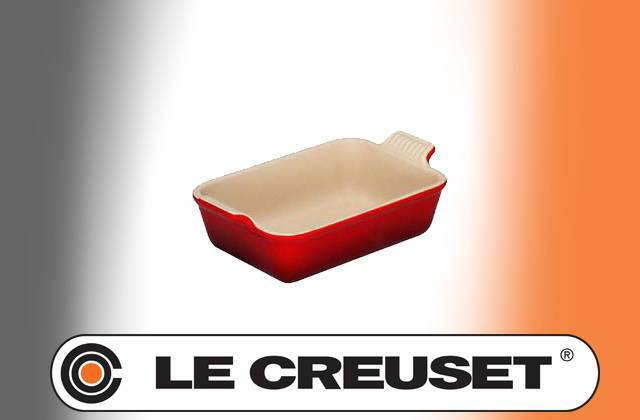 Prestation : PLAT A GRATIN 24 CM CERISE, LE CREUSET - Port inclus. 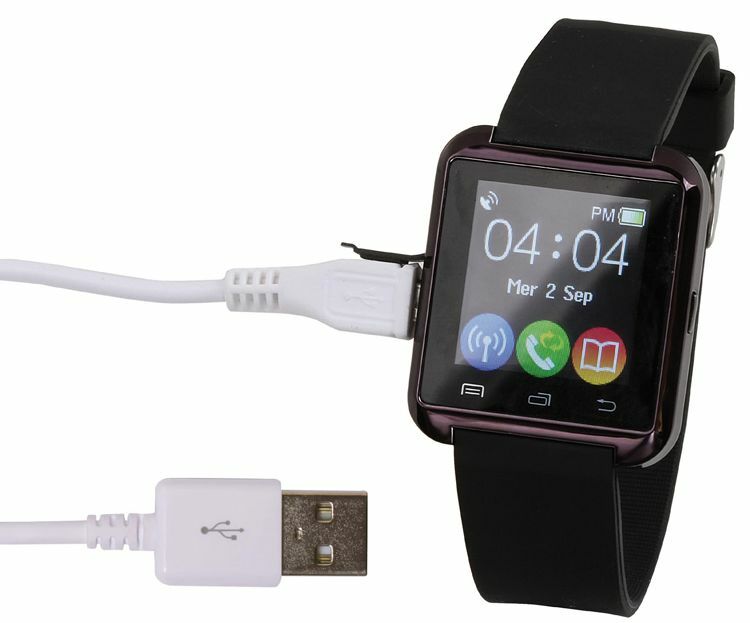 Prestation : MONTRE CONNECTEE NOIRE, CLIP SONIC - Port inclus. 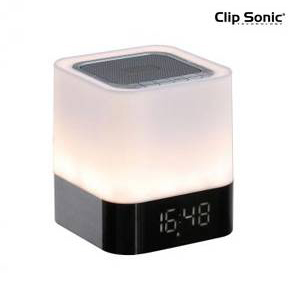 Prestation : ENCEINTE BLUETOOTH LUMIERE D'AMBIANCE, Maison - Port inclus. 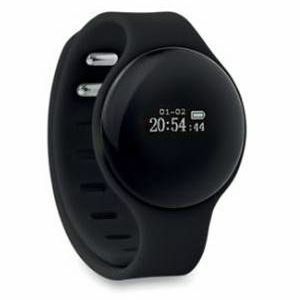 Prestation : MONTRE CONNECTEE NOIRE, ConnectedSwatch - Port inclus. 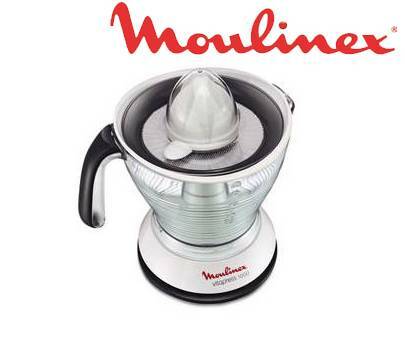 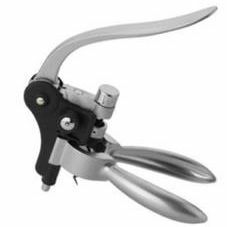 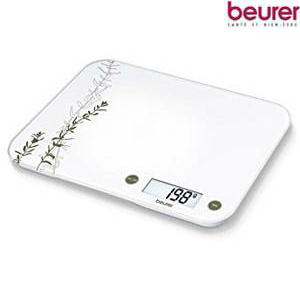 Prestation : MOULIN A LEGUMES INOX 24CM, MOULINEX - Port inclus. 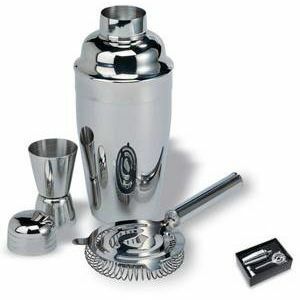 Prestation : SET COCKTAIL, Maison - Port inclus. 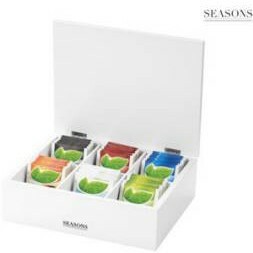 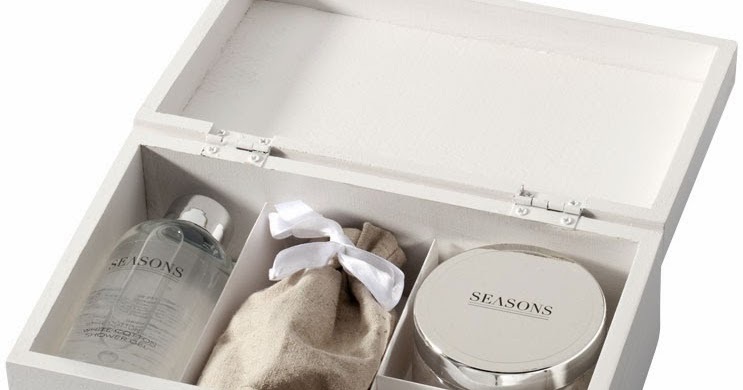 Prestation : COFFRET DE BAIN, SEASONS - Port inclus. 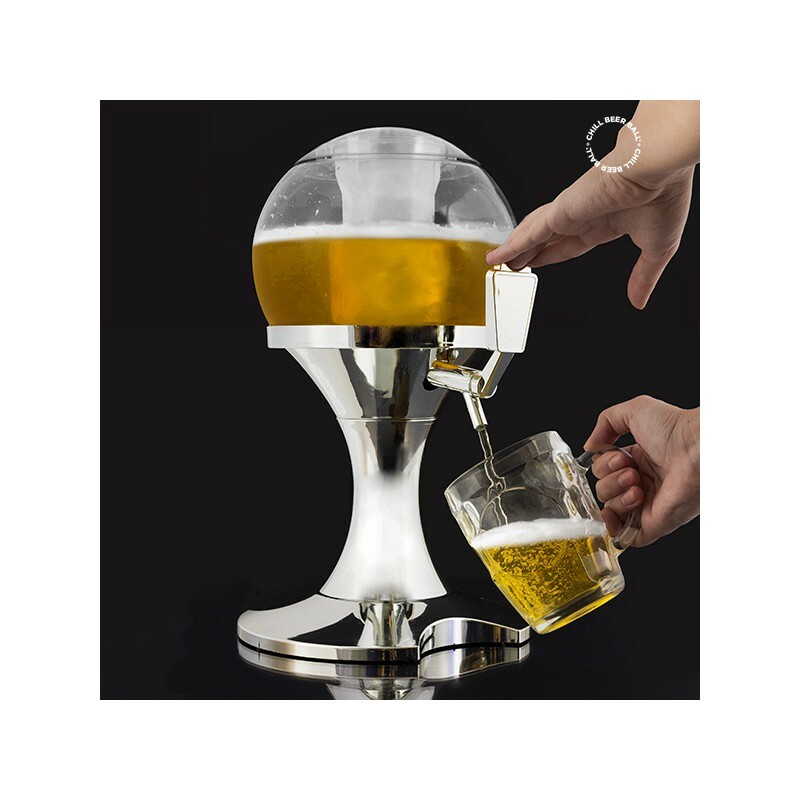 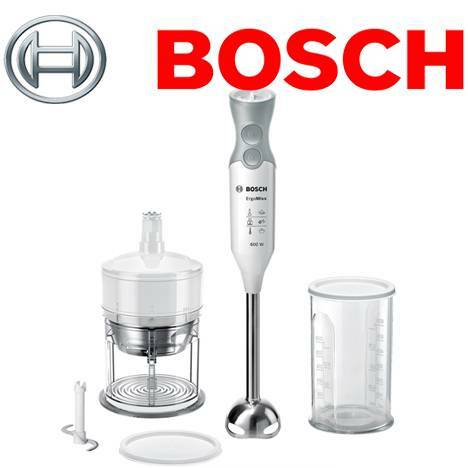 Prestation : MIXEUR PLONGEANT BLANC, BOSCH - Port inclus. 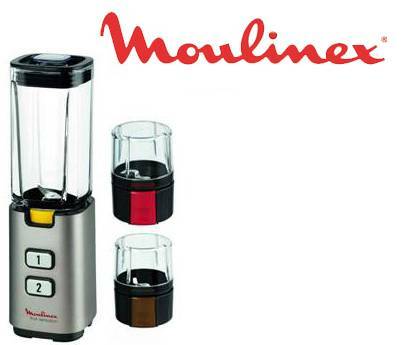 Prestation : MIXEUR BLENDER ROUGE, DOMOCLIP - Port inclus. 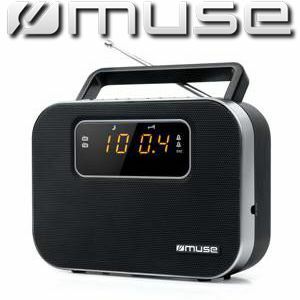 Prestation : RADIO PORTABLE NOIRE, MUSE - Port inclus. 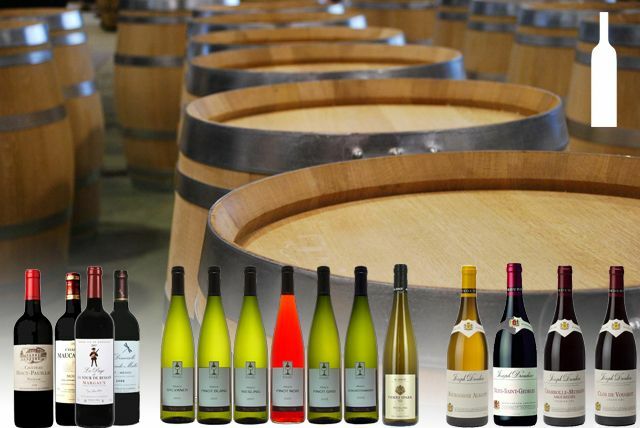 Prestation : TIRE-BOUCHON, Maison - Port inclus. 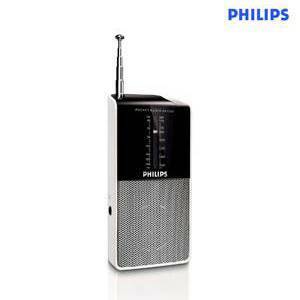 Prestation : RADIO PORTABLE, PHILIPS - Port inclus. 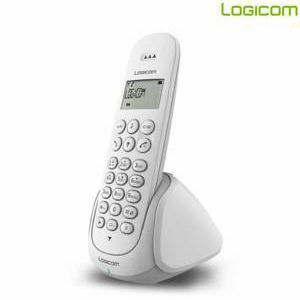 Prestation : TELEPHONE SANS FIL BLANC, LOGICOM - Port inclus. 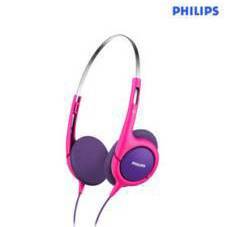 Prestation : CASQUE BLUETOOTH, CLIP SONIC - Port inclus. 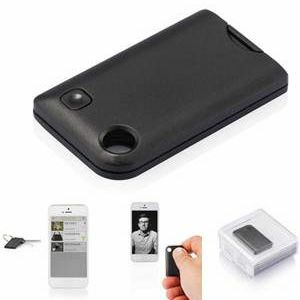 Prestation : SELFIE ET RETROUVE-CLES, Selfies - Port inclus. 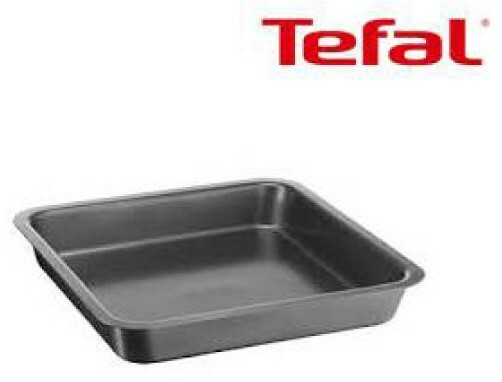 Prestation : CASSEROLE INOX 20 CM, TEFAL - Port inclus. 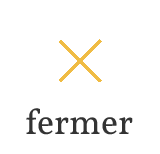 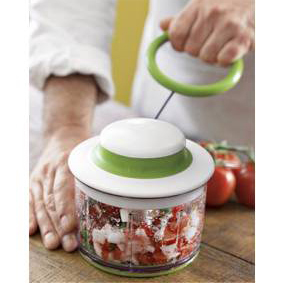 Prestation : EMULSIONNEUR A VINAIGRETTE, CHEF'N - Port inclus. 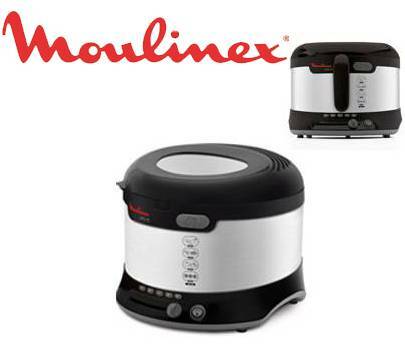 Prestation : PRESSE AGRUMES, MOULINEX - Port inclus. 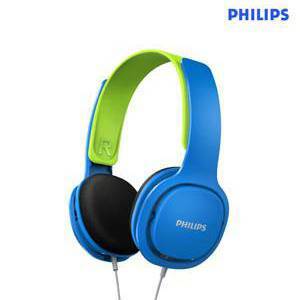 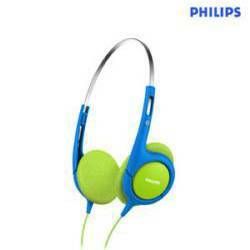 Prestation : CASQUE FILAIRE ENFANT BLEU ET VERT, PHILIPS - Port inclus. 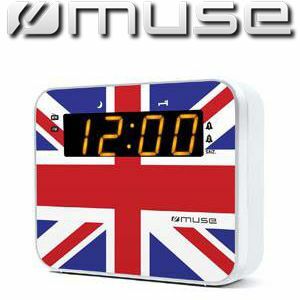 Prestation : RADIO REVEIL UK, MUSE - Port inclus. 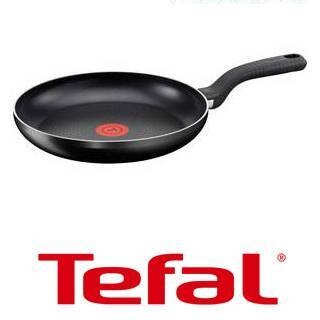 Prestation : POELE 28 CM, TEFAL - Port inclus. 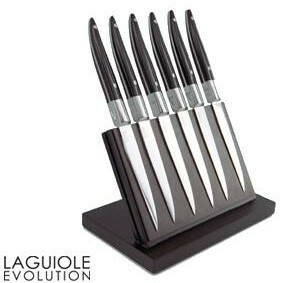 Prestation : COFFRET DE 6 COUTEAUX, LAGUIOLE EVOLUTION - Port inclus. 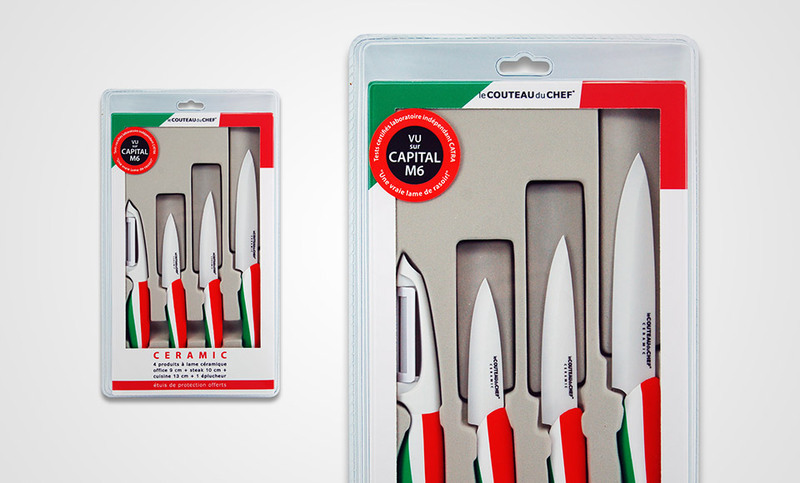 Prestation : USTENSILES CUISINE, LE COUTEAU DU CHEF - Port inclus. 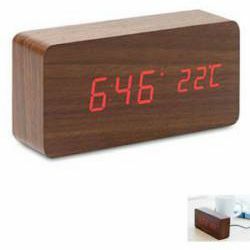 Prestation : REVEIL EN BOIS, Maison - Port inclus. 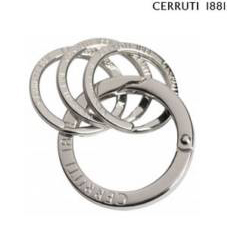 Prestation : PORTE-CLEFS, CERRUTI-1881 - Port inclus. 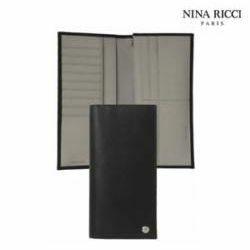 Prestation : PORTE-CLEFS, NINA RICCI - Port inclus. 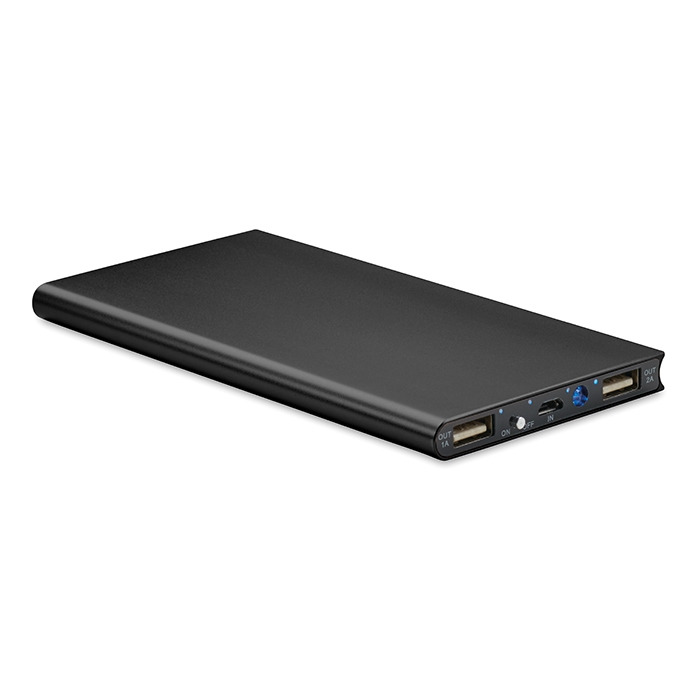 Prestation : POWERBANK 8000 mAh titanum, Powerbanxk - Port inclus. 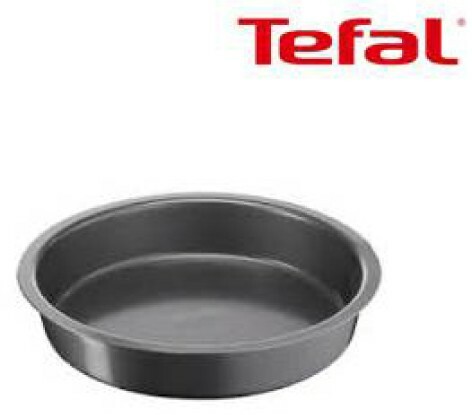 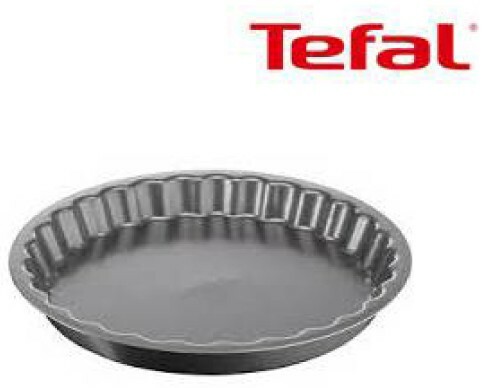 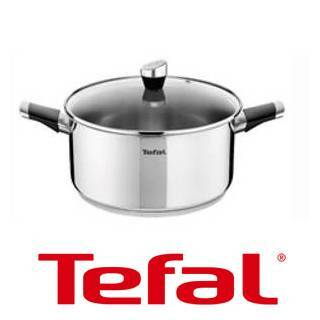 Prestation : CASSEROLE 18 CM INOX, TEFAL - Port inclus. 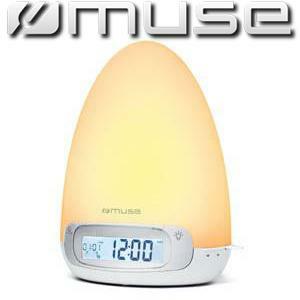 Prestation : ENCEINTE BLUETOOTH BLANCHE, MUSE - Port inclus. 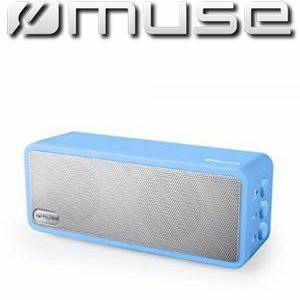 Prestation : ENCEINTE BLUETOOTH BLEUE, MUSE - Port inclus. 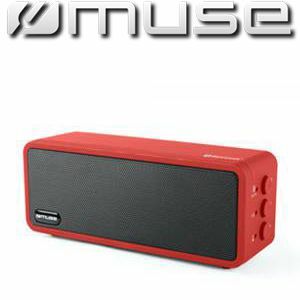 Prestation : ENCEINTE BLUETOOTH ROUGE, MUSE - Port inclus. 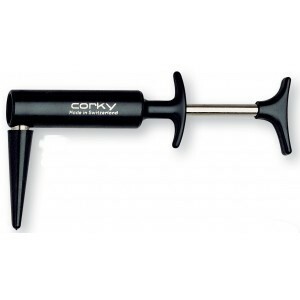 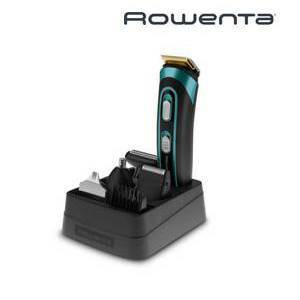 Prestation : TONDEUSE NEZ/OREILLES, ROWENTA - Port inclus. 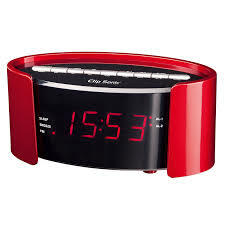 Prestation : RADIO REVEIL ROUGE, CLIP SONIC - Port inclus. 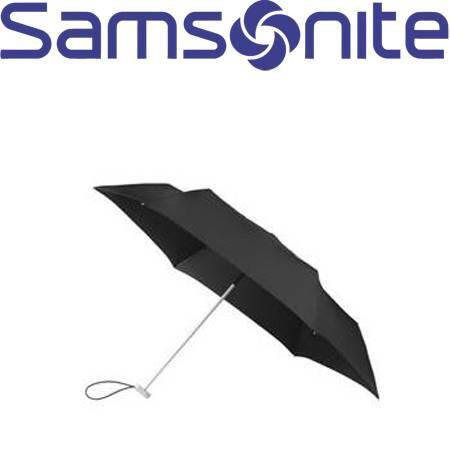 Prestation : PARAPLUIE NOIR, SAMSONITE - Port inclus. 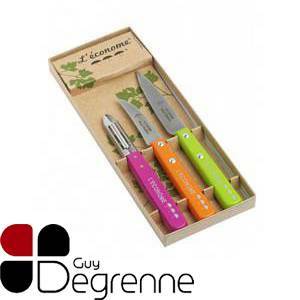 Prestation : COFFRET 4 PIECES CERAMIQUES, LE COUTEAU DU CHEF ou PRADEL - Port inclus. 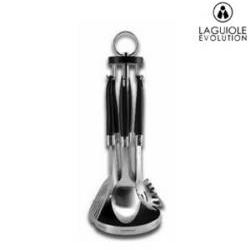 Prestation : COFFRET 6 COUTEAUX, LAGUIOLE EVOLUTION - Port inclus. 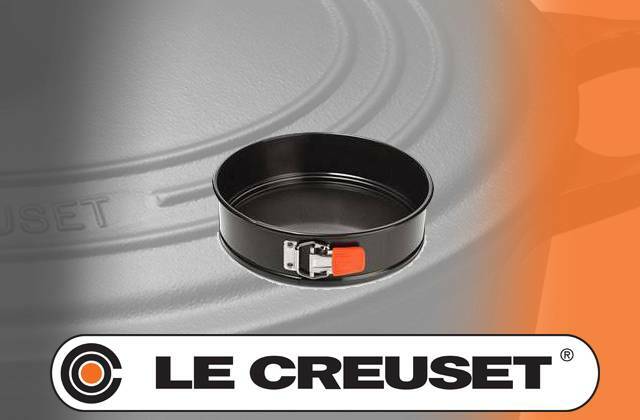 Prestation : MINI COCOTTE RONDE NOIRE, LE CREUSET - Port inclus. 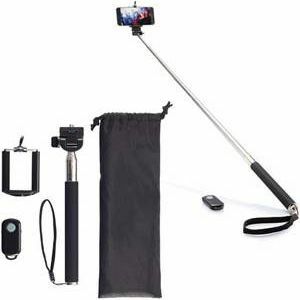 Prestation : PERCHE A SELFIES AVEC TELECOMMANDE, Perche à Seflies - Port inclus. 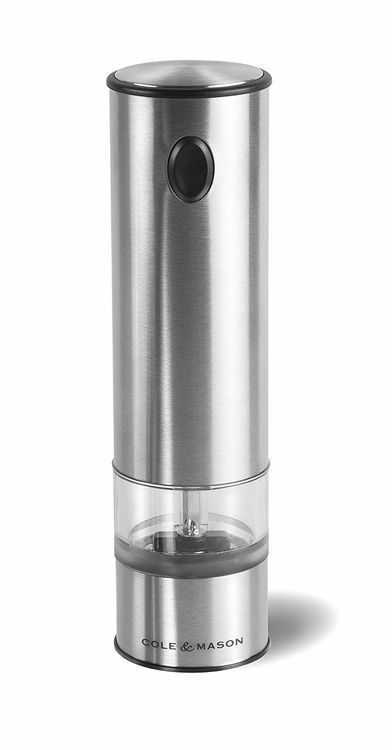 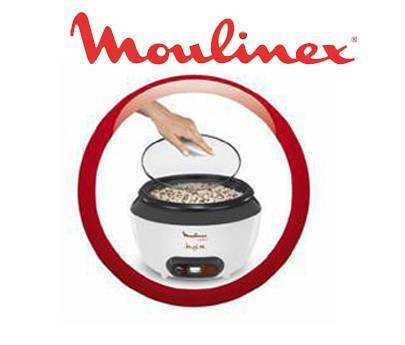 Prestation : MOULIN A LEGUMES INOX, MOULINEX - Port inclus. 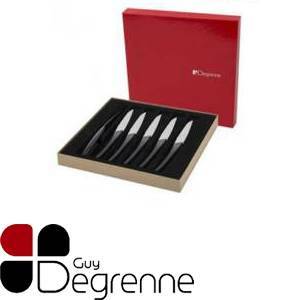 Prestation : COFFRET 3 ACCESSOIRES DE CUISINE, GUY DEGRENNE - Port inclus. 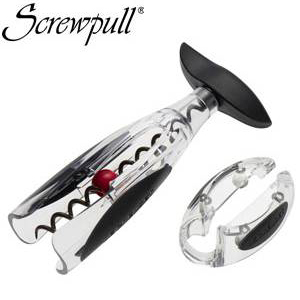 Prestation : TIRE BOUCHON SOMMELIERS, SCREWPULL - Port inclus. 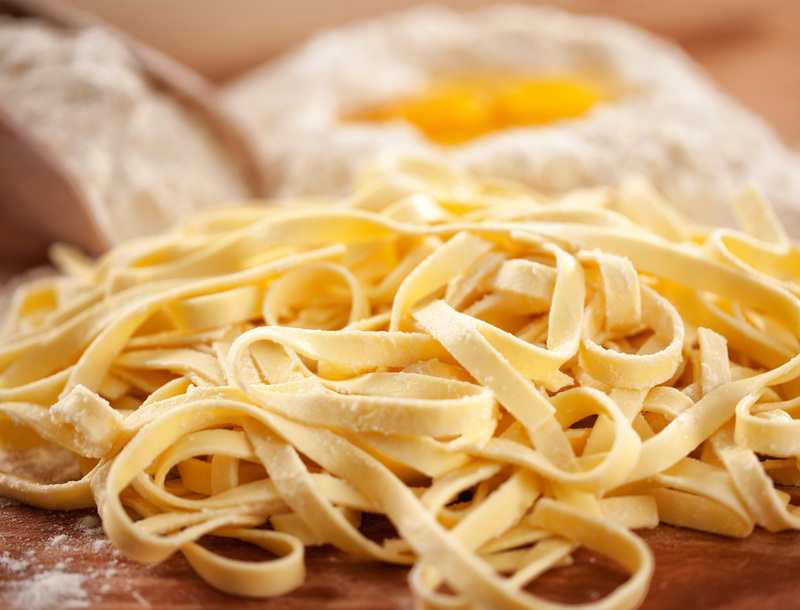 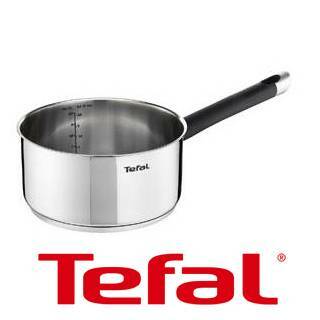 Prestation : PLAT A ROTIR, TEFAL - Port inclus. 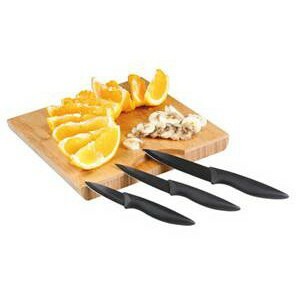 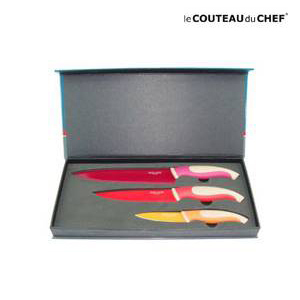 Prestation : COFFRET 3 COUTEAUX, LE COUTEAU DU CHEF - Port inclus. 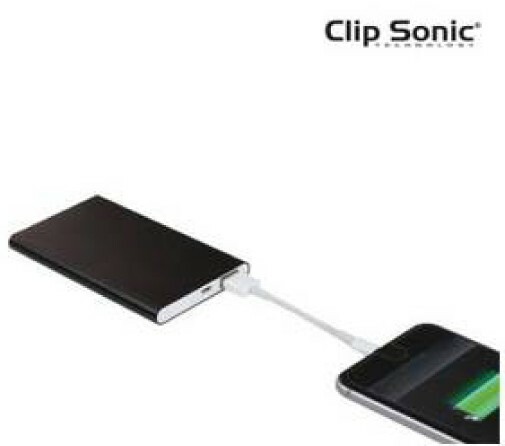 Prestation : Power Bank USB avec LED 4400 mAh, livraison comprise. 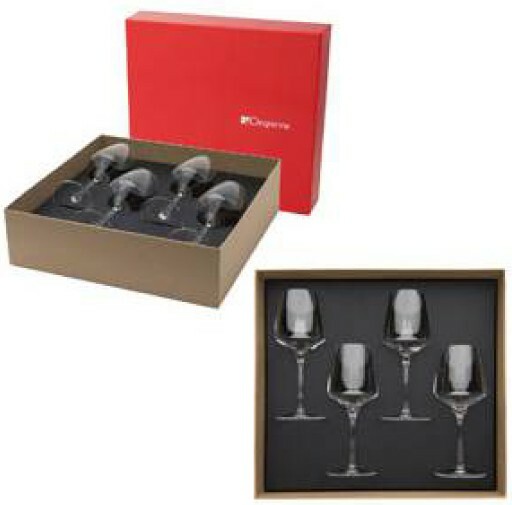 Prestation : COFFRET WHISKY + 2 VERRES BALLANTINE'S, livraison en sus. 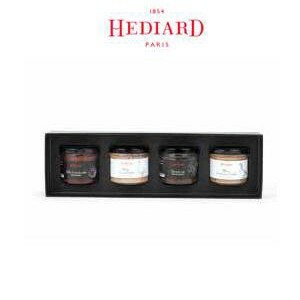 Prestation : ECRIN DE PATES DE FRUITS HEDIARD Port inclus. 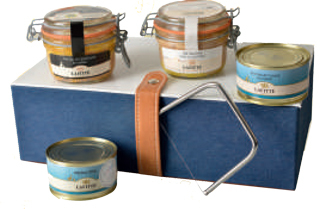 Prestation : COFFRET DE LA MER SUDREAU, livraison en sus. 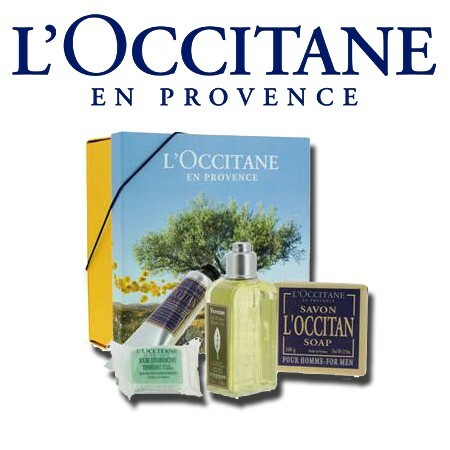 Prestation : COFFRET OCCITAN L'OCCITANE, livraison en sus. 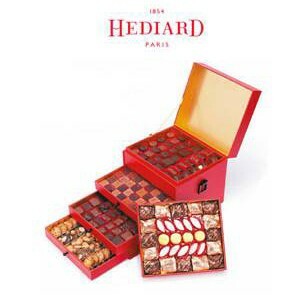 Prestation : ASSORTIMENT CHOCOLAT-CONFISERIE HEDIARD Port inclus. 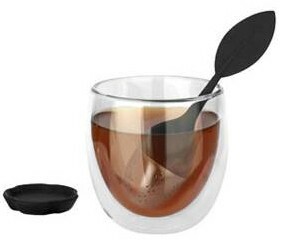 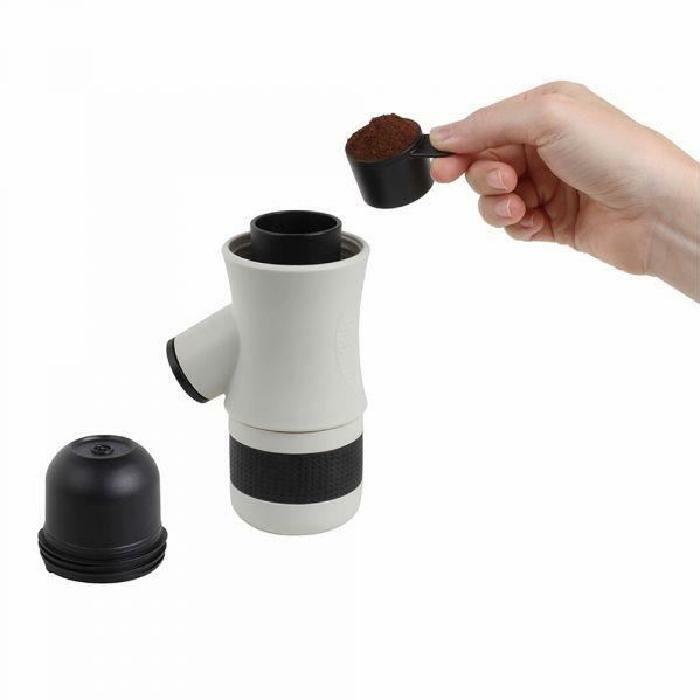 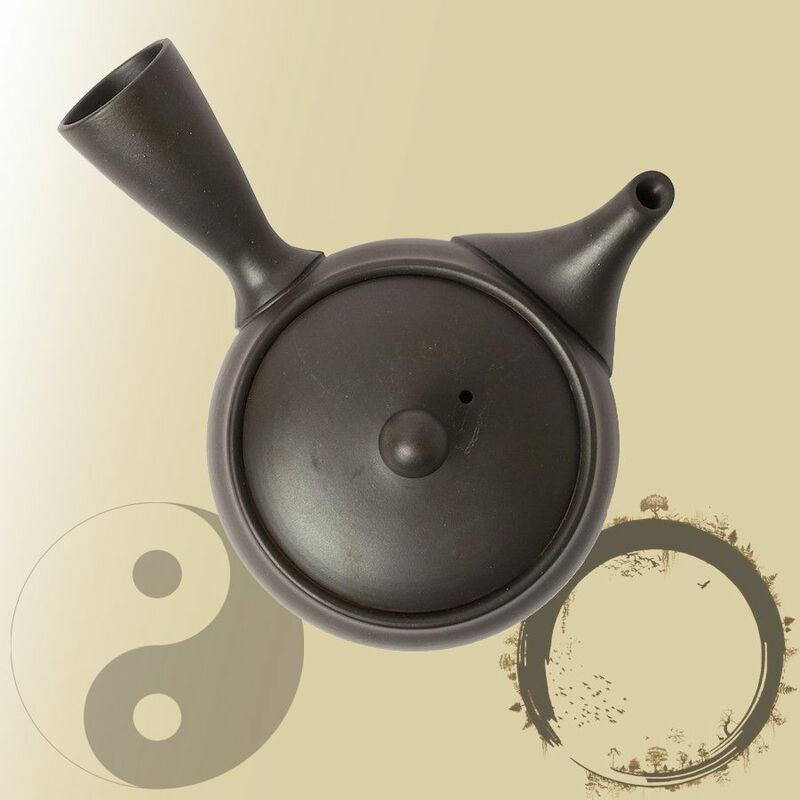 Prestation : CAFETIERE 10 TASSES DOMOCLIP Port inclus. 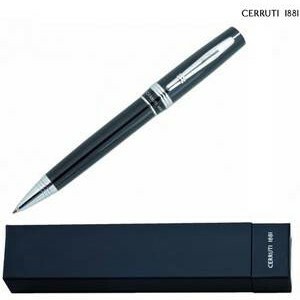 Prestation : STYLO BILLE CERRUTI-1881 Port inclus. 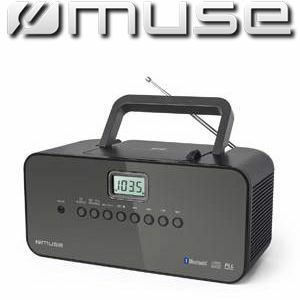 Prestation : RADIO DESIGN ORIGINAL MUSE Port inclus. 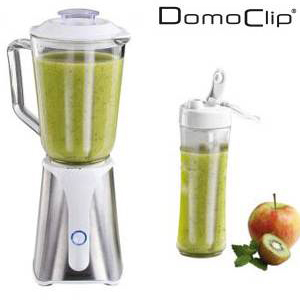 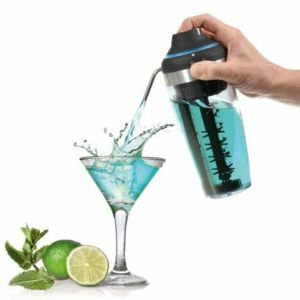 Prestation : MIXEUR BLENDER DOMOCLIP (Vert) Port inclus. 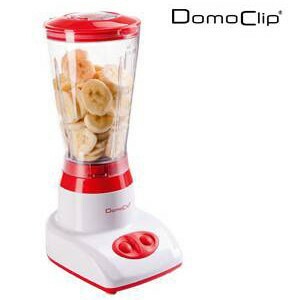 Prestation : MIXEUR BLENDER DOMOCLIP Port inclus. 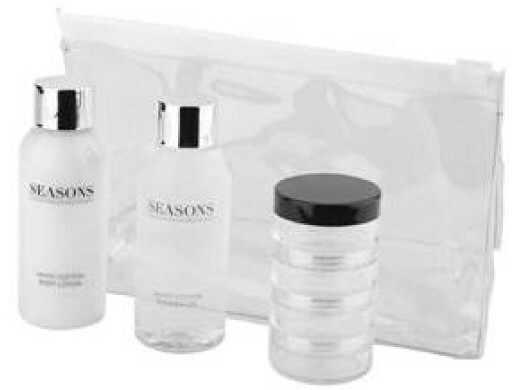 Prestation : BOITE A THE SEASONS Port inclus. 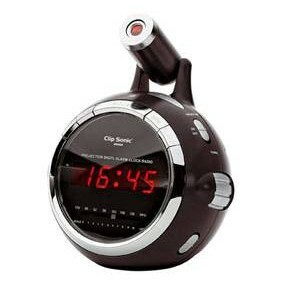 Prestation : RADIO REVEIL PROJECTEUR CLIP SONIC Port inclus. 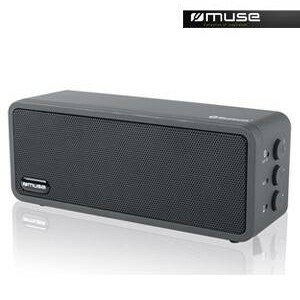 Prestation : ENCEINTE BLUETOOTH NOIR MUSE Port inclus. 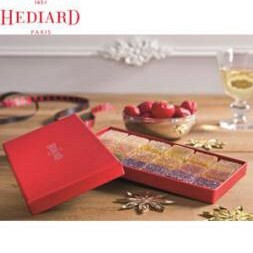 Prestation : ECRIN DE 12 CHOCOLATS HEDIARD Port inclus. 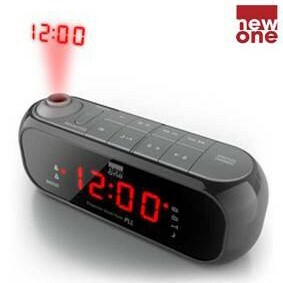 Prestation : RADIO REVEIL PROJECTEUR NOIR NEW ONE Port inclus. 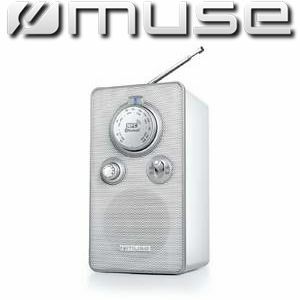 Prestation : RADIO 4 BANDES MUSE Port inclus. 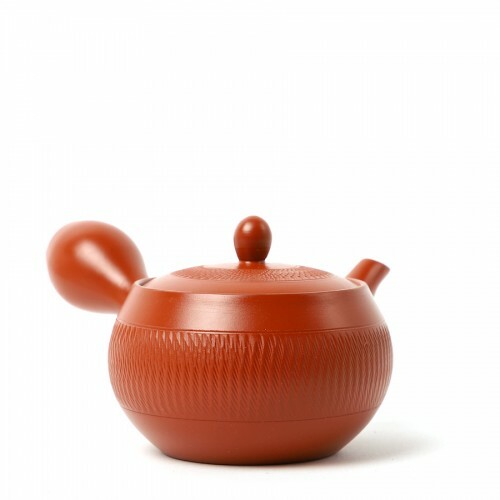 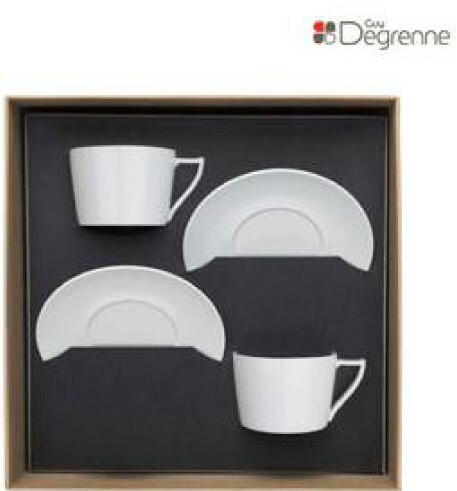 Prestation : COFFRET CERAMIQUE 3 PIECES KITCHEN ARTIST Port inclus. 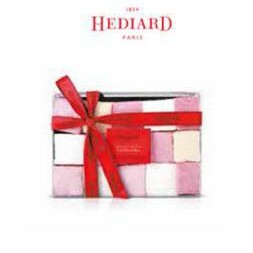 Prestation : COFFRET BOITE FANTAISIES HEDIARD Port inclus. 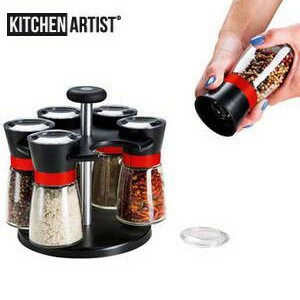 Prestation : BALANCE KITCHEN ARTIST Port inclus. 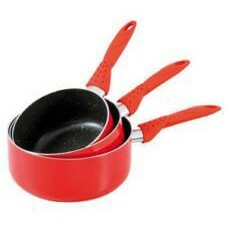 Prestation : SET DE 3 COUTEAUX CÉRAMIQUE Port inclus. 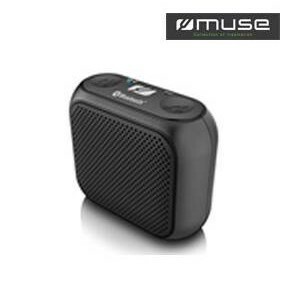 Prestation : ENCEINTE BLUETOOTH NOIRE MUSE Port inclus. 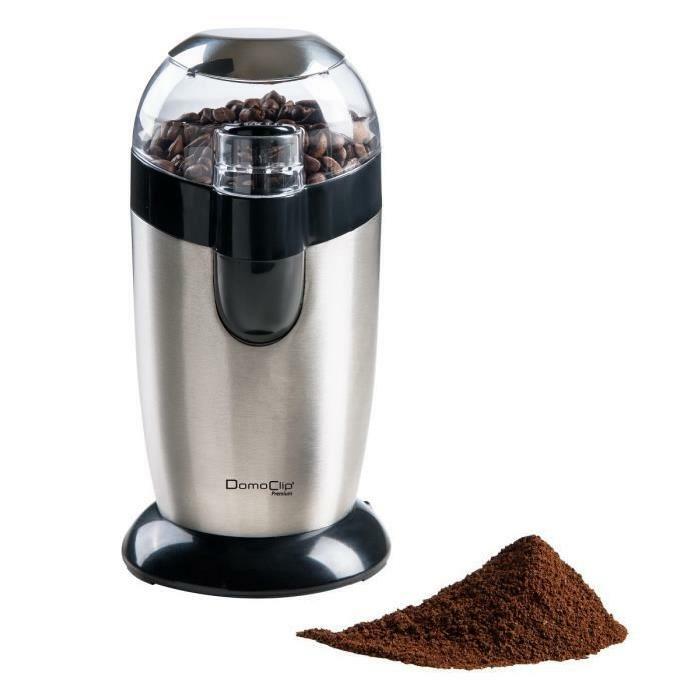 Prestation : Tasses expresso 6 centillitres - Guy Degrenne, port inclus. 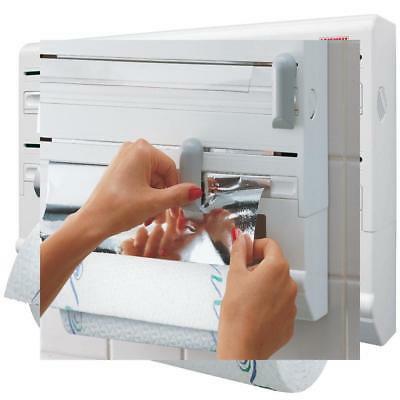 Prestation : Votre cave sur mesure (2 bouteilles), livraison comprise. 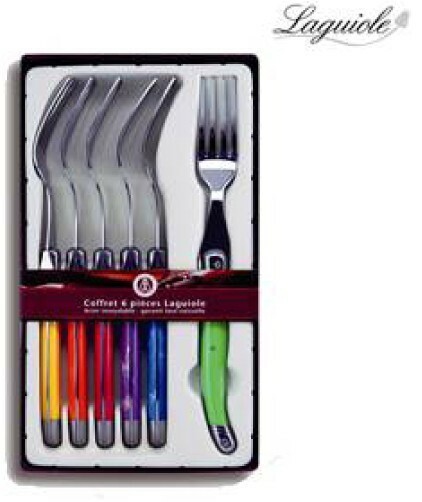 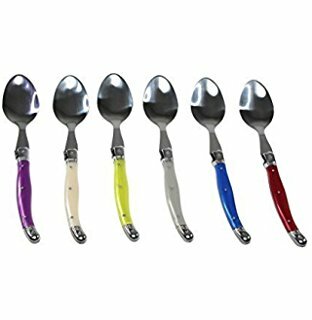 Prestation : COFFRET FRUITS DE MER 8 PIECES, LAGUIOLE EVOLUTION - Port inclus. 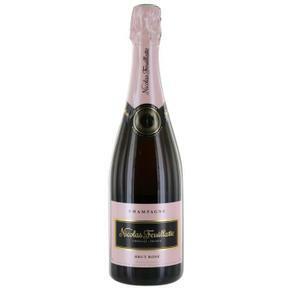 Prestation : CHAMPAGNE NICOLAS FEUILLATE - Brut - Rosé - 75cl, livraison comprise. 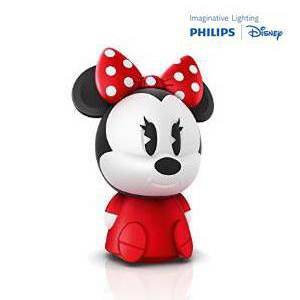 Prestation : LAMPE A POSER MINNIE, PHILIPS - Port inclus. 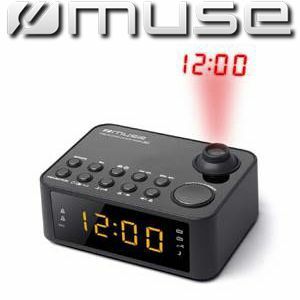 Prestation : HACHOIR / EMULSIONNEUR, MOULINEX - Port inclus. 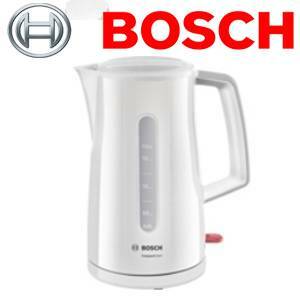 Prestation : BOUILLOIRE BLANCHE 1.7 L, BOSCH - Port inclus. 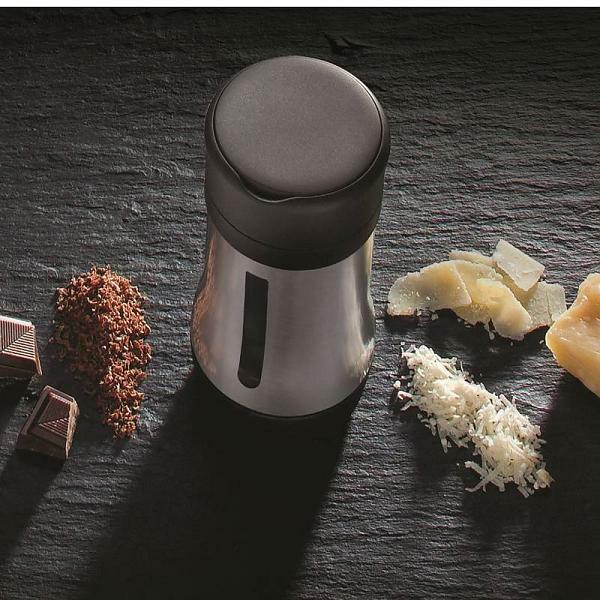 Prestation : BALANCE DE CUISINE, BEURER - Port inclus. 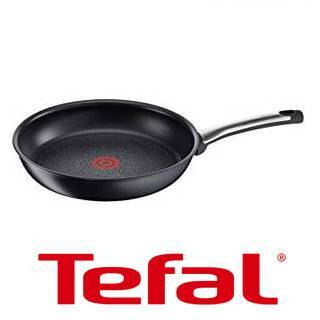 Prestation : POELE 24 CM, TEFAL - Port inclus. 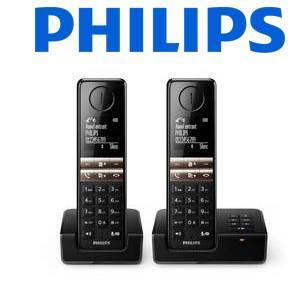 Prestation : TELEPHONE SANS FIL NOIR, PHILIPS - Port inclus. 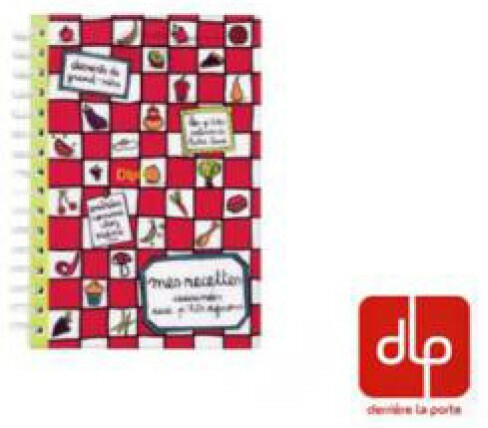 Prestation : MINI PORTE FEUILLE ARGENTE, CACHAREL - Port inclus. 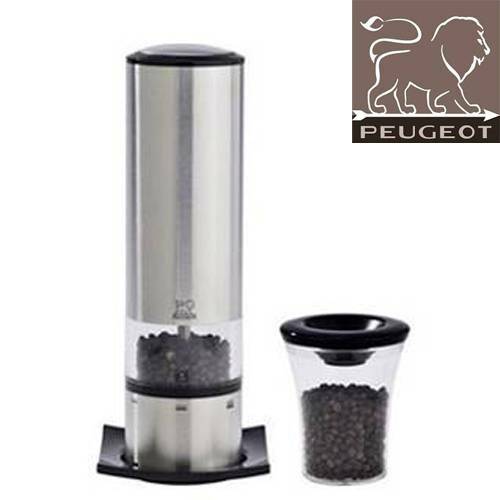 Prestation : POIVRIER, PEUGEOT - Port inclus. 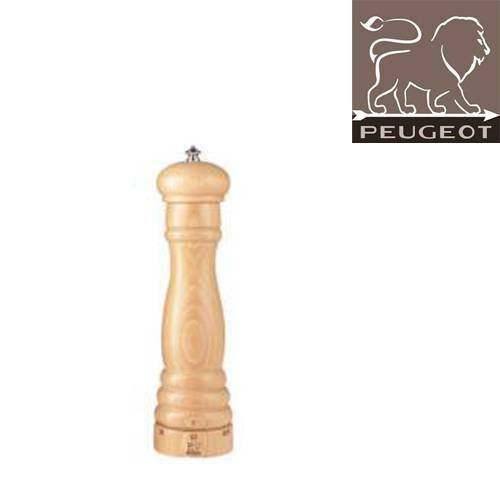 Prestation : MOULIN ELECTRIQUE SEL OU POIVRE, COLE & MASON - Port inclus. 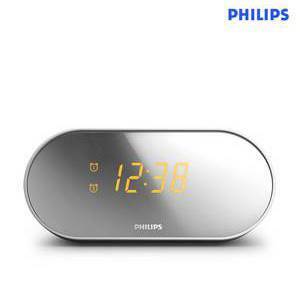 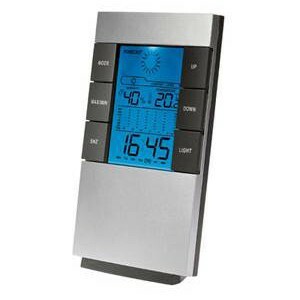 Prestation : RADIO REVEIL MIROIR, PHILIPS - Port inclus. 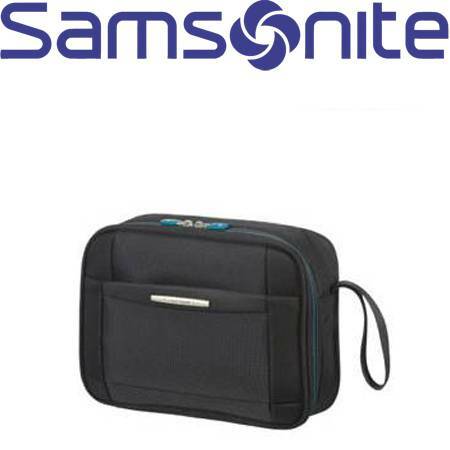 Prestation : TROUSSE DE TOILETTE NOIRE, SAMSONITE - Port inclus. 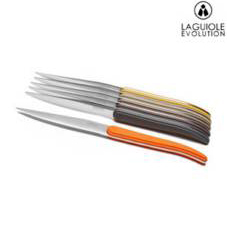 Prestation : COFFRET 6 COUTEAUX STEAK BOIS, LAGUIOLE EVOLUTION - Port inclus. 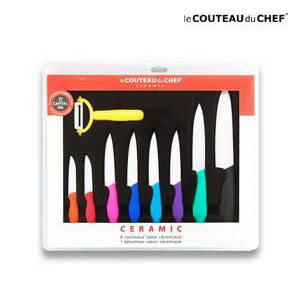 Prestation : COFFRET 6 COUTEAUX CERAMIQUE, LE COUTEAU DU CHEF - Port inclus. 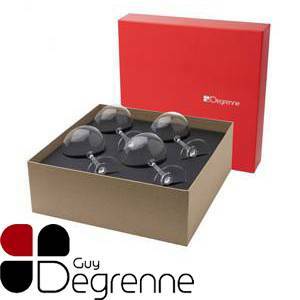 Prestation : COFFRET 4 VERRES DE VIN N°3, GUY DEGRENNE - Port inclus. Prestation : LOT DE 4 VERRES A VIN, GUY DEGRENNE - Port inclus. 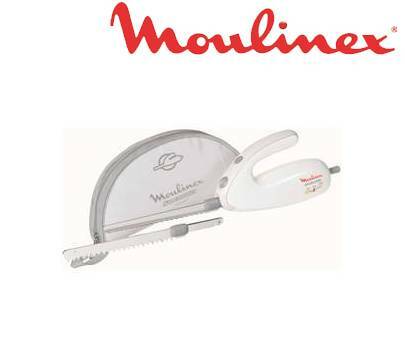 Prestation : MINI HAHOIR, MOULINEX - Port inclus. 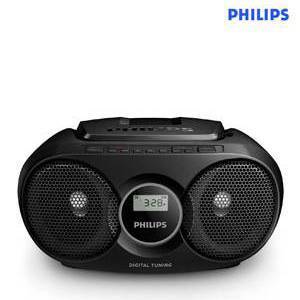 Prestation : LISSEUR, PHILIPS - Port inclus. 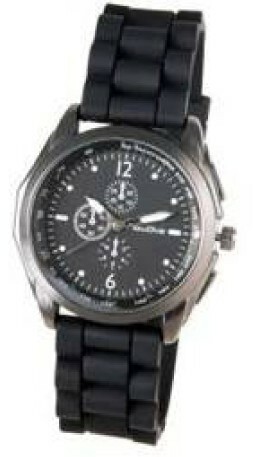 Prestation : MONTRE HOMME, JEAN LOUIS SCHERRER - Port inclus. 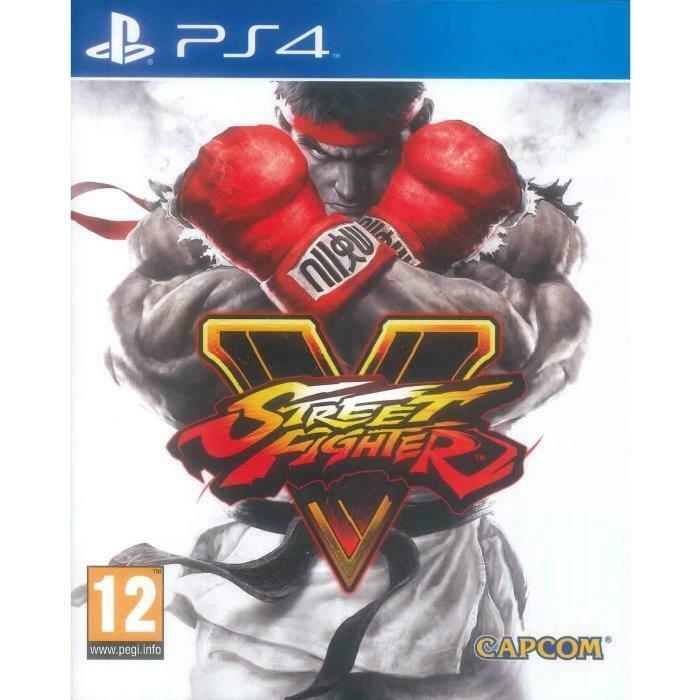 Prestation : JEU PS4: STREET FIGHTER V, CAPCOM - Port inclus. 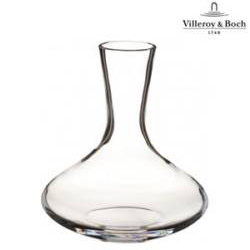 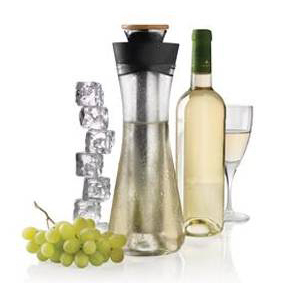 Prestation : CARAFE A DECANTER, VILLEROY & BOCH - Port inclus. 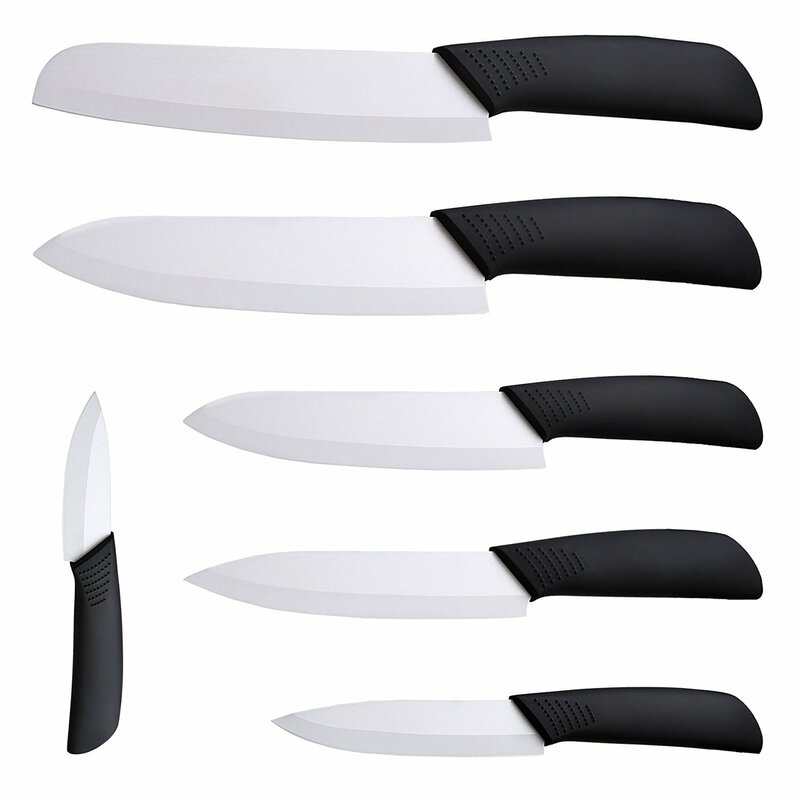 Prestation : BLOC DE 3 COUTEAUX CERAMIQUE, LE COUTEAU DU CHEF - Port inclus. 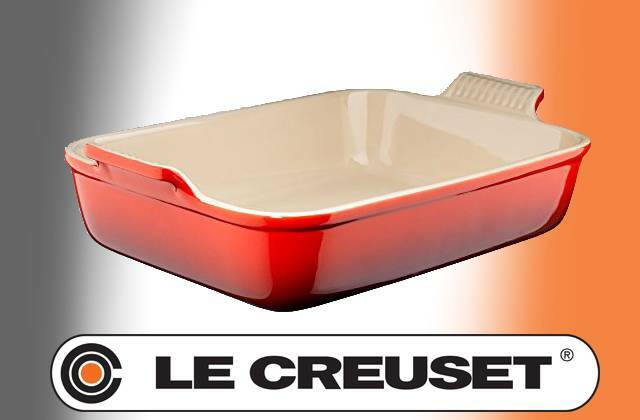 Prestation : PLAT A GRATIN 31 CM CERISE, LE CREUSET - Port inclus. 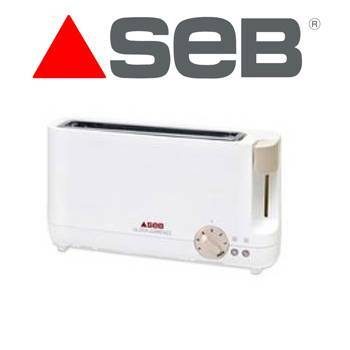 Prestation : MINI HACHOIR, SEB - Port inclus. 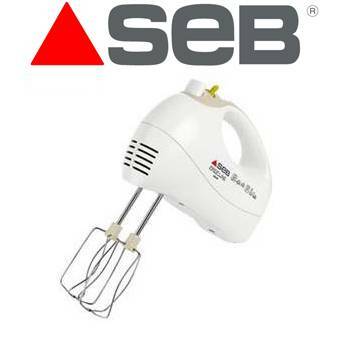 Prestation : MIXEUR PLONGEANT, SEB - Port inclus. 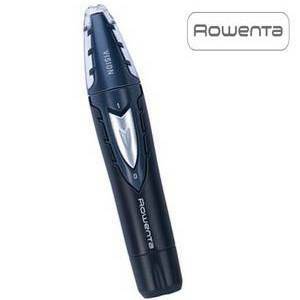 Prestation : TONDEUSE WET AND DRY, ROWENTA - Port inclus. 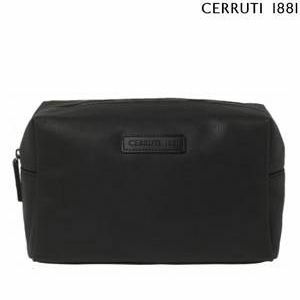 Prestation : TROUSSE DE TOILETTE NOIRE, CERRUTI-1881 - Port inclus. 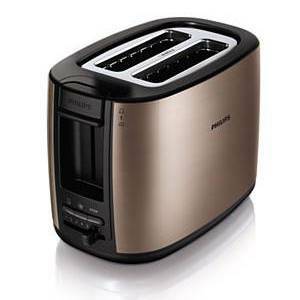 Prestation : GRILLE PAIN ULTRA COMPACT BLANC, SEB - Port inclus. 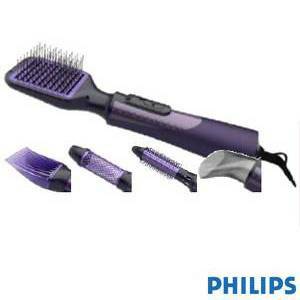 Prestation : SECHE CHEVEUX, CALOR - Port inclus. 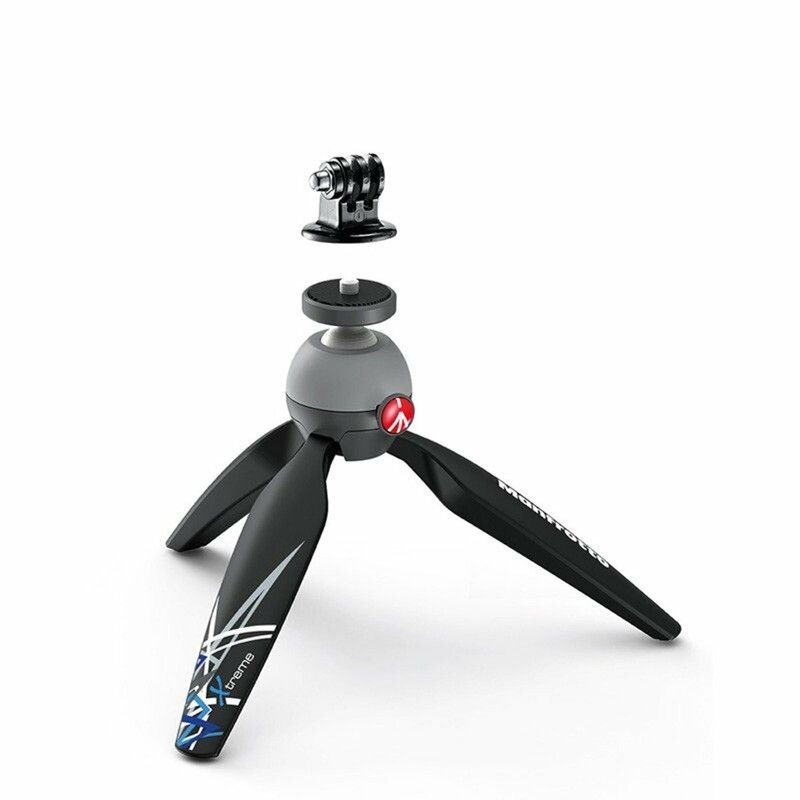 Prestation : TREPIED DE TABLE, MANFROTTO - Port inclus. 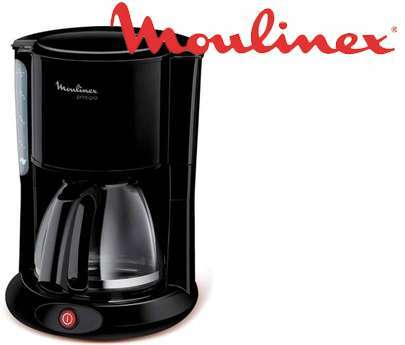 Prestation : MACHINE A CAFE PORTABLE, BE NOMADE - Port inclus. 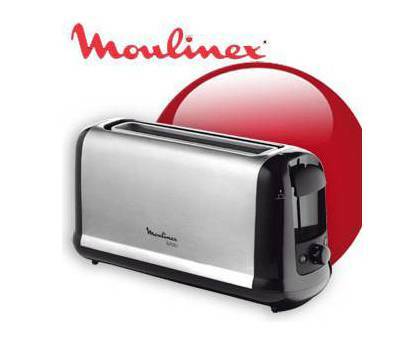 Prestation : PRESSE AGRUME, MOULINEX - Port inclus. 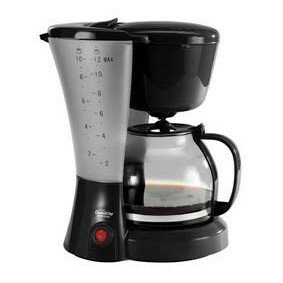 Prestation : CAFETIERE PRINCIPIO NOIR, MOULINEX - Port inclus. 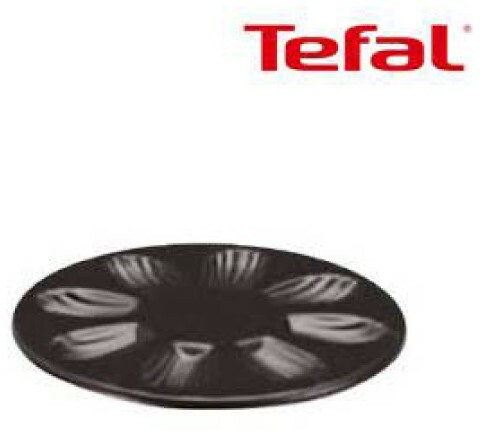 Prestation : PESE PERSONNE, TEFAL - Port inclus. 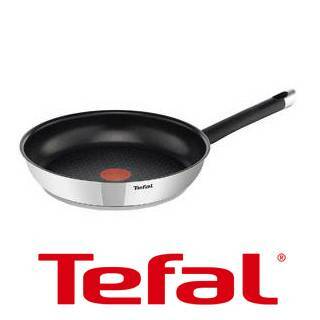 Prestation : POELE 26 CM INOX, TEFAL - Port inclus. 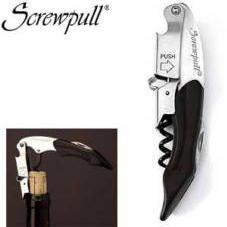 Prestation : TIRE BOUCHON TRILOGY CRISTAL, SCREWPULL - Port inclus. 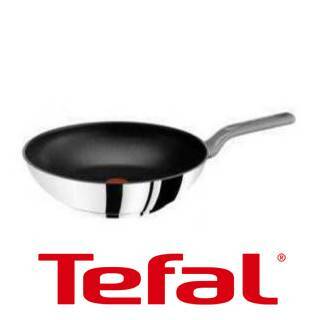 Prestation : POELE INOX WOK 28 CM, TEFAL - Port inclus. 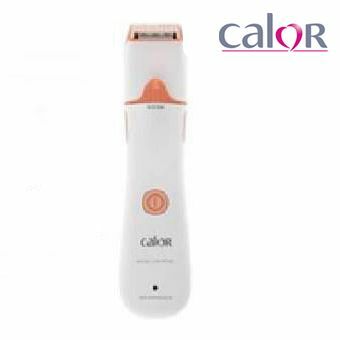 Prestation : FER VAPEUR, CALOR - Port inclus. 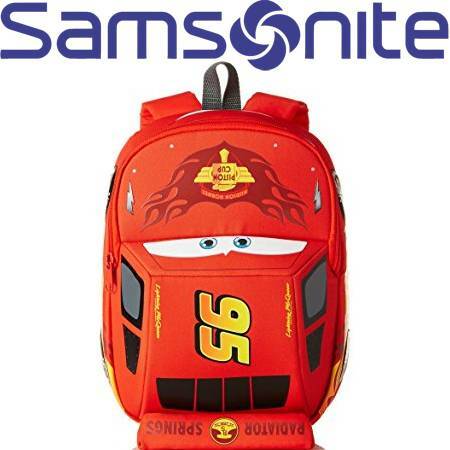 Prestation : SAC ENFANT CARS, SAMSONITE - Port inclus. 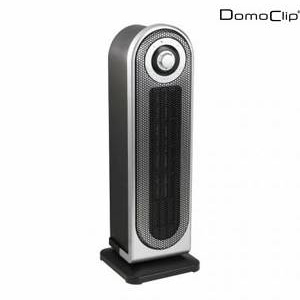 Prestation : CREPIERE 2 EN 1, DOMOCLIP - Port inclus. 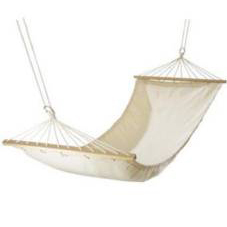 Prestation : HAMAC, Maison - Port inclus. 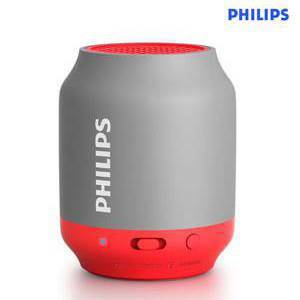 Prestation : ENCEINTE BLUETOOTH ROUGE / GRISE, PHILIPS - Port inclus. 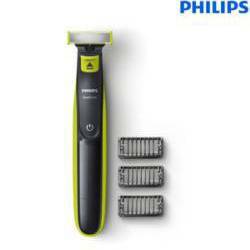 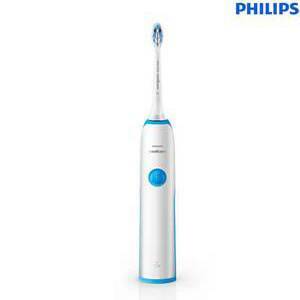 Prestation : BROSSE A DENTS ELECTRIQUE, PHILIPS - Port inclus. 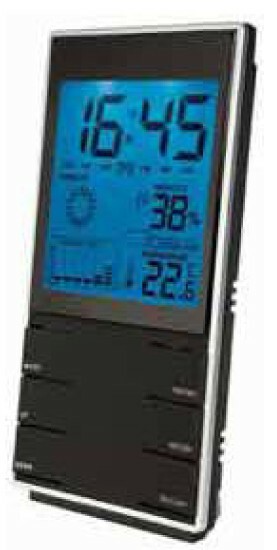 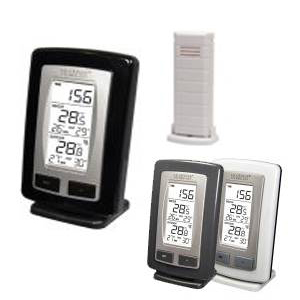 Prestation : STATION METEO NOIRE, LA CROSSE TECHNOLOGY - Port inclus. 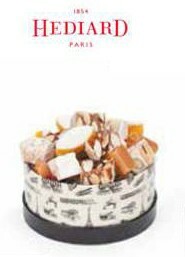 Prestation : MOULIN A FROMAGE, COLE & MASON - Port inclus. 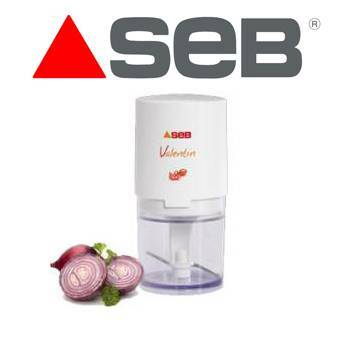 Prestation : ROBOT MANUEL VEGGIE CHOP, CHEF'N - Port inclus. 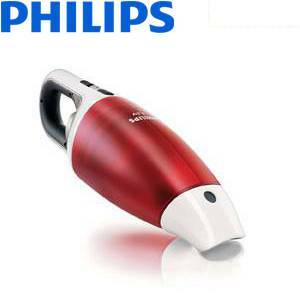 Prestation : FER VAPEUR, PHILIPS - Port inclus. 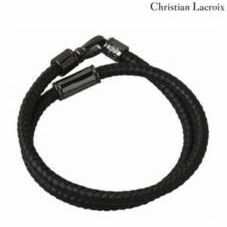 Prestation : BRACELET HOMME, CHRISTIAN LACROIX - Port inclus. 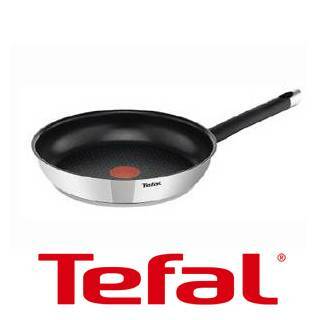 Prestation : POELE 24 CM INOX, TEFAL - Port inclus. 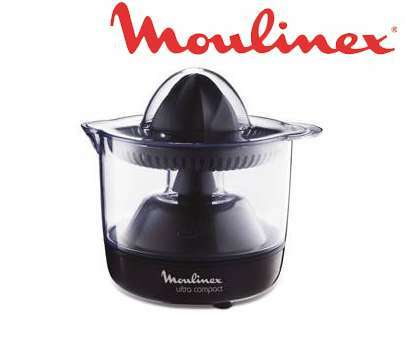 Prestation : PIED MIXEUR TURBOMIX, MOULINEX - Port inclus. 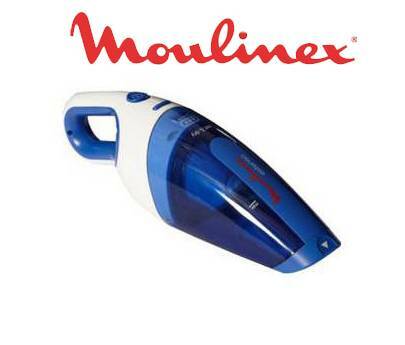 Prestation : BOUILLOIRE 1.7 L, MOULINEX - Port inclus. 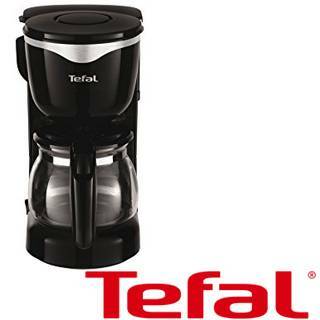 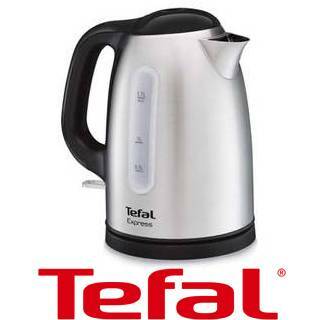 Prestation : CAFETIERE 6 TASSES NOIR/INOX, TEFAL - Port inclus. 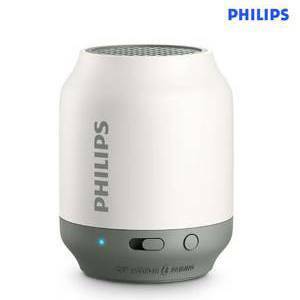 Prestation : ENCEINTE BLUETOOTH BLANCHE / GRISE, PHILIPS - Port inclus. 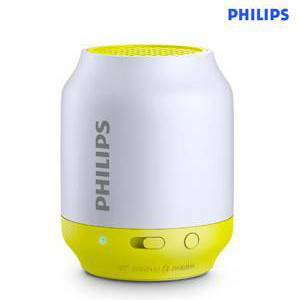 Prestation : ENCEINTE BLUETOOTH JAUNE / GRISE, PHILIPS - Port inclus. 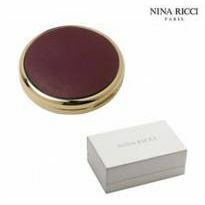 Prestation : BOITE MIROIR, NINA RICCI - Port inclus. 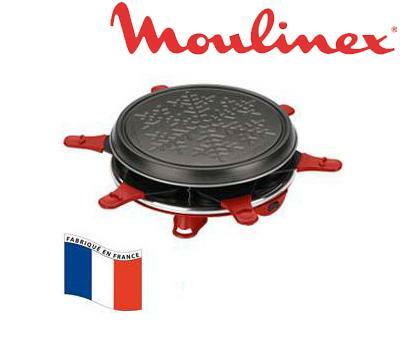 Prestation : MOULIN A SEL CERISE, LE CREUSET - Port inclus. 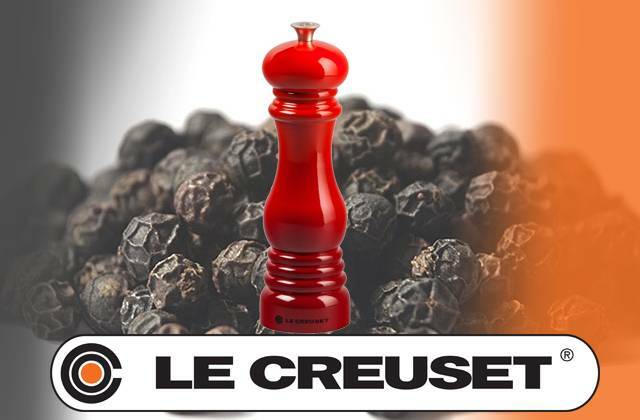 Prestation : MOULIN A POIVRE NOIR EBENE, LE CREUSET - Port inclus. 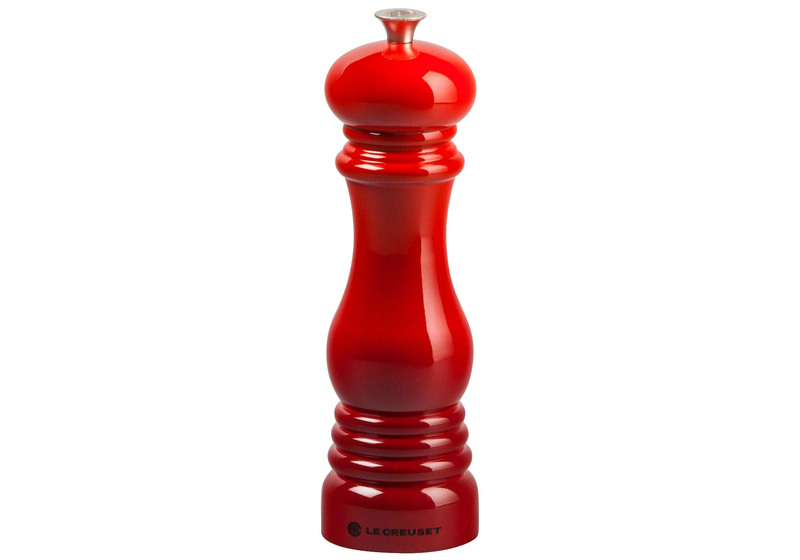 Prestation : MOULIN A POIVRE CERISE, LE CREUSET - Port inclus. 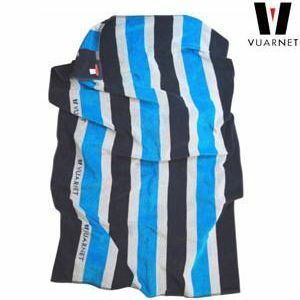 Prestation : SERVIETTE DE PLAGE, VUARNET - Port inclus. 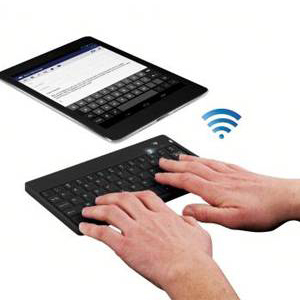 Prestation : FONTAINE A CHOCOLAT, DOMOCLIP - Port inclus. 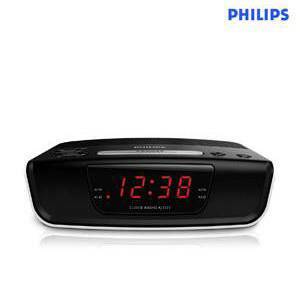 Prestation : RASOIR HYBRIDE, PHILIPS - Port inclus. 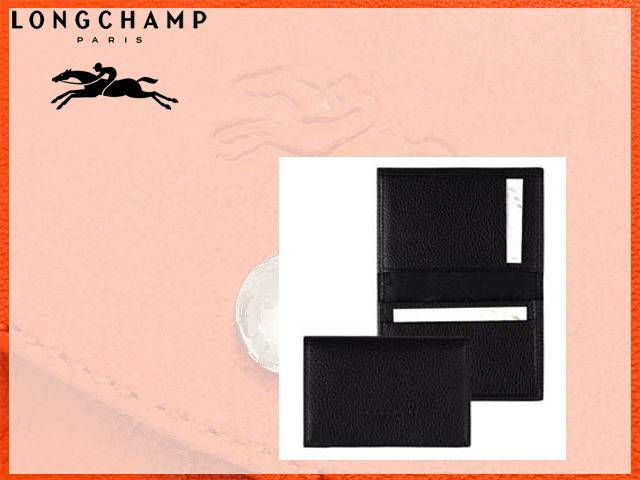 Prestation : PORTE MONNAIE NOIR, LONGCHAMP - Port inclus. 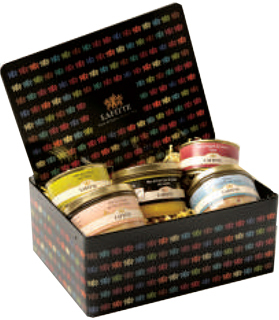 Prestation : COFFRET SOLIFLORE, GUY DEGRENNE - Port inclus. 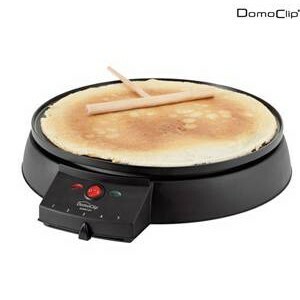 Prestation : CREPIERE ELECTRIQUE, DOMOCLIP - Port inclus. 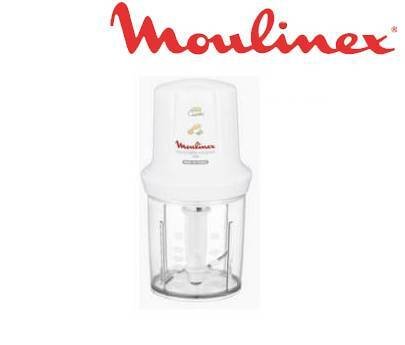 Prestation : MOULIN A CAFE ELECTRIQUE, DOMOCLIP Premium - Port inclus. 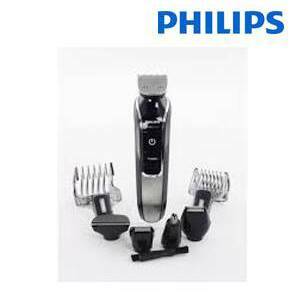 Prestation : TONDEUSE CHEVEUX, PHILIPS - Port inclus. 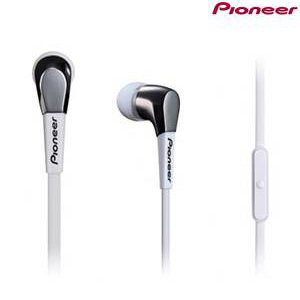 Prestation : CASQUE FILAIRE BLANC, PIONEER - Port inclus. 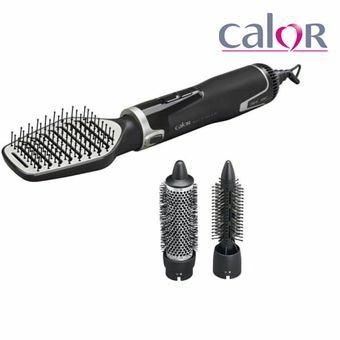 Prestation : SECHE CHEVEUX NOIR, CALOR - Port inclus. 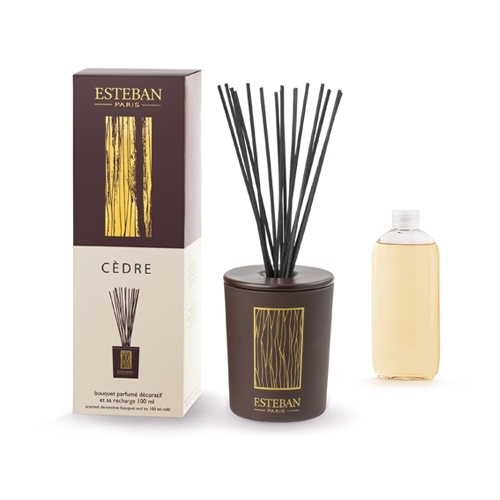 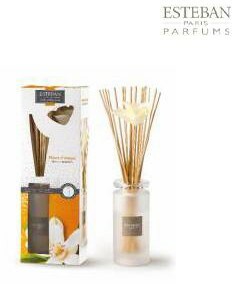 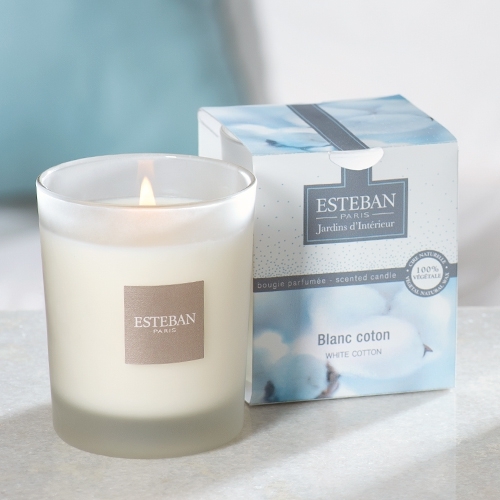 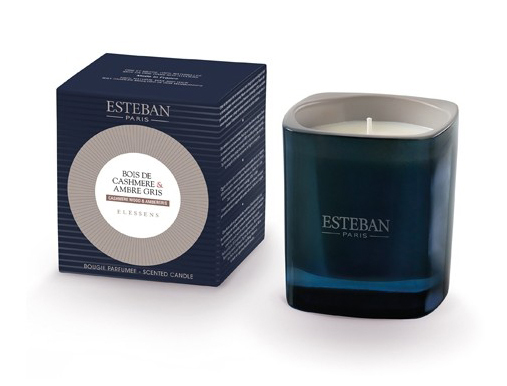 Prestation : BOUQUET PARFUME CEDRE, ESTEBAN - Port inclus. 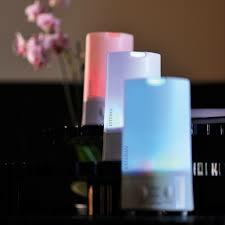 Prestation : HACHOIR, OXO - Port inclus. 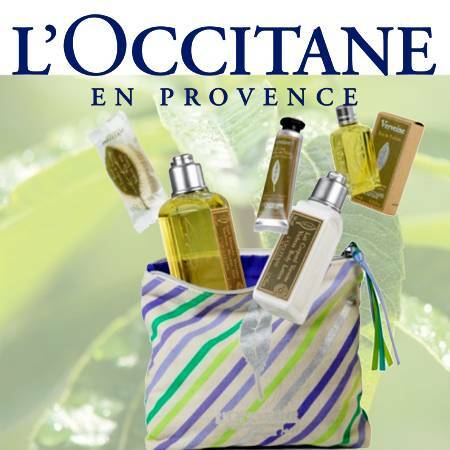 Prestation : TROUSSE VERVEINE DYNAMISANTE, L'OCCITANE - Port inclus. 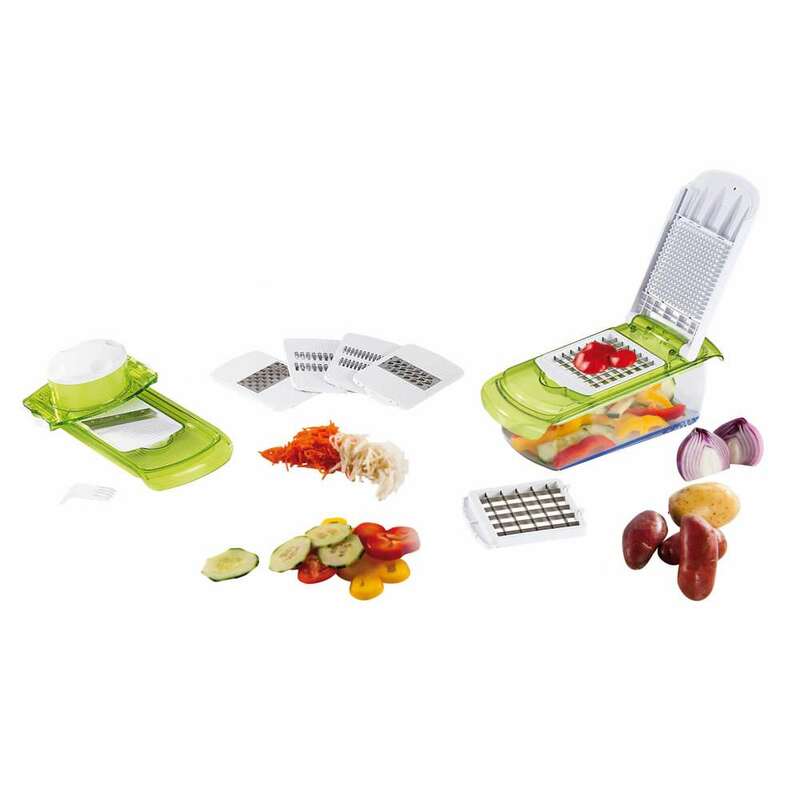 Prestation : MANDOLINE ET COUPE LEGUMES 2 EN 1, KITCHEN ARTIST - Port inclus. 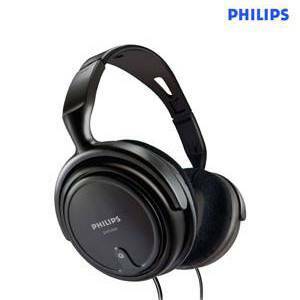 Prestation : CASQUE FILAIRE NOIR, PHILIPS - Port inclus. 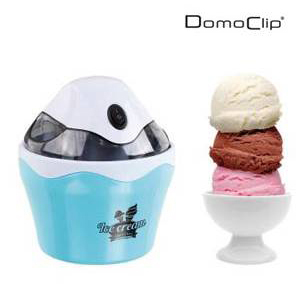 Prestation : MINI SORBETIERE BLEUE, DOMOCLIP - Port inclus. 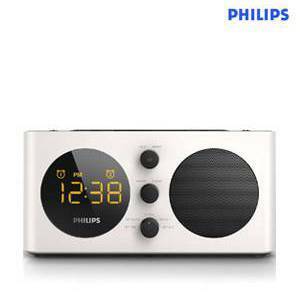 Prestation : RADIO REVEIL, PHILIPS - Port inclus. 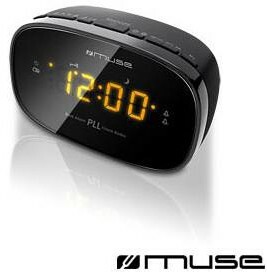 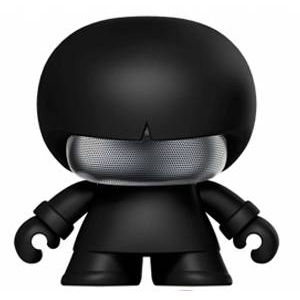 Prestation : HAUT PARLEUR MULTIMEDIA NOIR, CLIP SONIC - Port inclus. 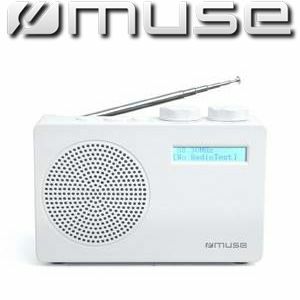 Prestation : RADIO PORTABLE BLANCHE, MUSE - Port inclus. 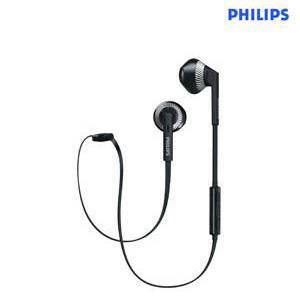 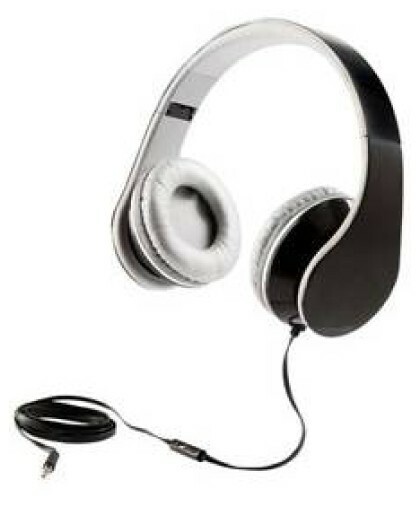 Prestation : CASQUE FILAIRE PLIABLE NOIR, PHILIPS - Port inclus. 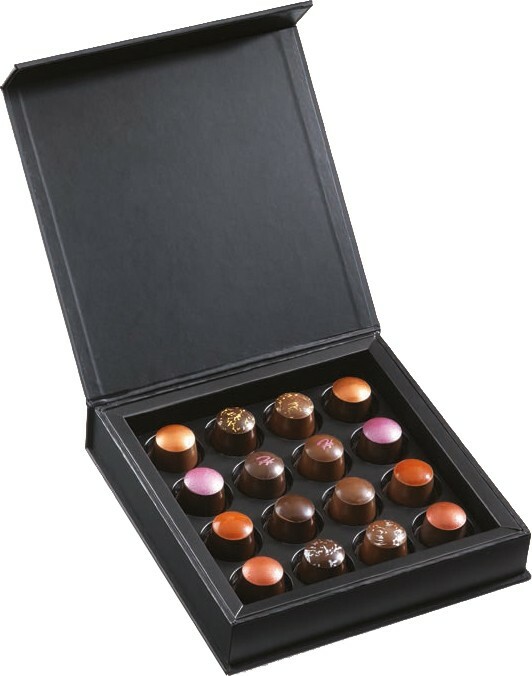 Prestation : Coffret au choix 5 Senteurs : Néroli, Figue noire, Teck & Tonka, Légendes d'Orient, ou Rêve Blanc Livraison comprise. 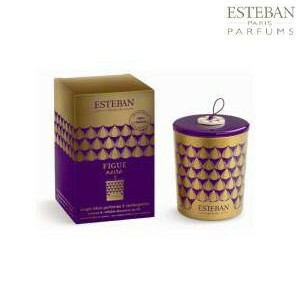 Prestation : 3x Sachet parfumé Néroli Esteban, livraison incluse. 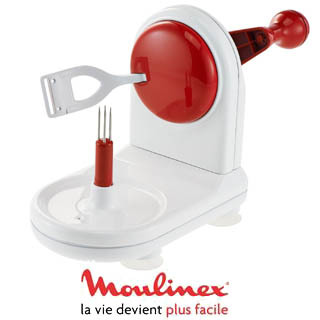 Prestation : Machine à pâtes fraiches spaghettis lasagnes. 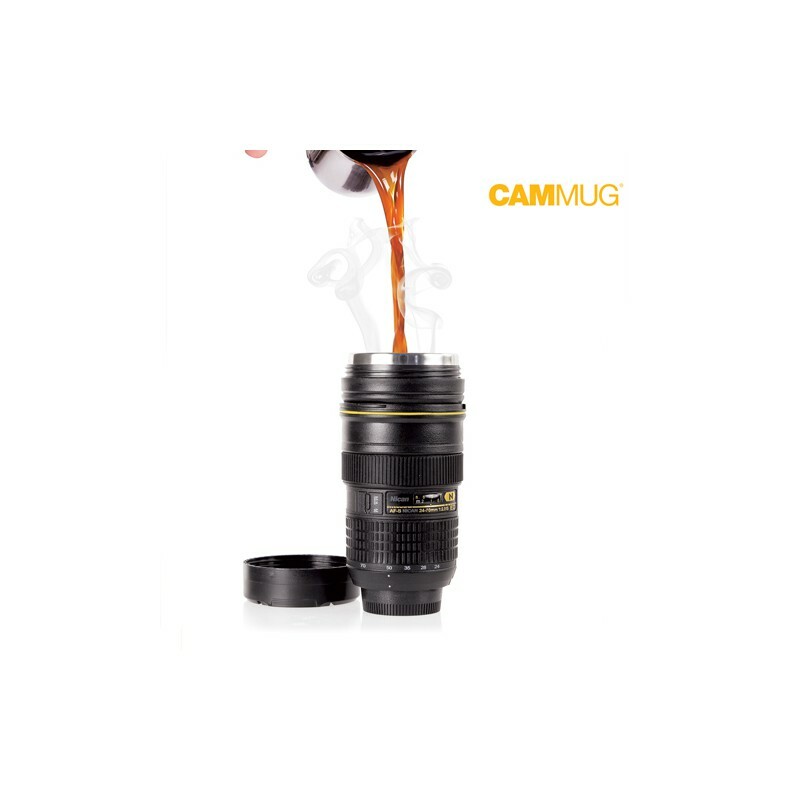 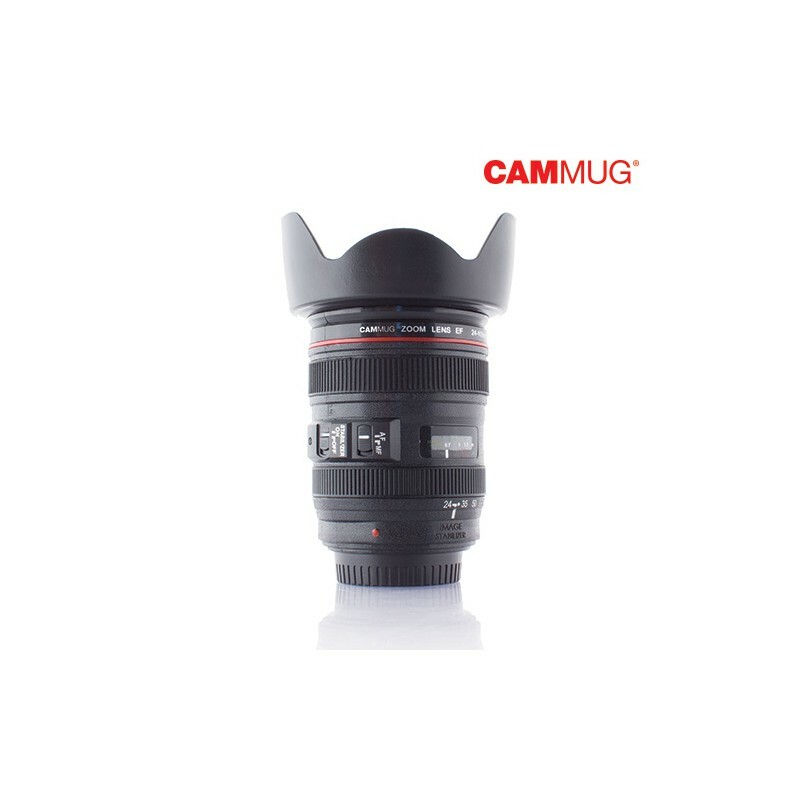 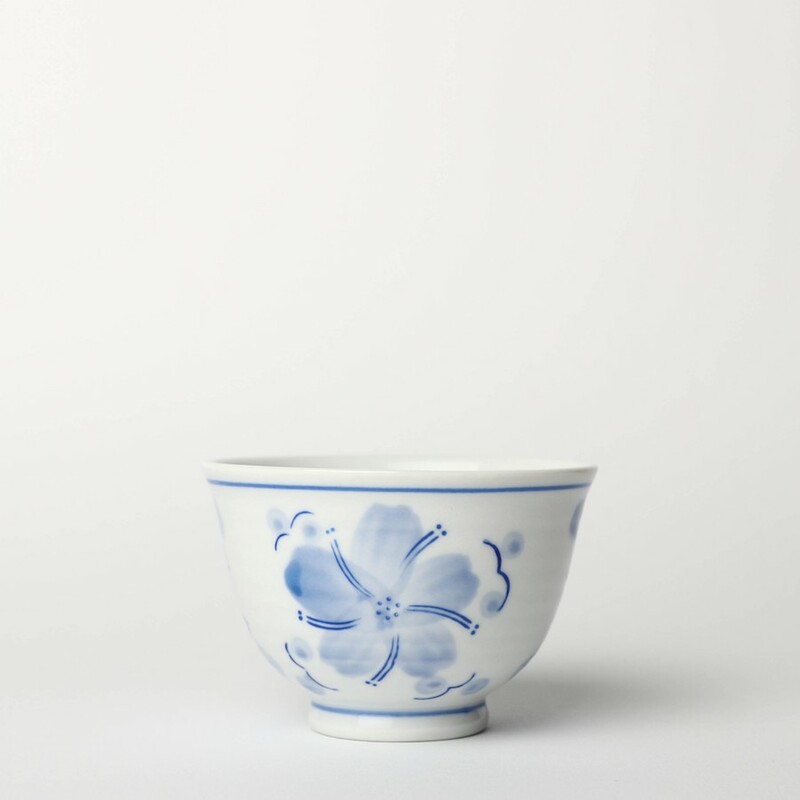 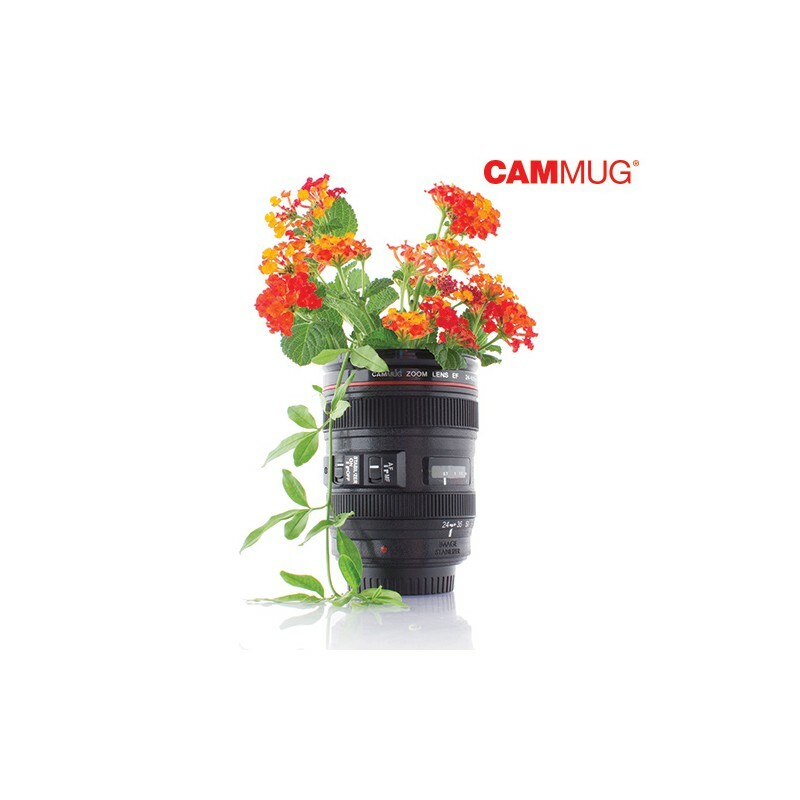 Prestation : 2x Tasse - vase en forme d'objectif photographique, livraison incluse. 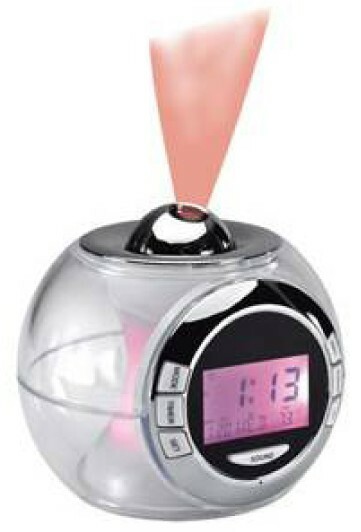 Prestation : 3x Boule de Lavage Power Clean Ball, livraison incluse. 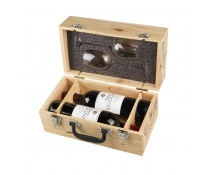 Prestation : COFFRET DE LA MER SUDREAU Port inclus. 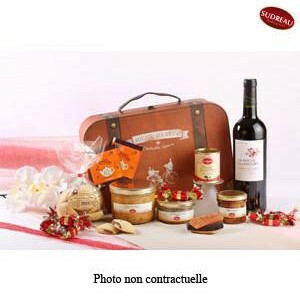 Prestation : COLIS "VOYAGE GOURMAND" POUR UN SUDREAU Port inclus. 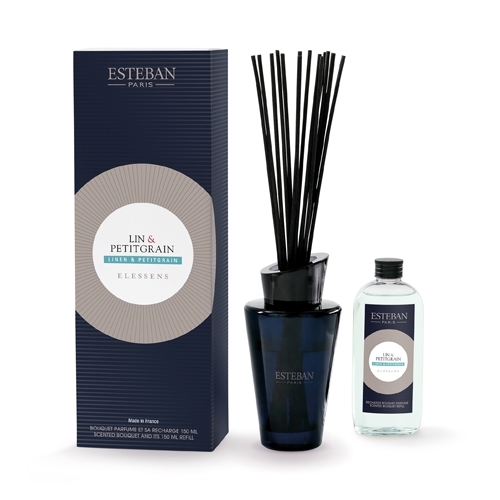 Prestation : COFFRET OCCITAN L'OCCITANE Port inclus. 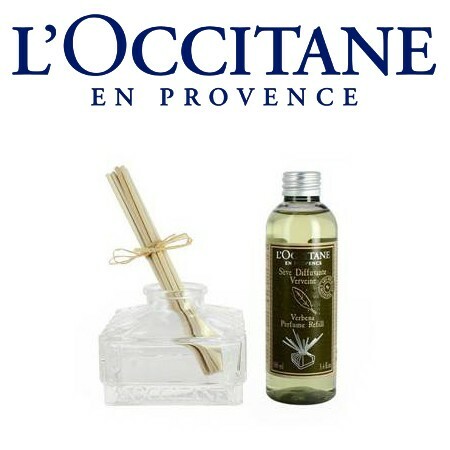 Prestation : COFFRET MAISON VERVEINE L'OCCITANE, livraison en sus. 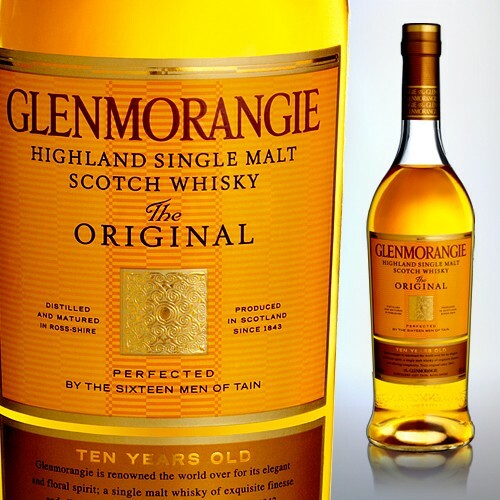 Prestation : Wisky 10 ans GLENMORANGIE, sous étui, livraison en sus. 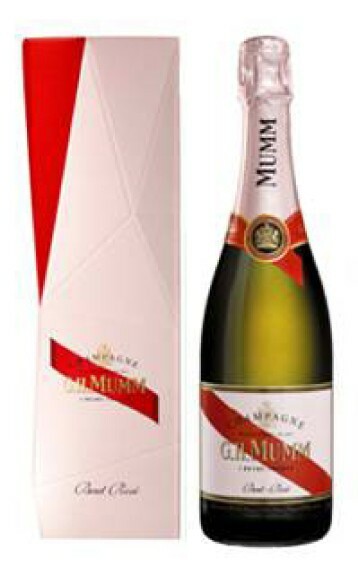 Prestation : 1 BOUTEILLE DE CHAMPAGNE ROSE MUMM, livraison en sus. 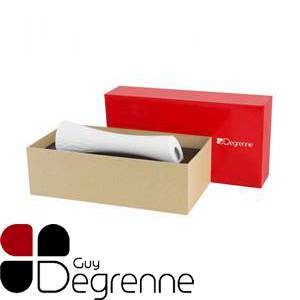 Prestation : COFFRET DEJEUNER GUY DEGRENNE, livraison en sus. 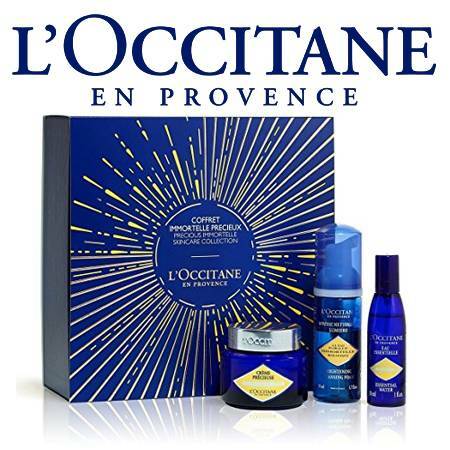 Prestation : TROUSSE DE VOYAGE FEMME L'OCCITANE, livraison en sus. 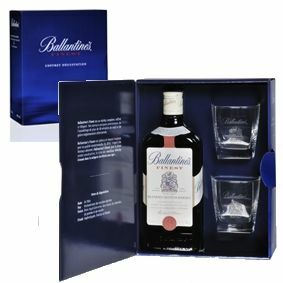 Prestation : COFFRET WHISKY + 2 VERRES BALLANTINE'S Port inclus. 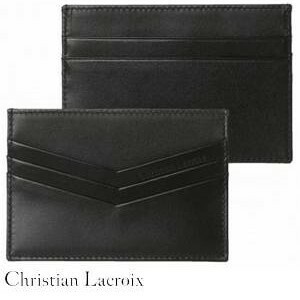 Prestation : PORTE CARTES DOUBLE CHEVRON CHRISTIAN LACROIX Port inclus. 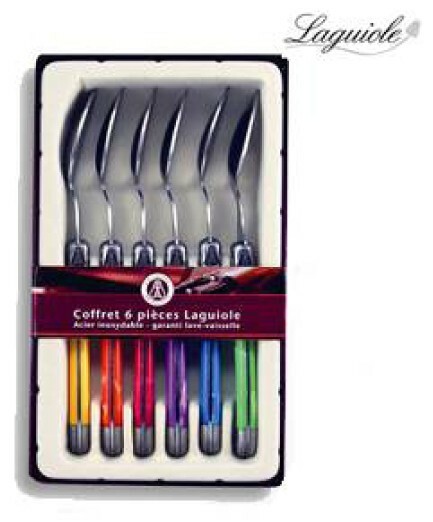 Prestation : CASSEROLES ROSES KITCHEN ARTIST Port inclus. 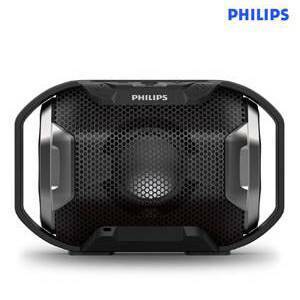 Prestation : ENCEINTE BLUETOOTH PHILIPS Port inclus. 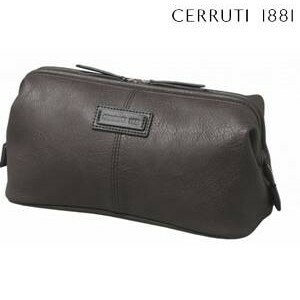 Prestation : TROUSSE DE TOILETTE CERRUTI-1881 Port inclus. 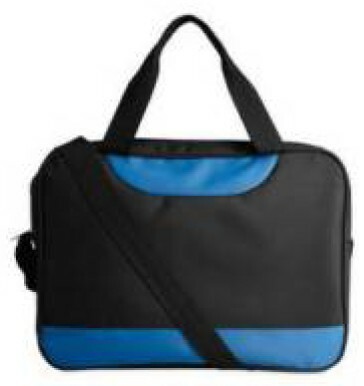 Prestation : SACOCHE BARBECUE DOMOCLIP Port inclus. 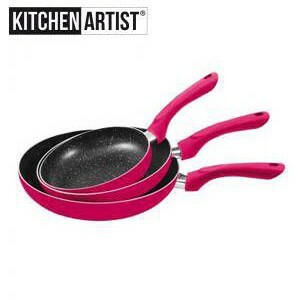 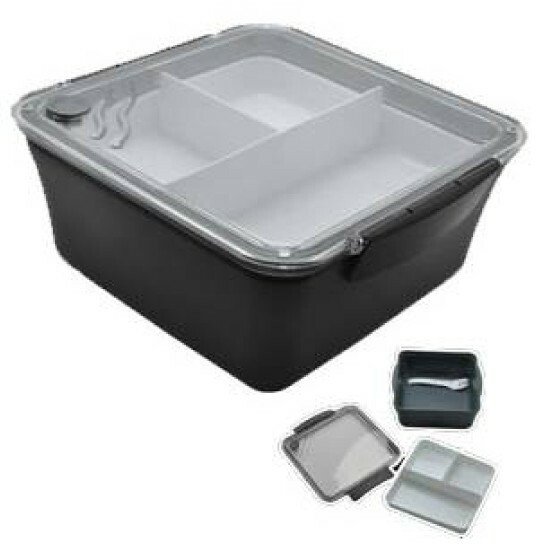 Prestation : LOT DE 3 CASSEROLES KITCHEN ARTIST Port inclus. 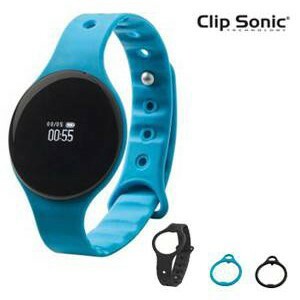 Prestation : BRACELET D'ACTIVITE CONNECTE CLIP SONIC Port inclus. 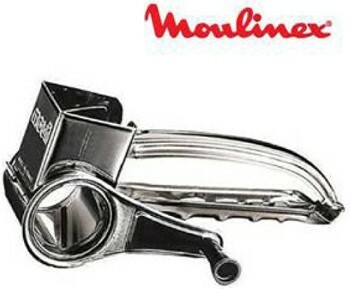 Prestation : CREPIERE DOMOCLIP Port inclus. 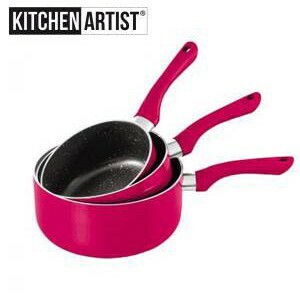 Prestation : POELES ROSES KITCHEN ARTIST Port inclus. 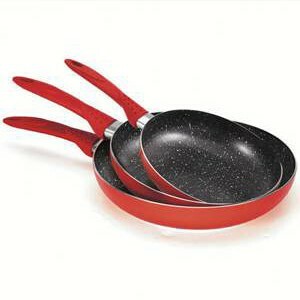 Prestation : SET DE 3 POELES ROUGE KITCHEN ARTIST Port inclus. 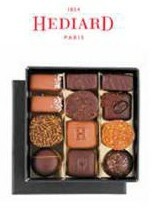 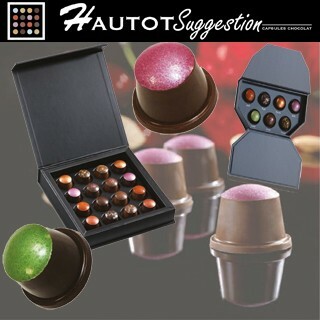 Prestation : COFFRET 4 DELICES SALES HEDIARD Port inclus. 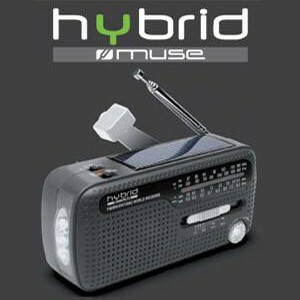 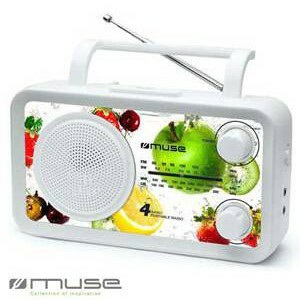 Prestation : RADIO ECO MUSE Port inclus. 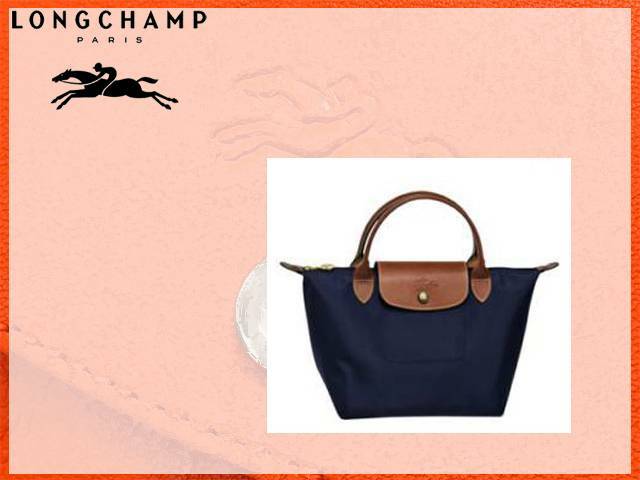 Prestation : PORTE MONNAIE BLEU MARINE LONGCHAMP Port inclus. 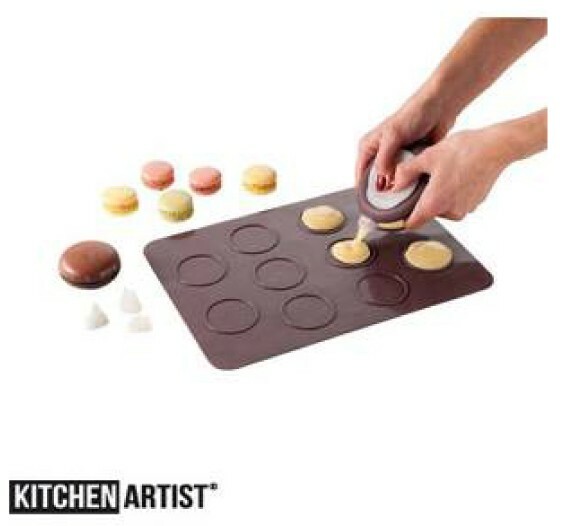 Prestation : USTENSILES DE CUISINE KITCHEN ARTIST Port inclus. 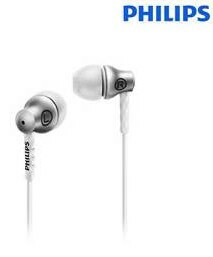 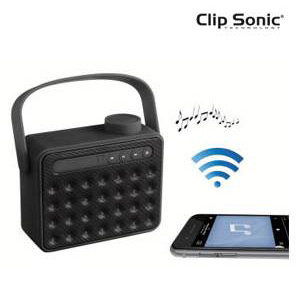 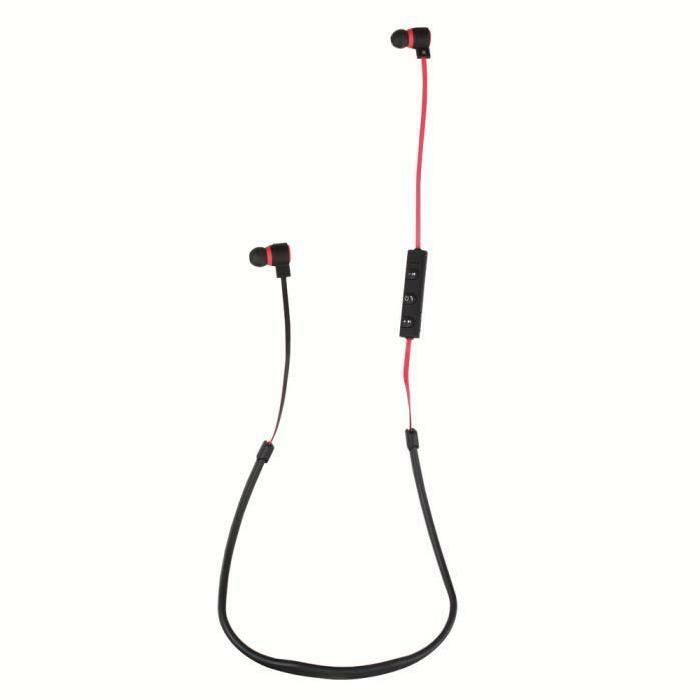 Prestation : ECOUTEURS COMPATIBLES BLUETOOTH CLIP SONIC Port inclus. 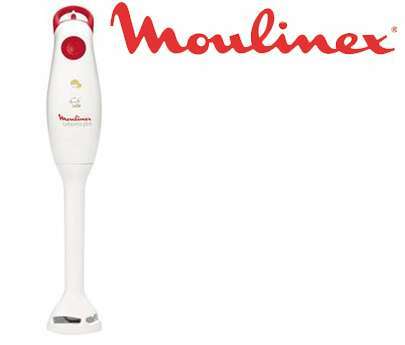 Prestation : MOULIN A EPICES KITCHEN ARTIST Port inclus. 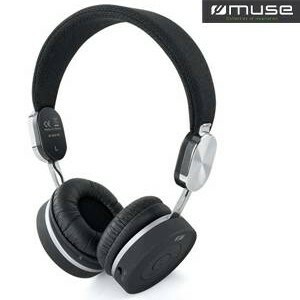 Prestation : CASQUE BLUETOOTH NOIR MUSE Port inclus. 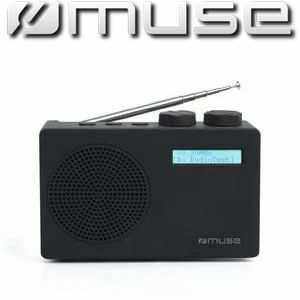 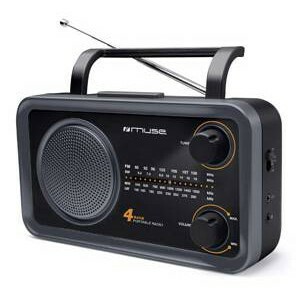 Prestation : RADIO PORTABLE PLL 2 GAMMES MUSE Port inclus. 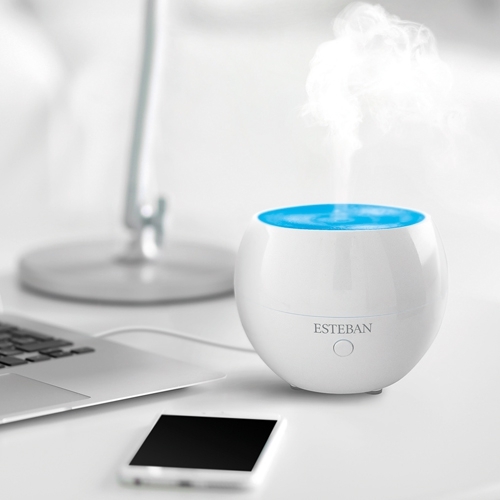 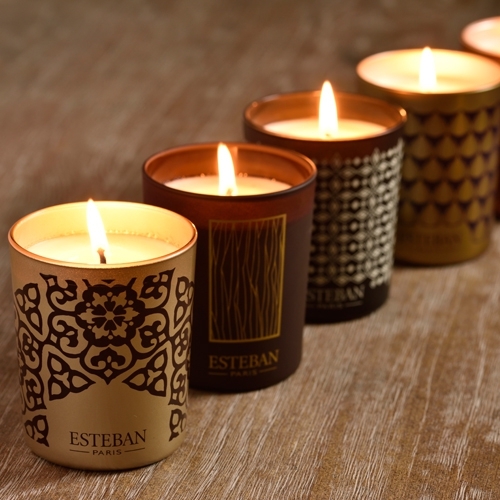 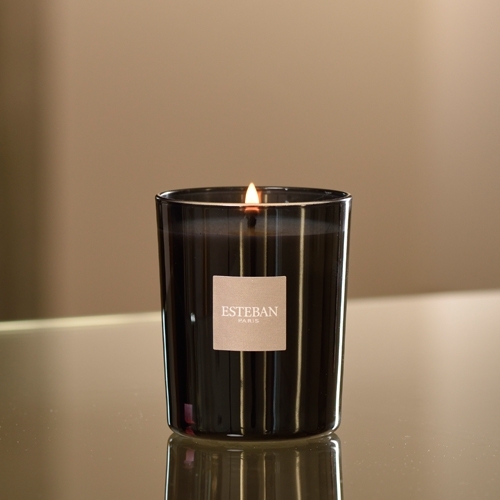 Prestation : BOUGIE PARFUME RECHARGEABLE ESTEBAN Port inclus. 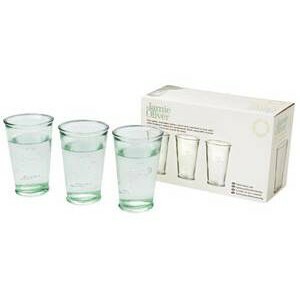 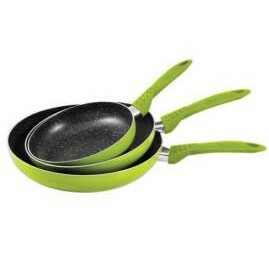 Prestation : SET DE 3 POELES VERT KITCHEN ARTIST Port inclus. 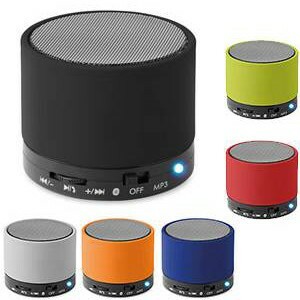 Prestation : ENCEINTE BLUETOOTH BLANCHE MUSE Port inclus. 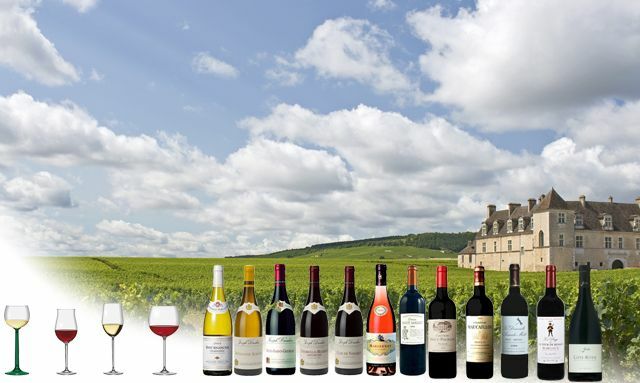 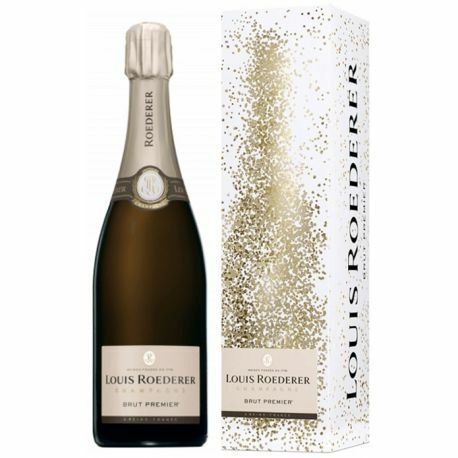 Prestation : 2x 1 BOUTEILLE CHATEAU DAVID Port inclus. 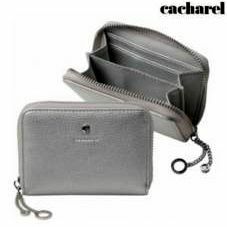 Prestation : 2x Pochette Étanche pour Smartphone VUARNET Port inclus. 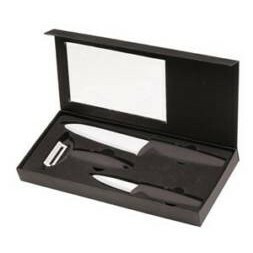 Prestation : 2x COFFRET 6 COUTEAUX DE TABLE LAGUIOLE Port inclus. 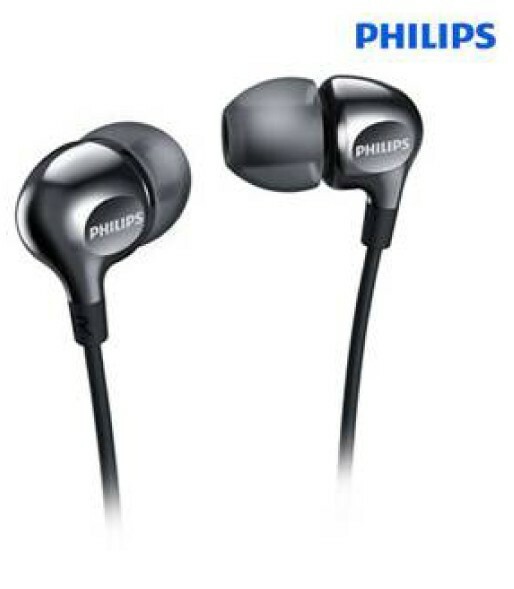 Prestation : 2x PAIRE D'ÉCOUTEURS INTRA-AURICULAIRES PHILIPS Port inclus. 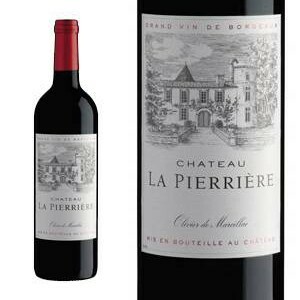 Prestation : 2x 1 BOUTEILLE COTES DE BORDEAUX CH. 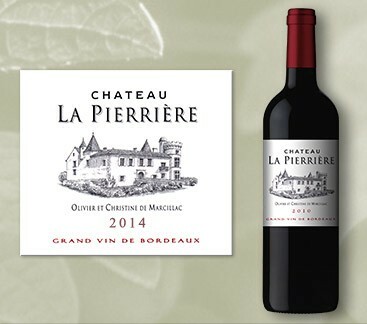 LA PIERRIERE Port inclus. 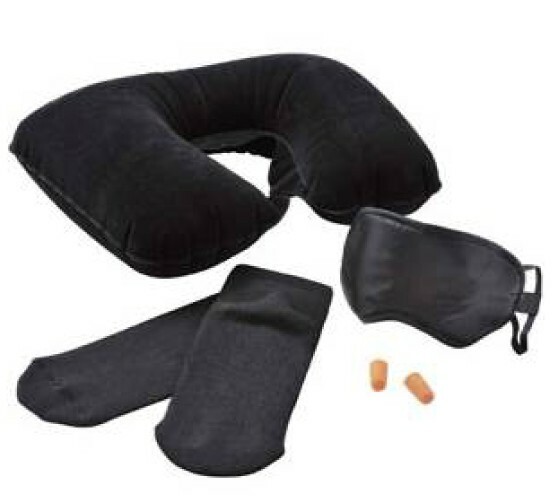 Prestation : 2x KIT VOYAGE Port inclus. 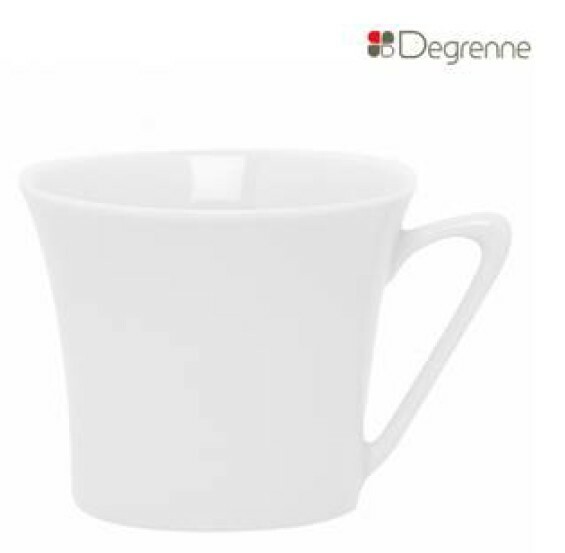 Prestation : 2x Mug à Thé Guy Degrenne, port inclus. 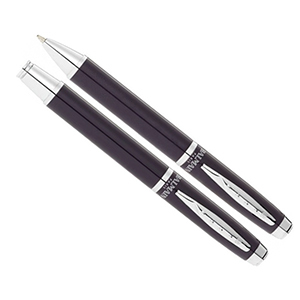 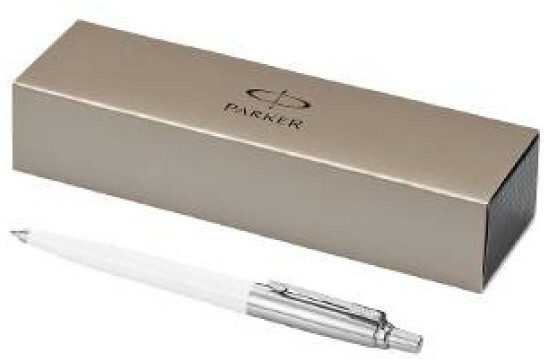 Prestation : 2x Stylo bille blanc Parker, port inclus. 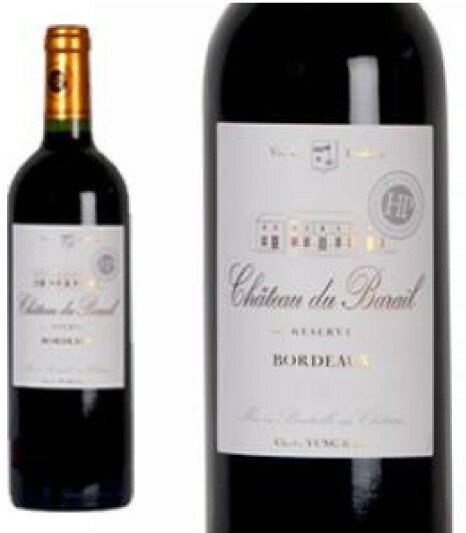 Prestation : 2x Château du Barail "Réserve" 2013, livraison comprise. 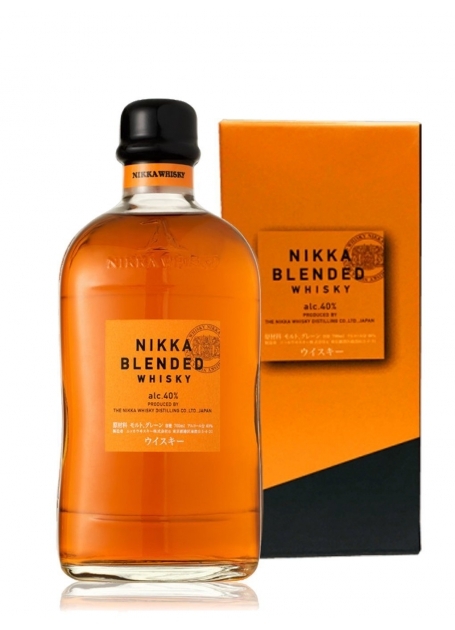 Prestation : Théière japonaise rouge Kyusu (Tokoname) 340ml avec anse latérale. 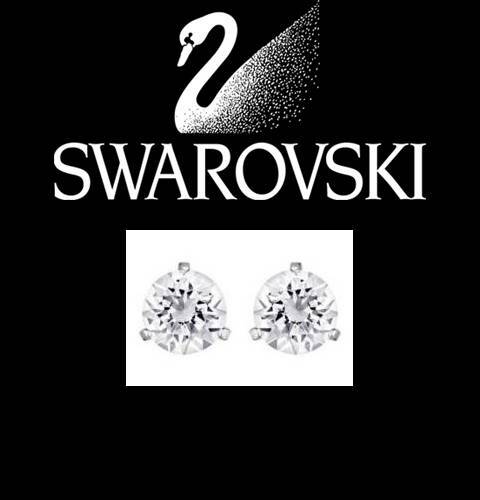 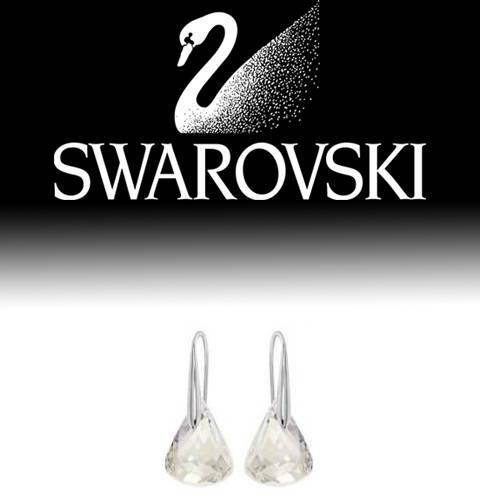 Prestation : BOUCLES D'OREILLES, SWAROVSKI - Port inclus. 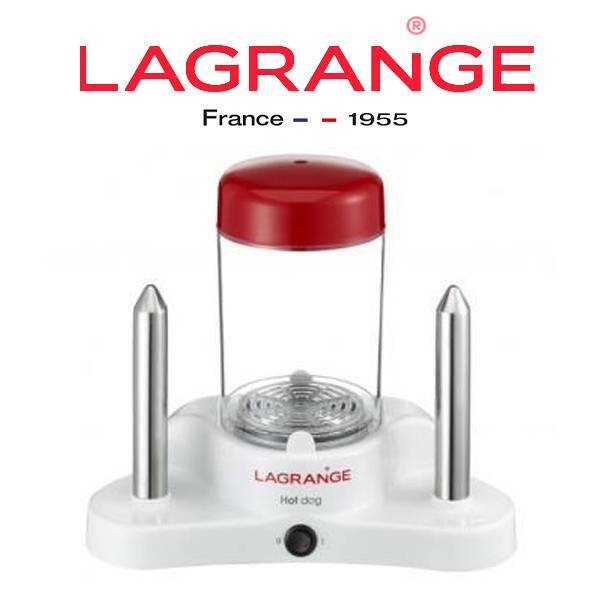 Prestation : MACHINE HOT-DOG, LAGRANGE - Port inclus. 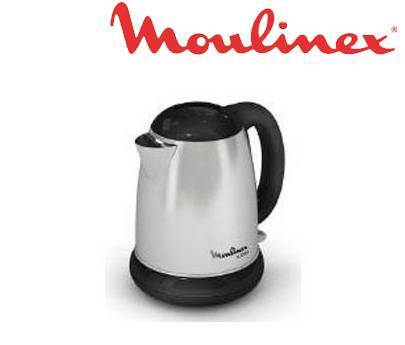 Prestation : BOUILLOIRE INOX/NOIR 1.5 L, MOULINEX - Port inclus. 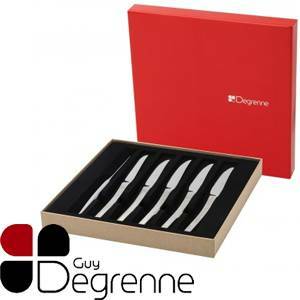 Prestation : COFFRET 6 COUTEAUX A STEAK, GUY DEGRENNE - Port inclus. 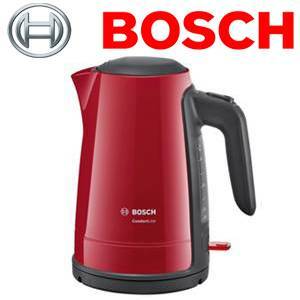 Prestation : BOUILLOIRE ROUGE, BOSCH - Port inclus. 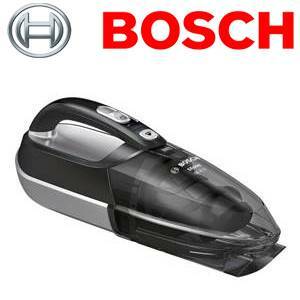 Prestation : BOUILLOIRE NOIRE, BOSCH - Port inclus. 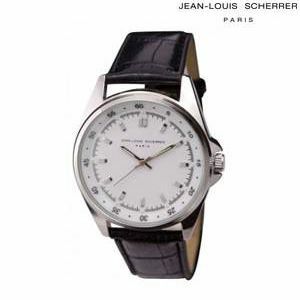 Prestation : MONTRE FEMME, JEAN LOUIS SCHERRER - Port inclus. 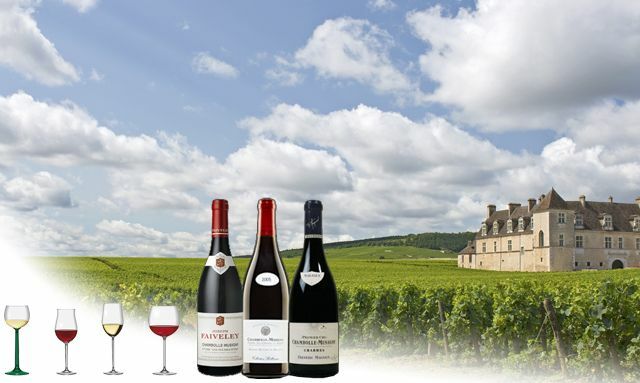 Prestation : SEAU A VIN, PAUL BOCUSE - Port inclus. 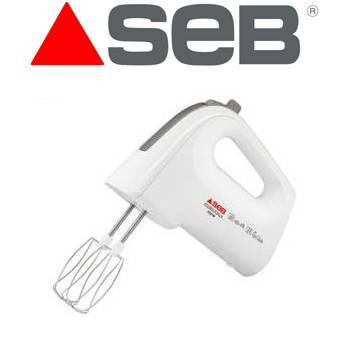 Prestation : BATTEUR, SEB - Port inclus. 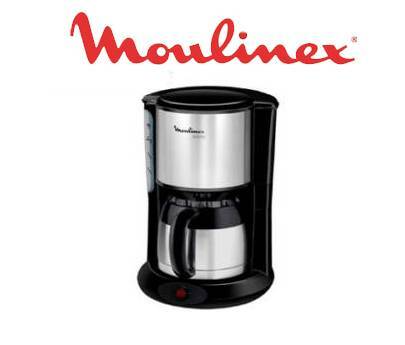 Prestation : CAFETIERE SUBITO INOX/NOIR, MOULINEX - Port inclus. 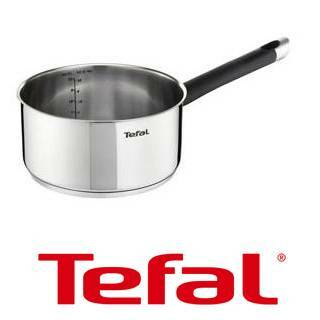 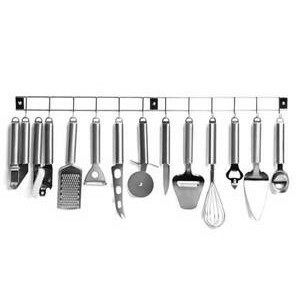 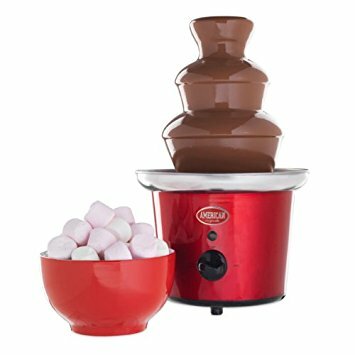 Prestation : POELE 30 CM INOX, TEFAL - Port inclus. 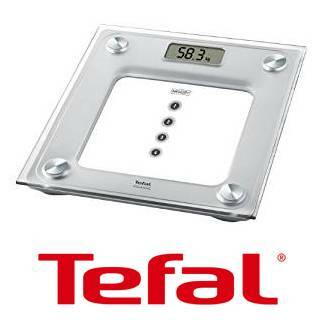 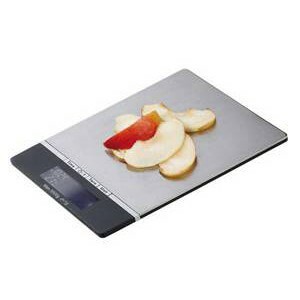 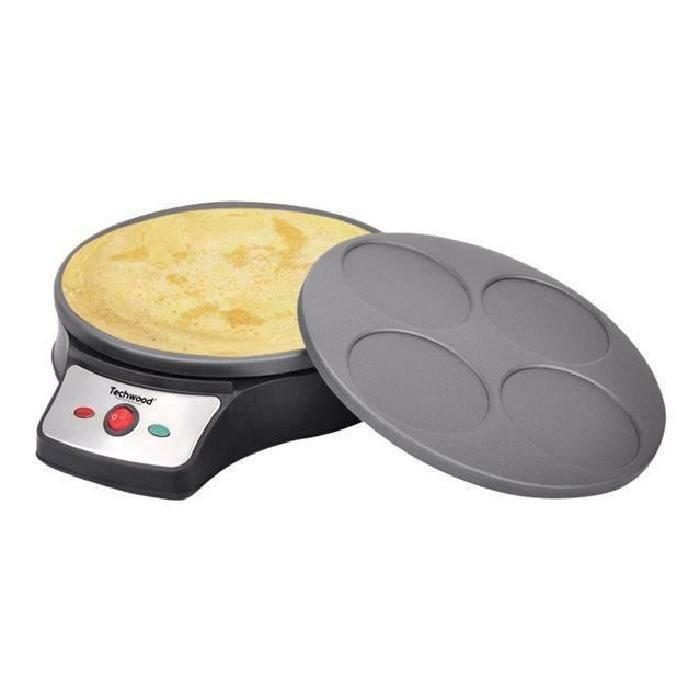 Prestation : FAITOUT 24 CM, TEFAL - Port inclus. 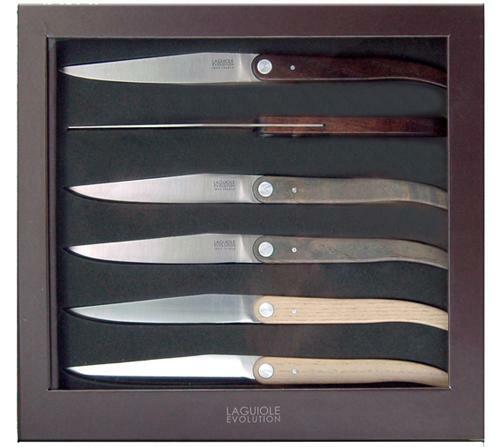 Prestation : COFFRET COUTEAUX CERAMIQUES 9 PCES, LE COUTEAU DU CHEF - Port inclus. 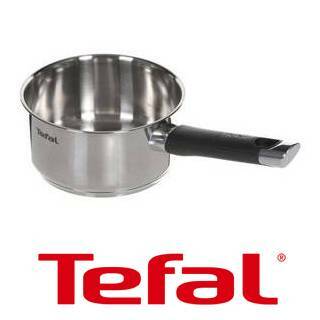 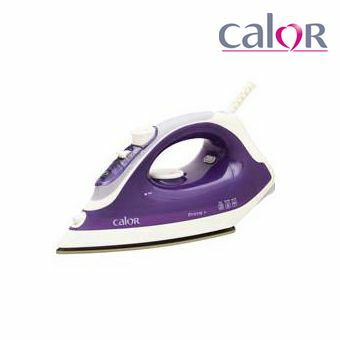 Prestation : POELE 28 CM INOX, TEFAL - Port inclus. 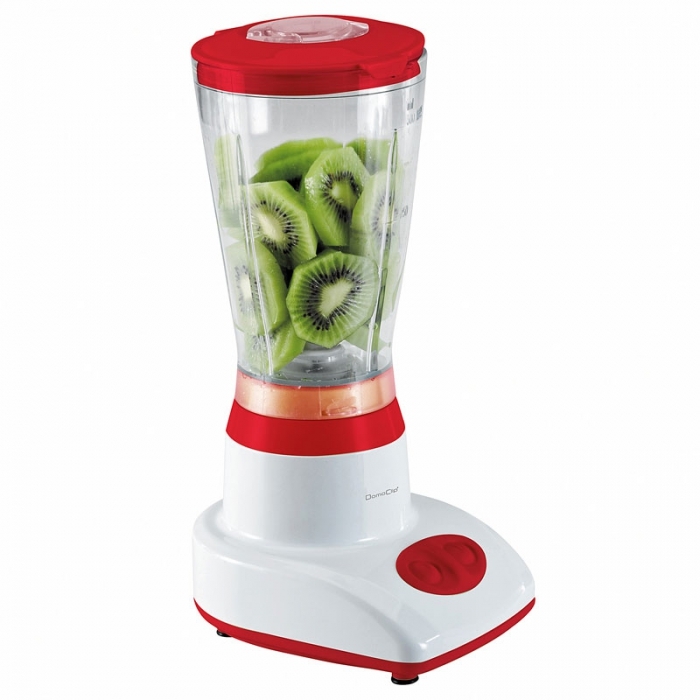 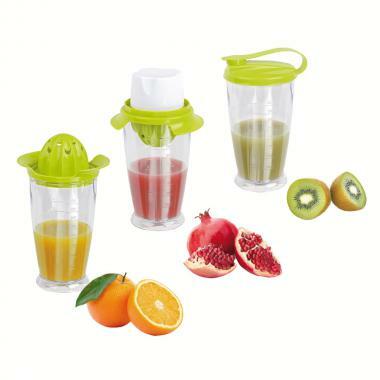 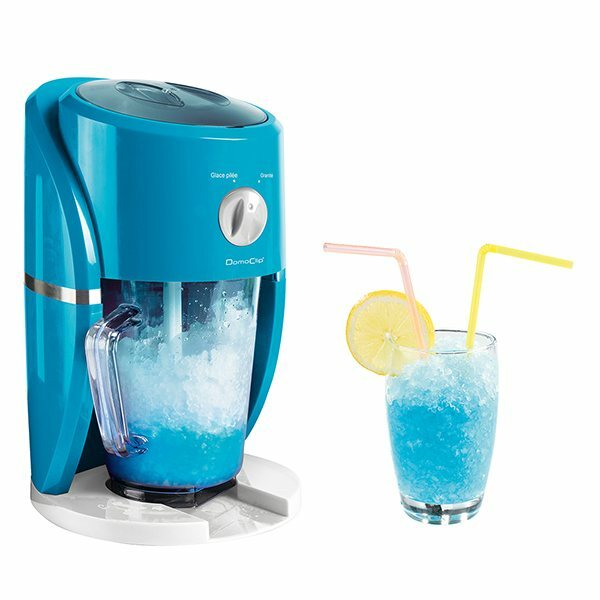 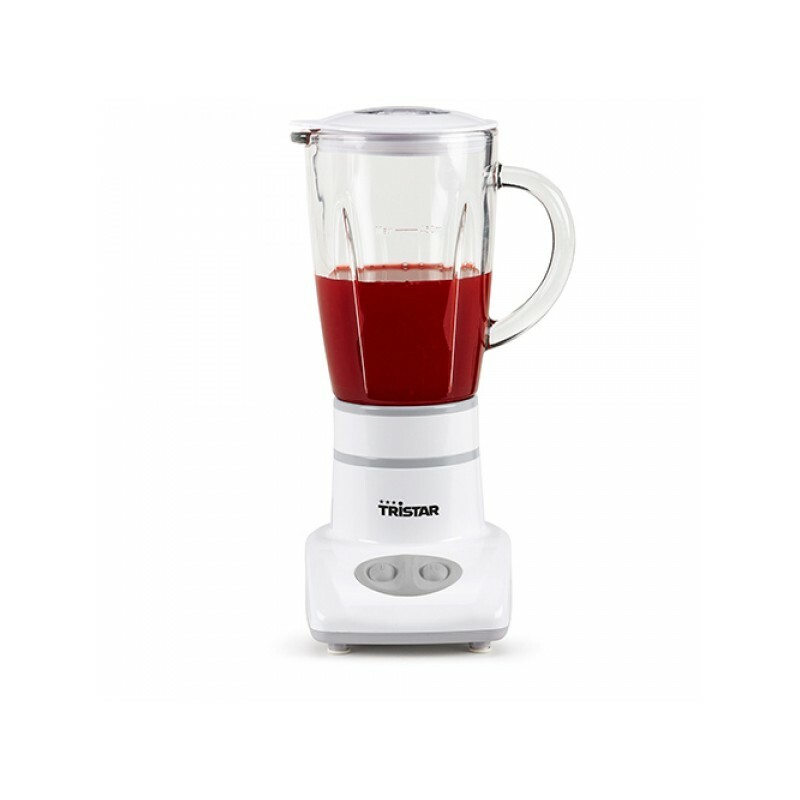 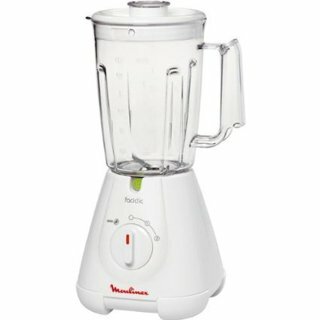 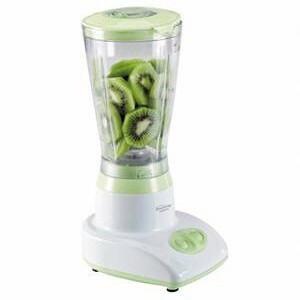 Prestation : Blender avec Bol en Cristal de 0,45 L, livraison incluse. 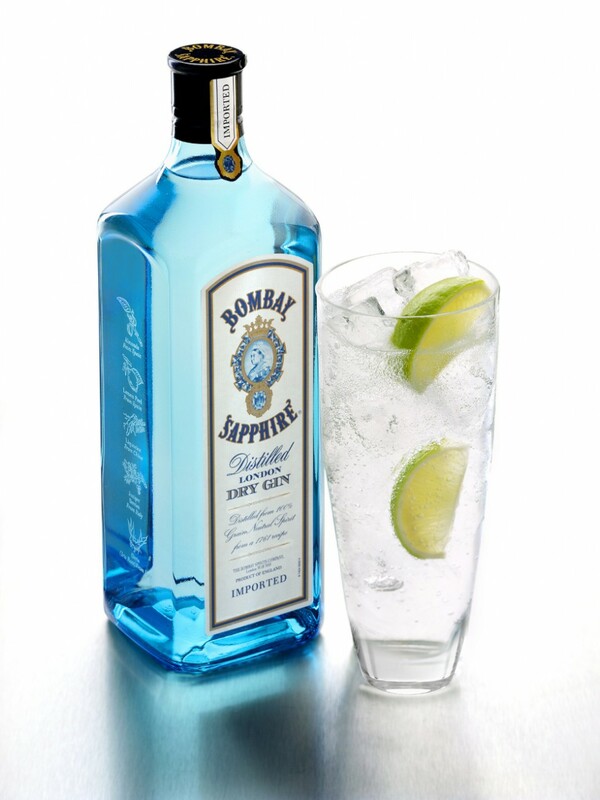 Prestation : Bouteille Gin "Bombay" Saphir, 70cl 40°, port inclus. 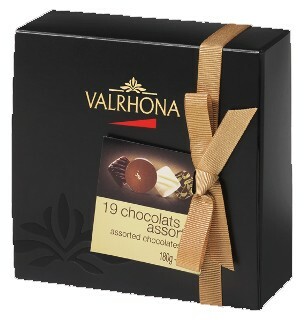 Prestation : BALLOTIN ASSORTI 465grs - VALRHONA, livraison en sus. 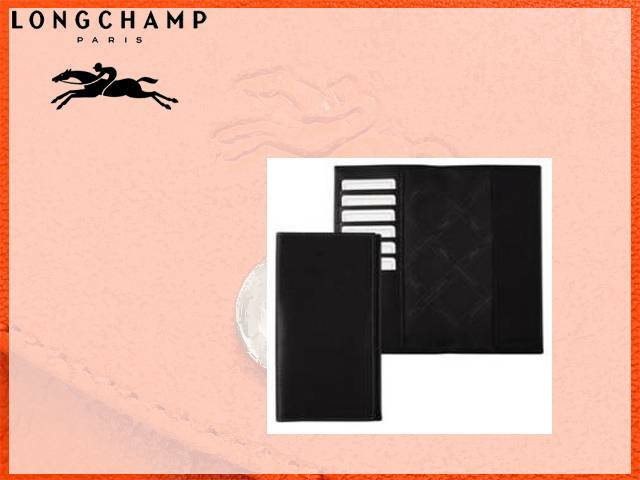 Prestation : PORTE BILLETS CARTES NOIR LONGCHAMP Port inclus. 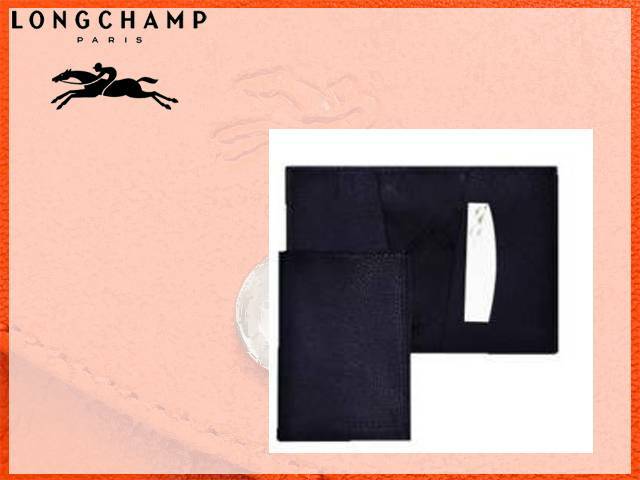 Prestation : PORTE CARTES LONGCHAMP Port inclus. 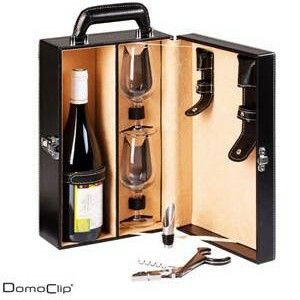 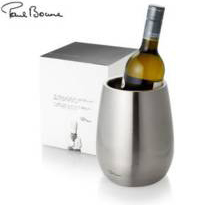 Prestation : COFFRET A VIN DOMOCLIP Port inclus. 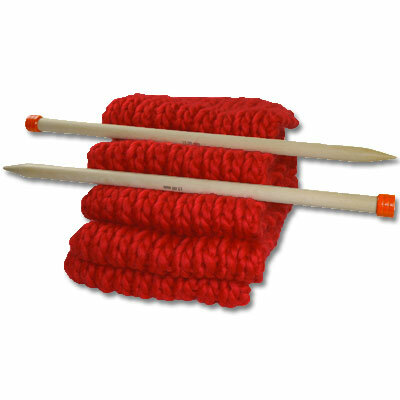 Prestation : Votre cave sur mesure (2 à 3 bouteilles), livraison comprise. 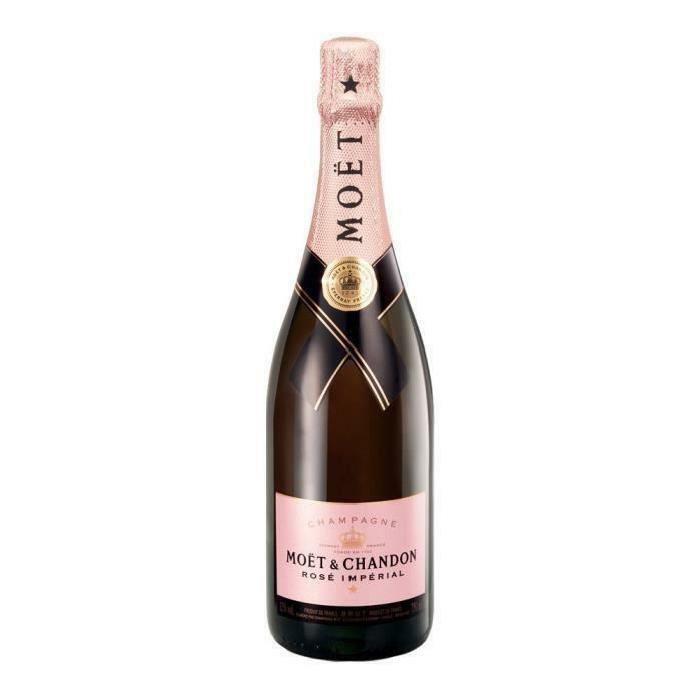 Prestation : Moët & Chandon Champagne Rosé Impérial 75cl, livraison comprise. 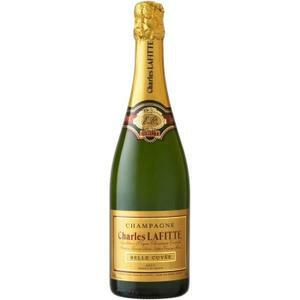 Prestation : Champagne Charles Lafitte Belle Cuvée Brut 75 cl, livraison comprise. 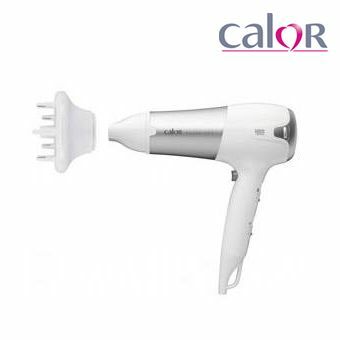 Prestation : TONDEUSE BIKINI RECHARGEABLE, CALOR - Port inclus. 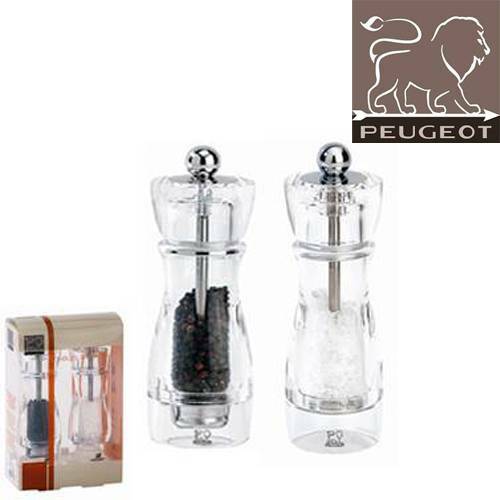 Prestation : COFFRET DUO SEL ET POIVRE, PEUGEOT - Port inclus. 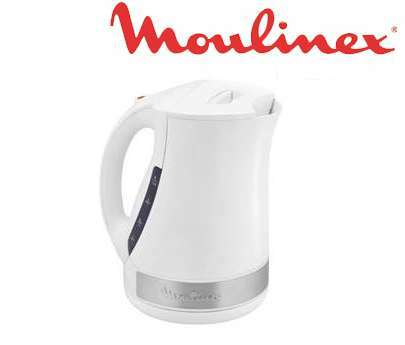 Prestation : CUISEUR A RIZ 5L, MOULINEX - Port inclus. 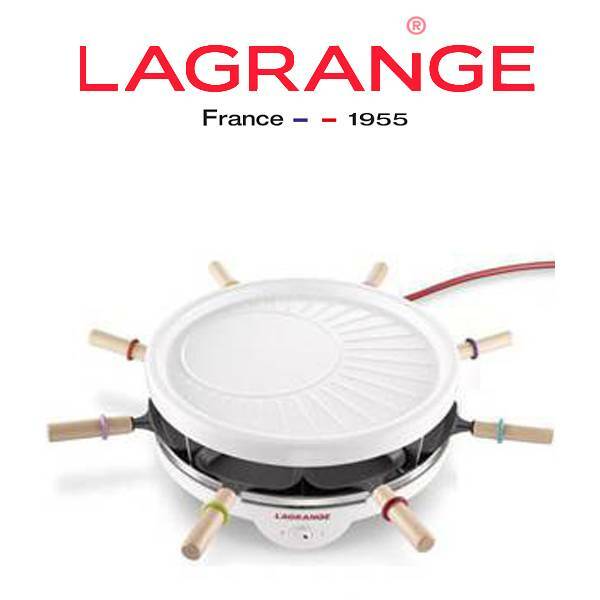 Prestation : BARBECUE ELECTRIQUE POSABLE, MOULINEX - Port inclus. 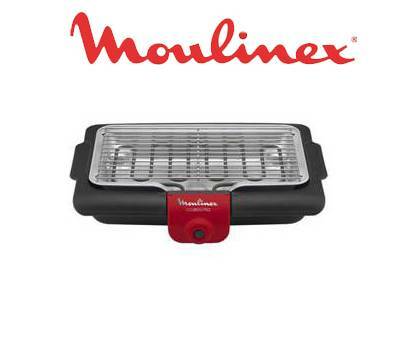 Prestation : GRILLE PAIN INOX/NOIR, MOULINEX - Port inclus. 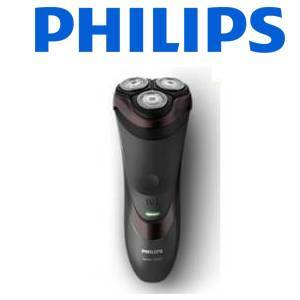 Prestation : TONDEUSE CORPS PLUS, PHILIPS - Port inclus. 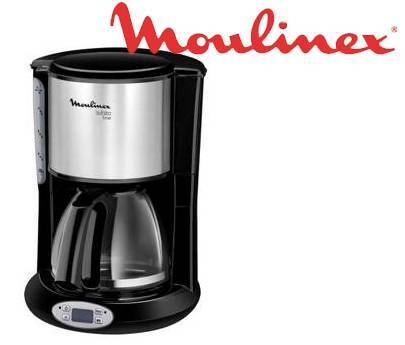 Prestation : CAFETIERE PROGRAMMABLE, MOULINEX - Port inclus. 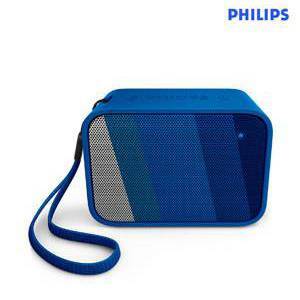 Prestation : ENCEINTE BLUETOOTH BLEUE, PHILIPS - Port inclus. 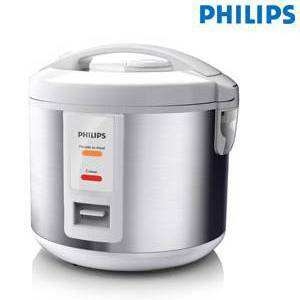 Prestation : CUISEUR A RIZ 3L, PHILIPS - Port inclus. 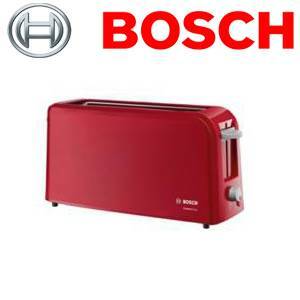 Prestation : GRILLE PAIN ROUGE, BOSCH - Port inclus. 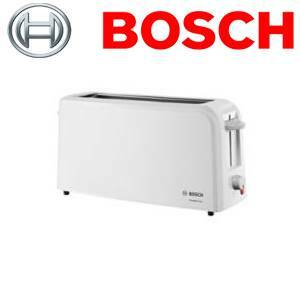 Prestation : GRILLE PAINS BLANC, BOSCH - Port inclus. 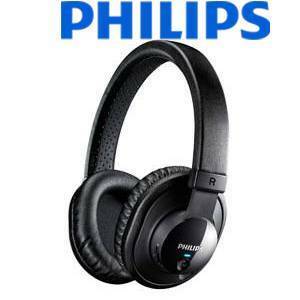 Prestation : ECOUTEURS BLUETOOTH NOIRS, PHILIPS - Port inclus. 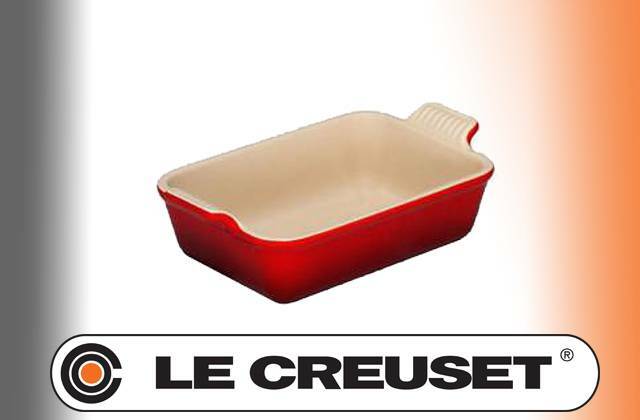 Prestation : PLAT A GRATIN 37 CM CERISE, LE CREUSET - Port inclus. 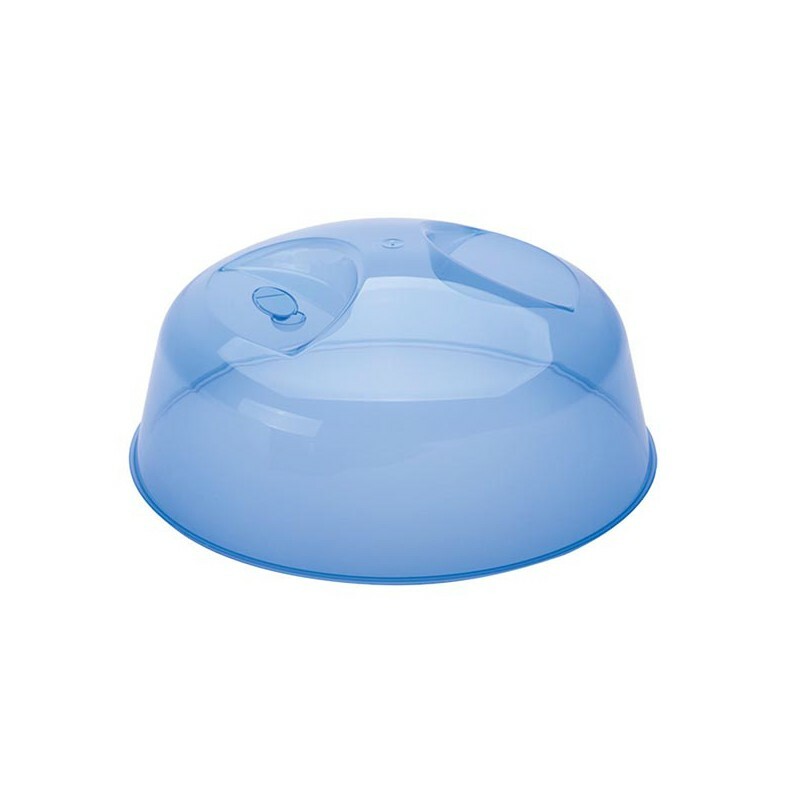 Prestation : APPAREIL 2 EN 1 GRANITES ET GLACE PILEE, DOMOCLIP - Port inclus. 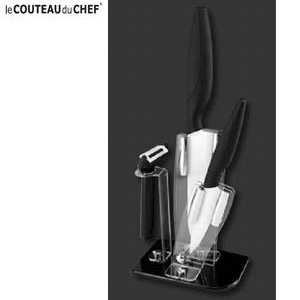 Prestation : COUTEAU SECANTO BLANC, MOULINEX - Port inclus. 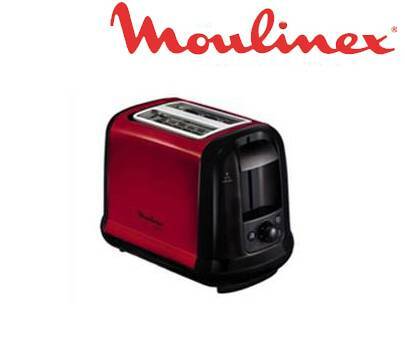 Prestation : TOASTER SUBITO ROUGE, MOULINEX - Port inclus. 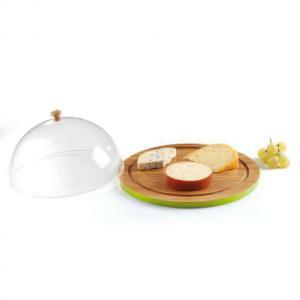 Prestation : RACLETTE 2 TRANSPARENTE, LAGRANGE - Port inclus. 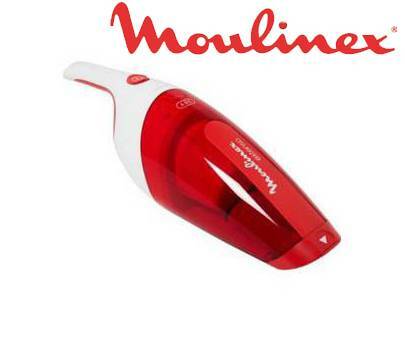 Prestation : ASPIRATEUR A MAINS, MOULINEX - Port inclus. 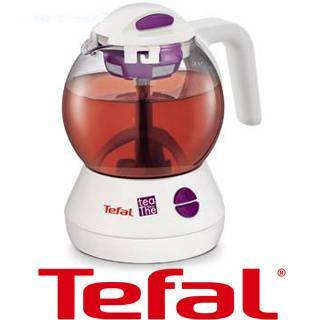 Prestation : PESE PERSONNE TRANSPARENT, TEFAL - Port inclus. 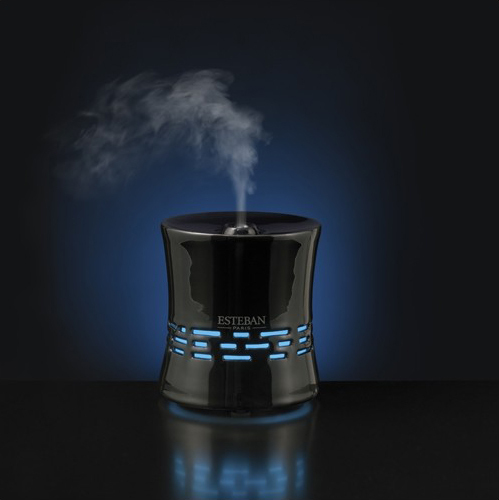 Prestation : Figue Noire - Diffuseur de parfum multifonctions et son concentré Figue Noire, Livraison comprise. 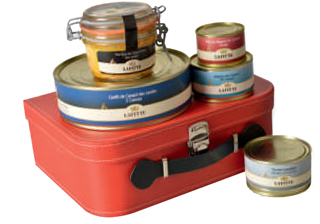 Prestation : TROUSSE DE VOYAGE FEMME L'OCCITANE Port inclus. 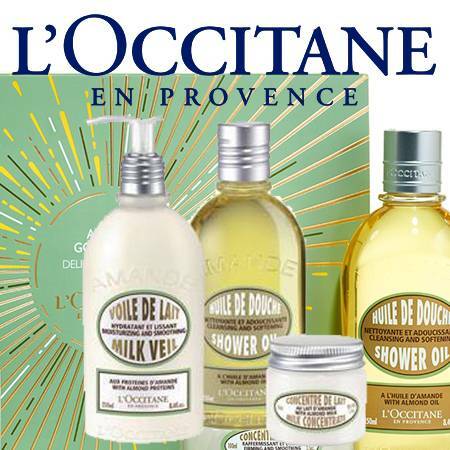 Prestation : TROUSSE DE VOYAGE HOMME L'OCCITANE, livraison en sus. 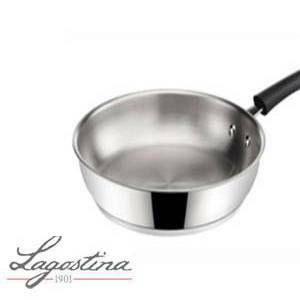 Prestation : CASSEROLE INOX 16 CM LAGOSTINA Port inclus. 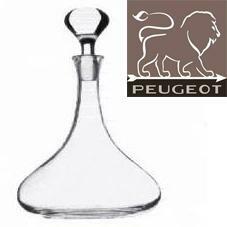 Prestation : CARAFE A VIN, PEUGEOT - Port inclus. 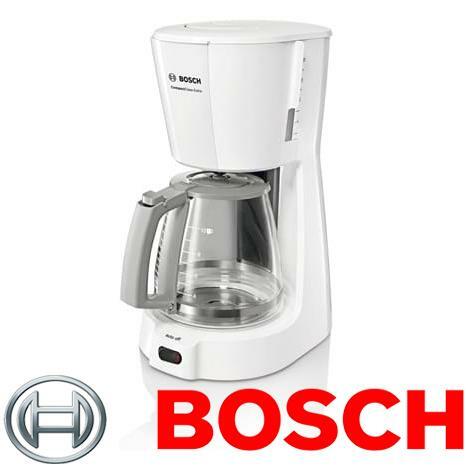 Prestation : CAFETIERE BLANCHE, BOSCH - Port inclus. 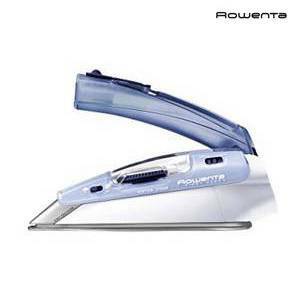 Prestation : PLANCHA, MOULINEX - Port inclus. 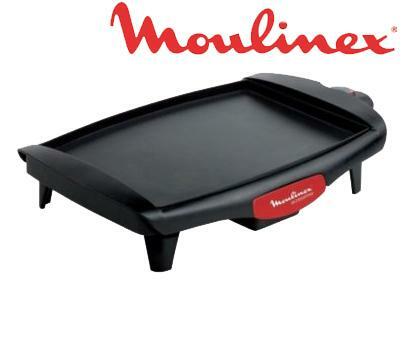 Prestation : RACLETTE 6 COUPELLES, MOULINEX - Port inclus. 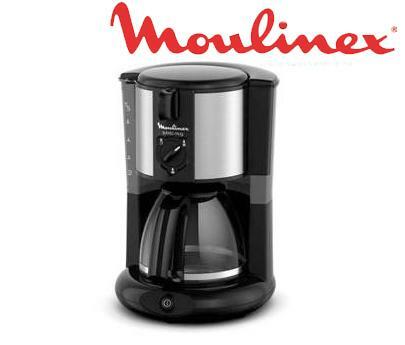 Prestation : CAFETIERE NOIR, MOULINEX - Port inclus. 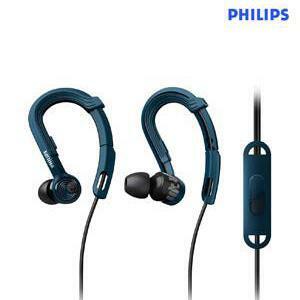 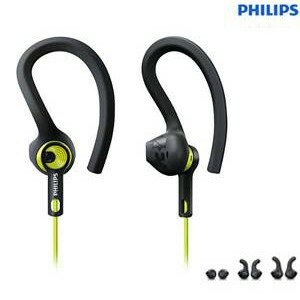 Prestation : ECOUTEURS SPORT AVEC MICRO BLEUS, PHILIPS - Port inclus. 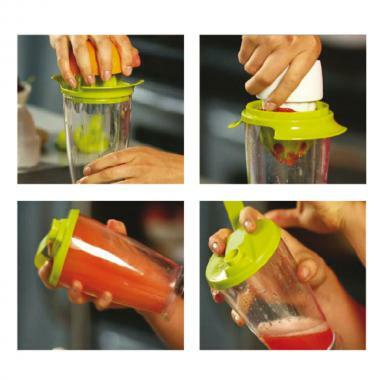 Prestation : BLENDER MIXEUR 2 EN 1, DOMOCLIP - Port inclus. 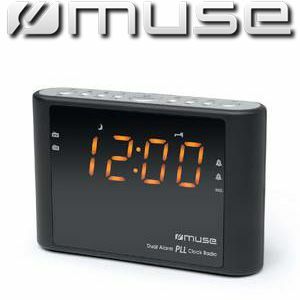 Prestation : REVEIL LUMIERE, MUSE - Port inclus. 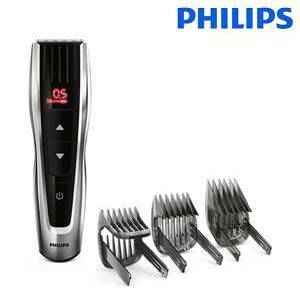 Prestation : TONDEUSE MULTISTYLES 7 EN 1, PHILIPS - Port inclus. 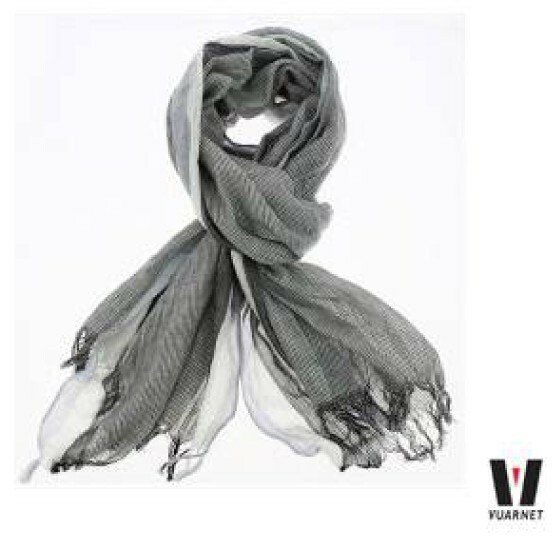 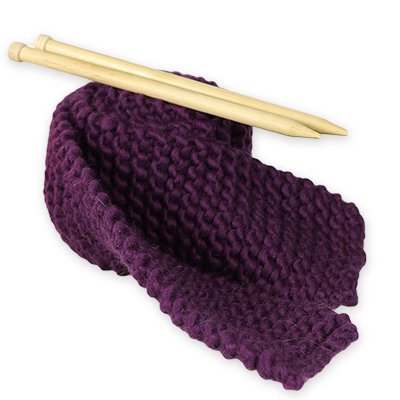 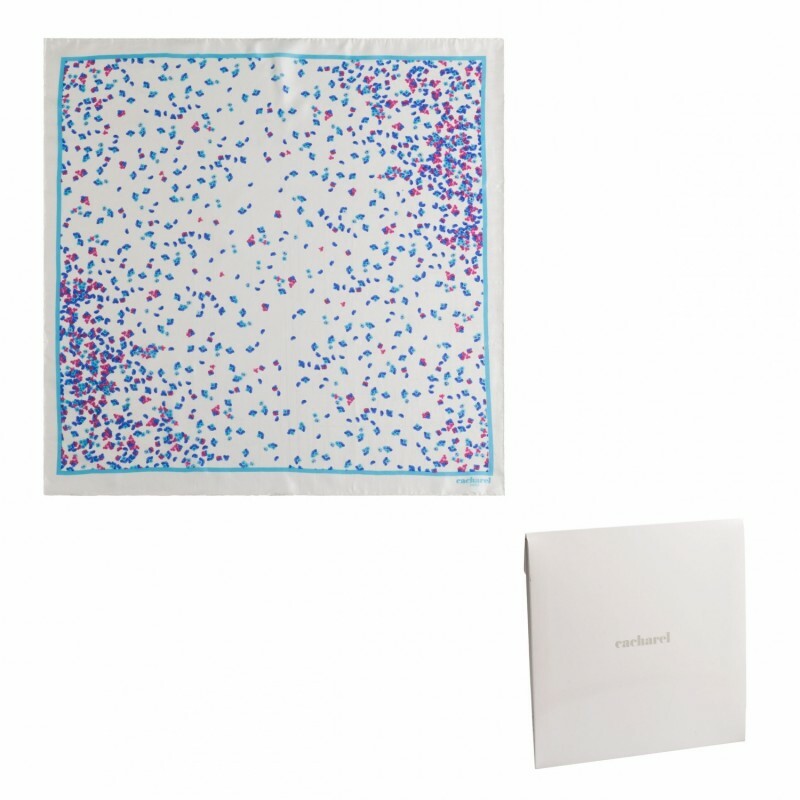 Prestation : FOULARD SOIE, CACHAREL - Port inclus. 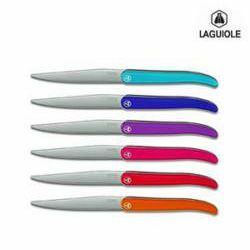 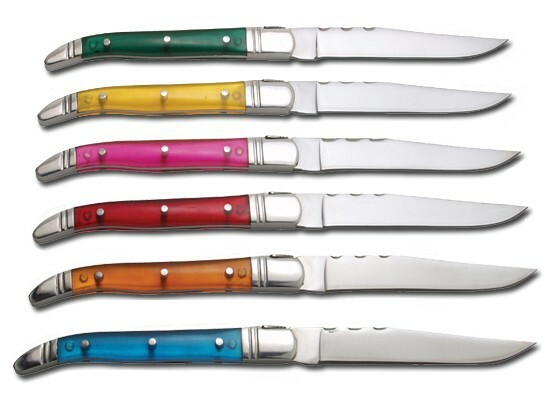 Prestation : PENDERIE 6 PIECES, LAGUIOLE EVOLUTION - Port inclus. 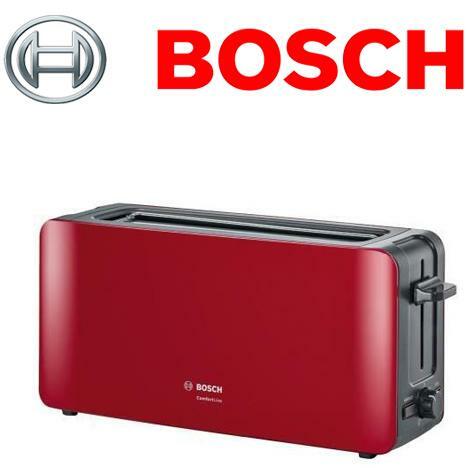 Prestation : GRILLE-PAIN ROUGE, BOSCH - Port inclus. 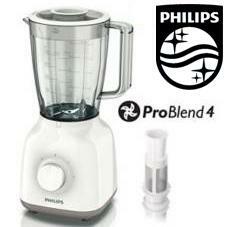 Prestation : BLENDER, PHILIPS - Port inclus. 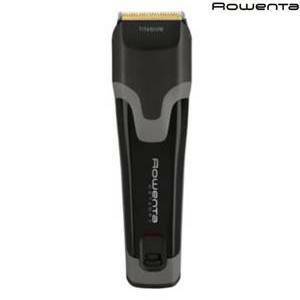 Prestation : FER DE VOYAGE, ROWENTA - Port inclus. 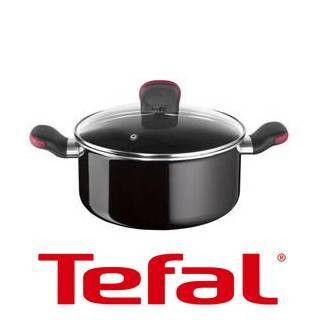 Prestation : 2x CASSEROLE 14 CM, TEFAL - Port inclus. 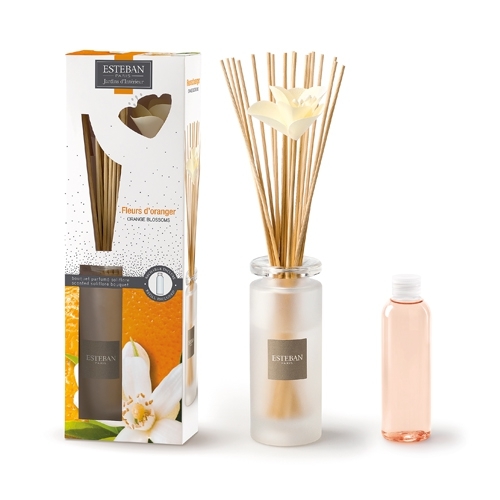 Prestation : 2x Bouquet parfumé Soliflore Thé en Fleur, livraison comprise. 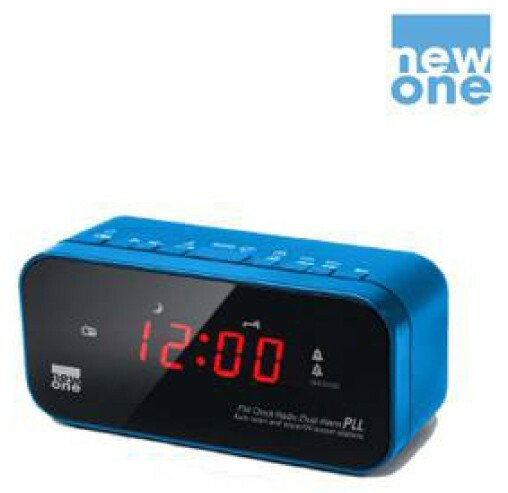 Prestation : 2x Power Bank USB avec LED 4400 mAh, port inclus. 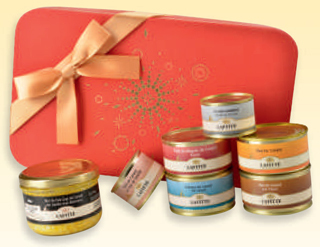 Prestation : COFFRET MAISON VERVEINE L'OCCITANE Port inclus. 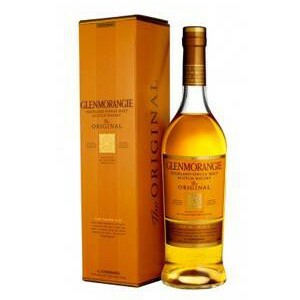 Prestation : GLENMORANGIE, Wisky 10 ans, Port inclus. 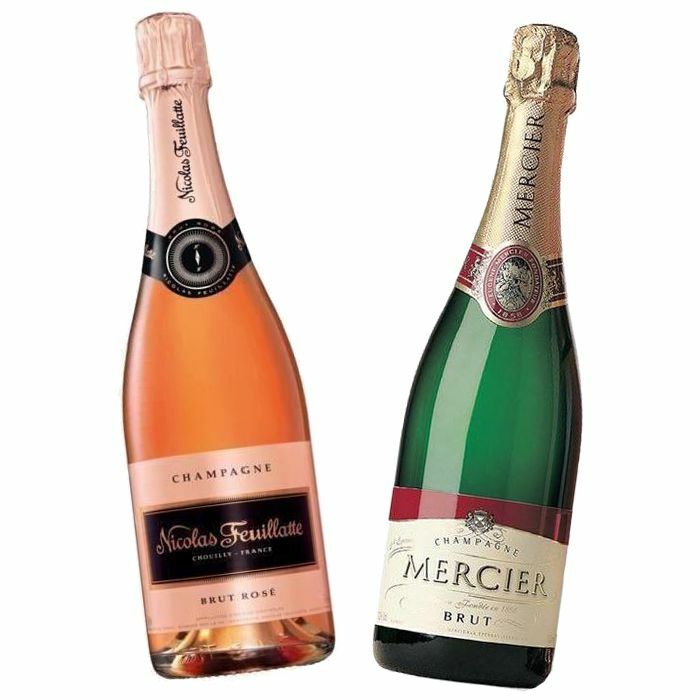 Prestation : 1 BOUTEILLE DE CHAMPAGNE ROSE ETUI CHAMP. 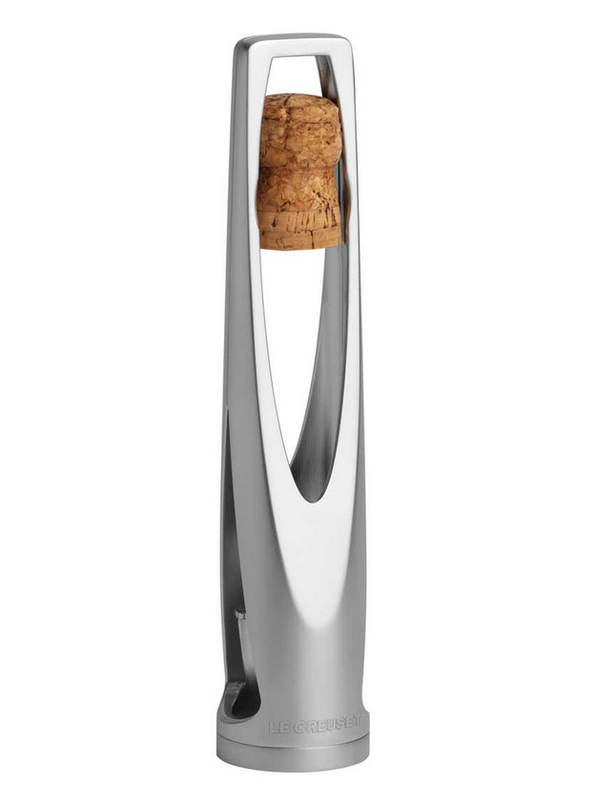 MUMM Port inclus. 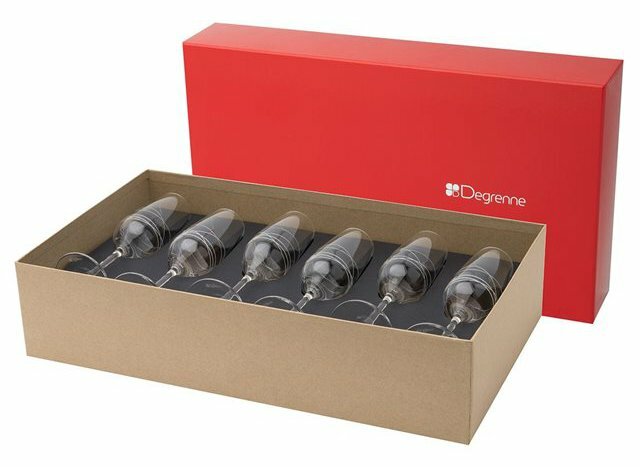 Prestation : COFFRET 6 FLUTES A CHAMPAGNE GUY DEGRENNE, livraison en sus. 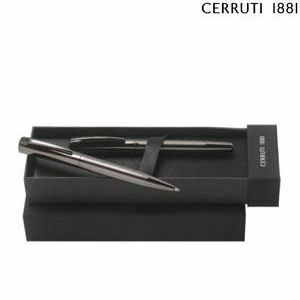 Prestation : PARURE DE STYLOS CERRUTI-1881 Port inclus. 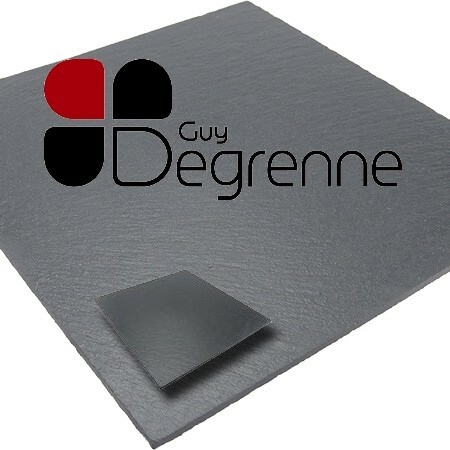 Prestation : 2x Plateau carré 30 X 30 cm en ardoise - GUY DEGRENNE, Port inclus. 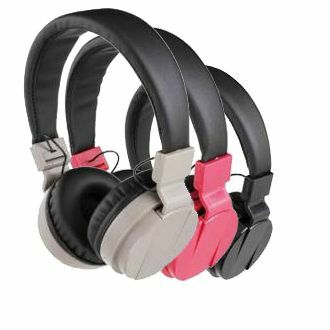 Prestation : 2x MINI HAUT PARLEUR Port inclus. 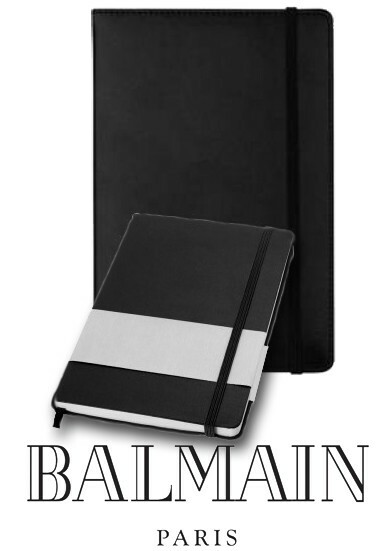 Prestation : 2x BLOC NOTES BALMAIN Port inclus. 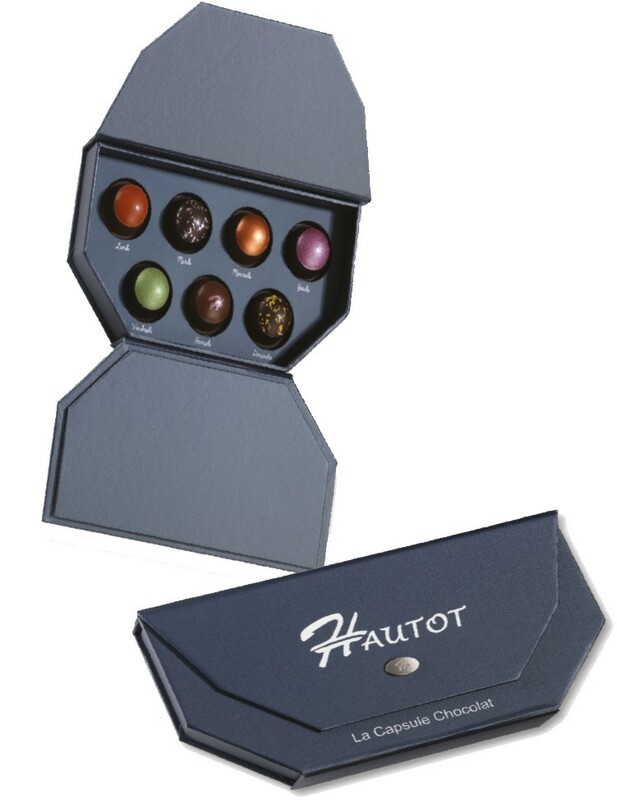 Prestation : 2x COFFRET 6 CUILLERES A DESSERT LAGUIOLE Port inclus. 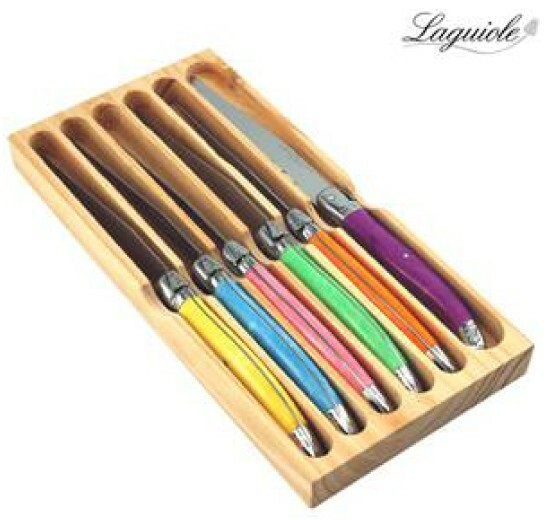 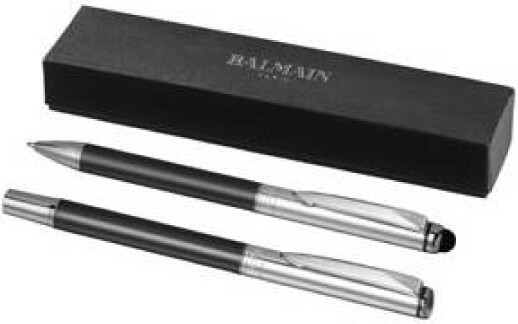 Prestation : 2x COFFRET 6 FOURCHETTES LAGUIOLE Port inclus. 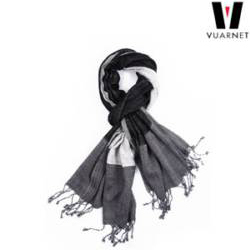 Prestation : 2x CHECHE VUARNET Port inclus. 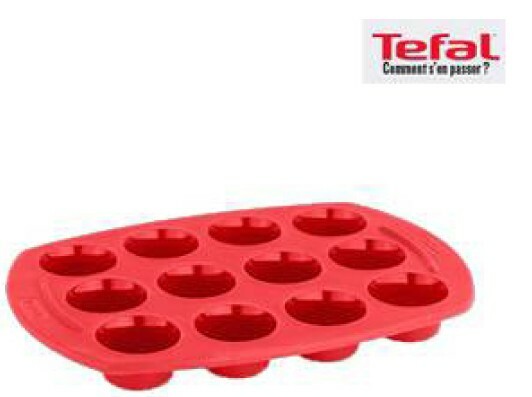 Prestation : 2x PARAPLUIE AUTOMATIQUE Port inclus. 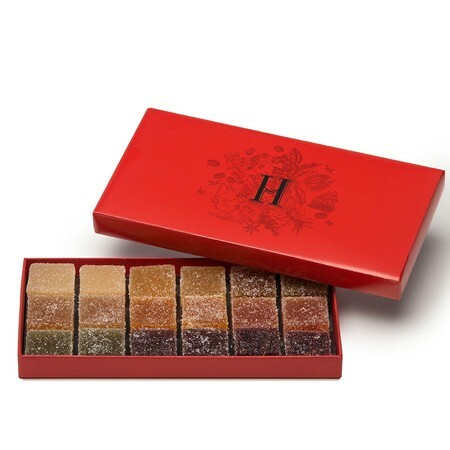 Prestation : 2x Fleur de Sel 250 g (sachet toile). 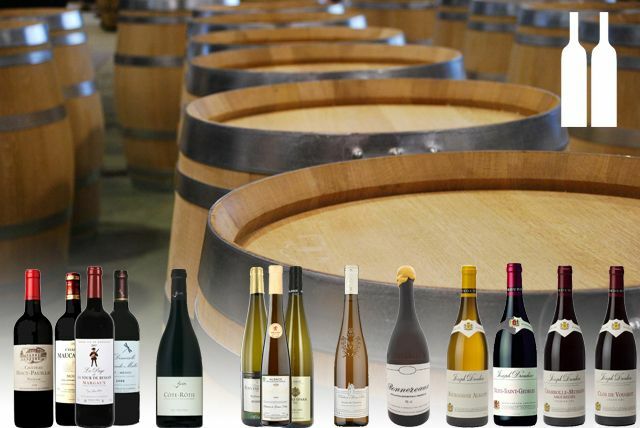 Prestation : Votre cave sur mesure (2 à 4 bouteilles), livraison comprise. 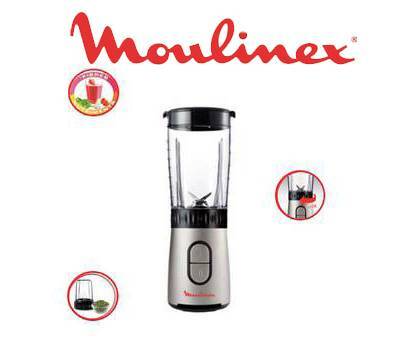 Prestation : BLENDER MIX&DRINK, MOULINEX - Port inclus. 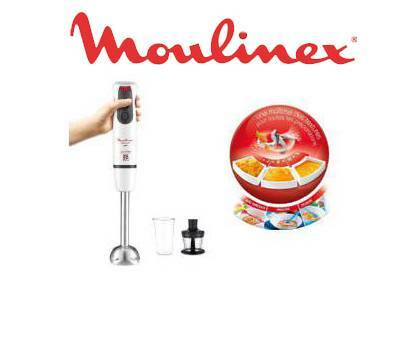 Prestation : PIED MIXEUR 2 EN 1, MOULINEX - Port inclus. 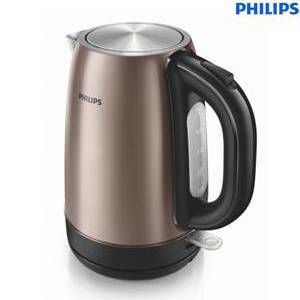 Prestation : BOUILLOIRE CUIVRE, PHILIPS - Port inclus. 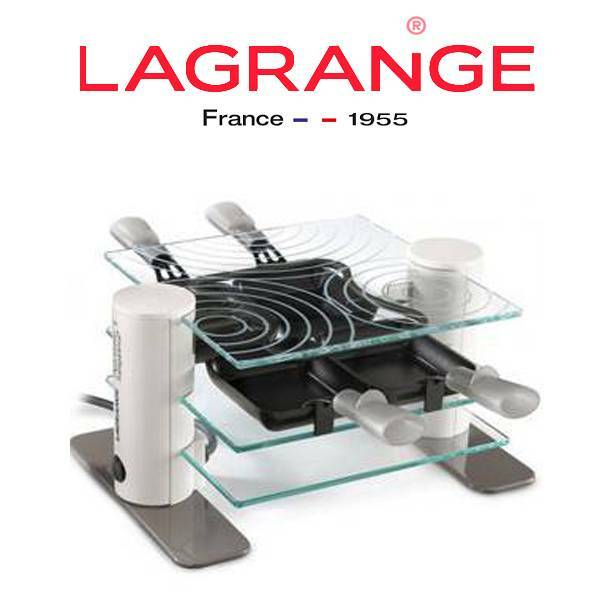 Prestation : RACLETTE 4 TRANSPARENTE, LAGRANGE - Port inclus. 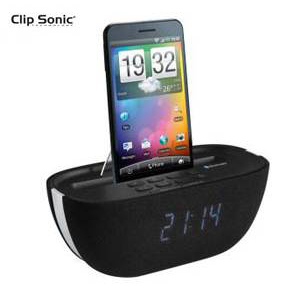 Prestation : RADIO REVEIL BLUETOOTH, CLIP SONIC - Port inclus. 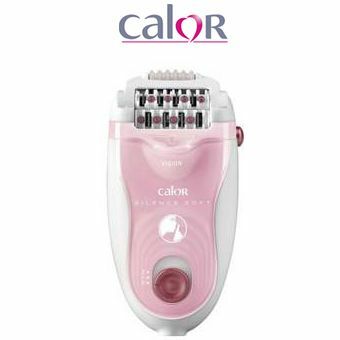 Prestation : EPILATEUR SILENCE SOFT ROSE, CALOR - Port inclus. 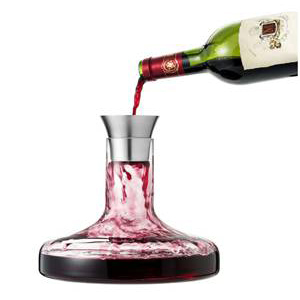 Prestation : CARAFE A DECANTER, ArtsTable - Port inclus. 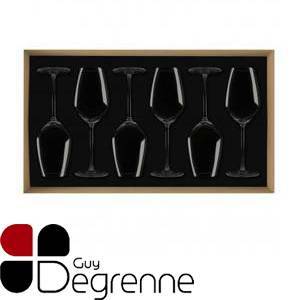 Prestation : COFFRET FLUTES A CHAMPAGNE, GUY DEGRENNE - Port inclus. 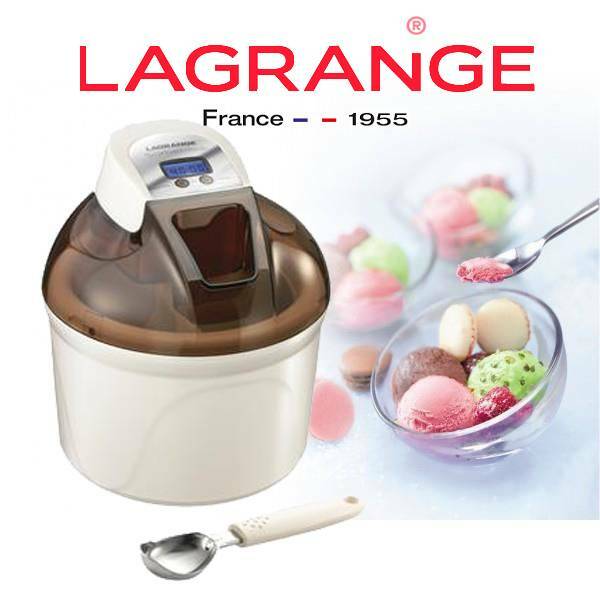 Prestation : SORBETIERE CHOCOLAT, LAGRANGE - Port inclus. 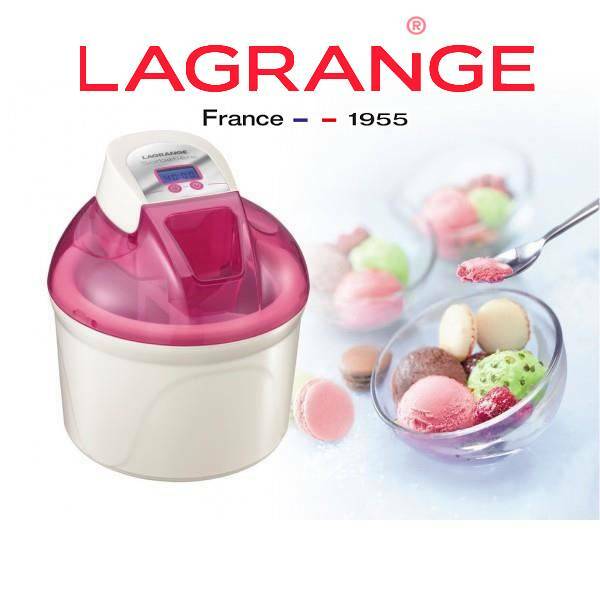 Prestation : SORBETIERE FRAMBOISE, LAGRANGE - Port inclus. 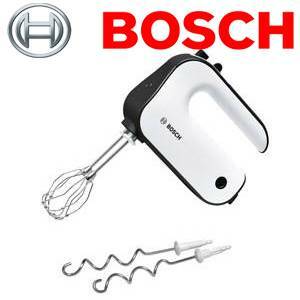 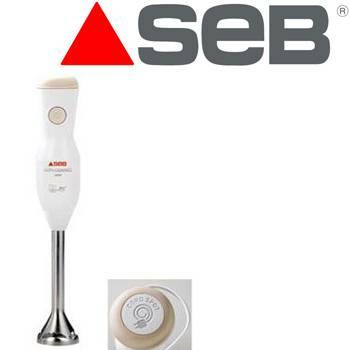 Prestation : PIED DE MIXEUR AVEC BOL, BOSCH - Port inclus. 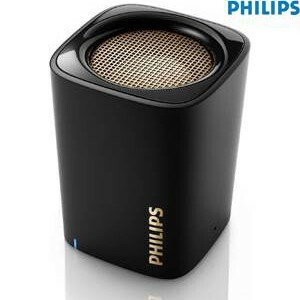 Prestation : ENCEINTE BLUETOOTH NOIRE, PHILIPS - Port inclus. 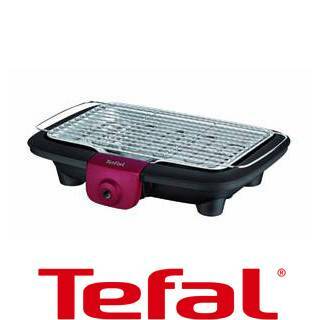 Prestation : GRILL VIANDES, TEFAL - Port inclus. 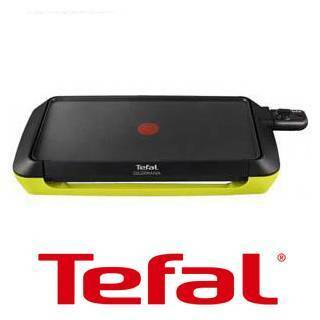 Prestation : RACLETTE DECO 6 PERSONNES, TEFAL - Port inclus. 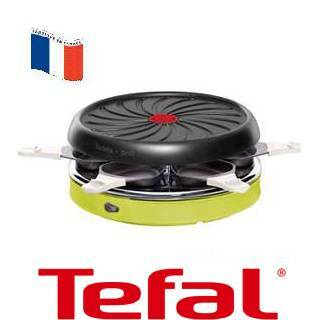 Prestation : BARBECUE DE TABLE, TEFAL - Port inclus. 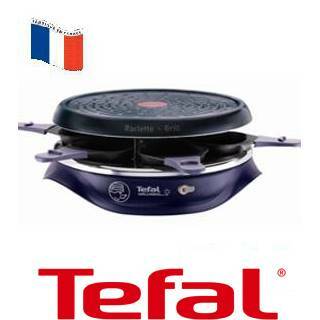 Prestation : BOUILLOIRE, TEFAL - Port inclus. 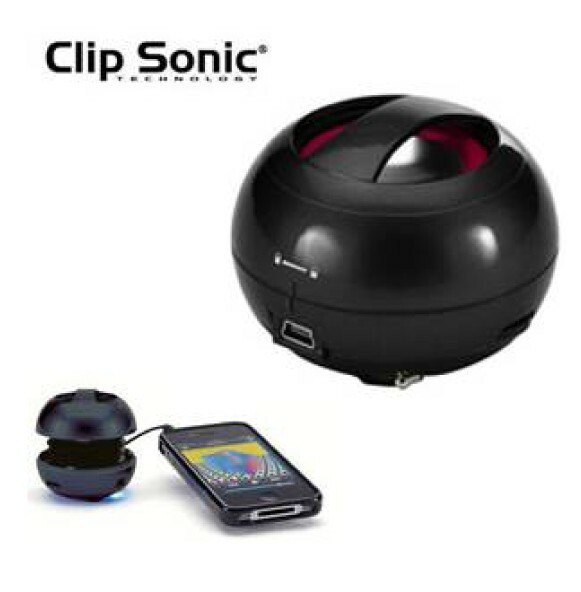 Prestation : ENCEINTE VEILLEUSE COMPATIBLE BLUETOOTH, CLIP SONIC - Port inclus. 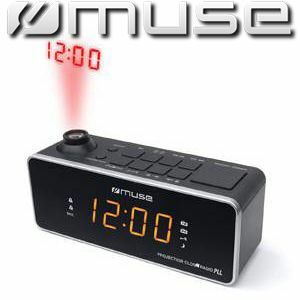 Prestation : RADIO FM BLANCHE, MUSE - Port inclus. 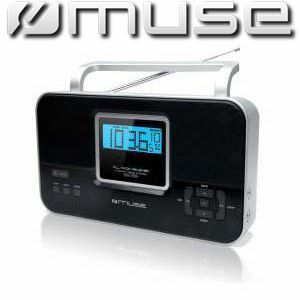 Prestation : RADIO FM NOIRE, MUSE - Port inclus. 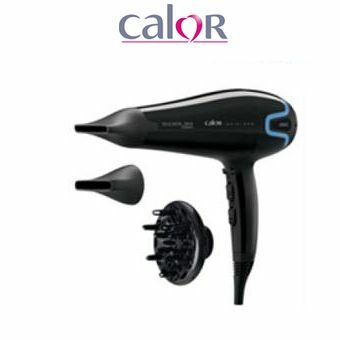 Prestation : SET COMPLET DE COIFFURE MULTIGLAM STYLING SET, CALOR - Port inclus. 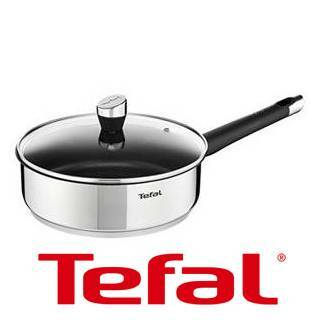 Prestation : SAUTEUSE INOX 26 CM, TEFAL - Port inclus. 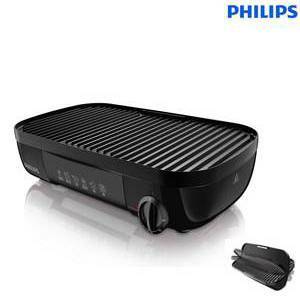 Prestation : GRILLE PAIN CUIVRE, PHILIPS - Port inclus. 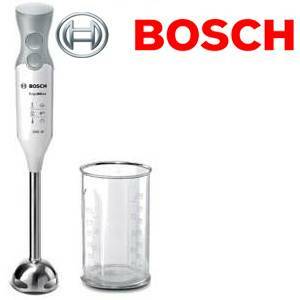 Prestation : BATTEUR, BOSCH - Port inclus. 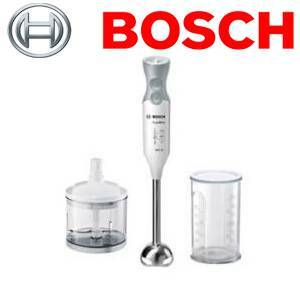 Prestation : MIXEUR PLONGEANT, BOSCH - Port inclus. 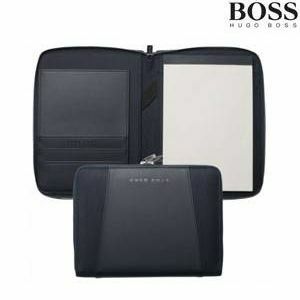 Prestation : CONFERENCIER A5 BLEU, HUGO-BOSS - Port inclus. 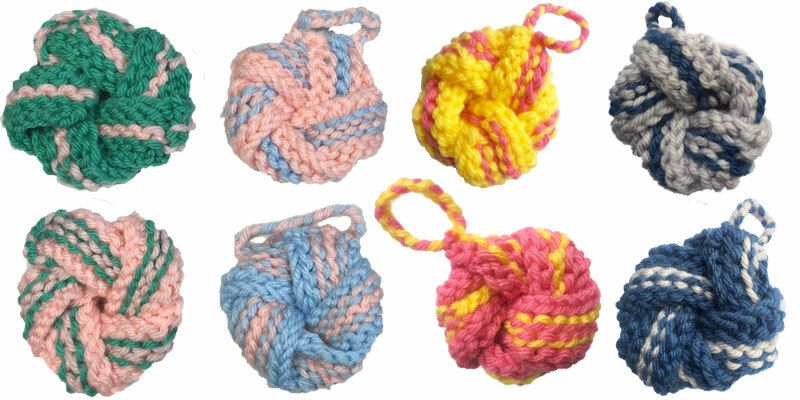 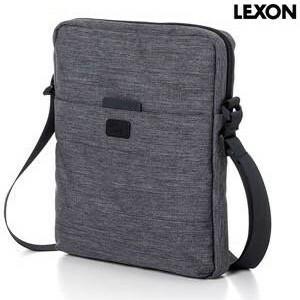 Prestation : SAC PORTE MAIN / EPAULE, CACHAREL - Port inclus. 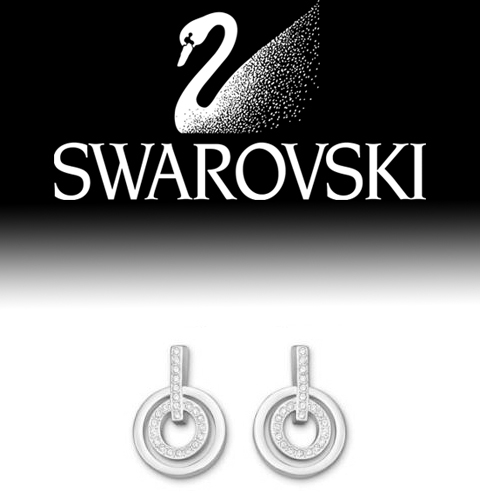 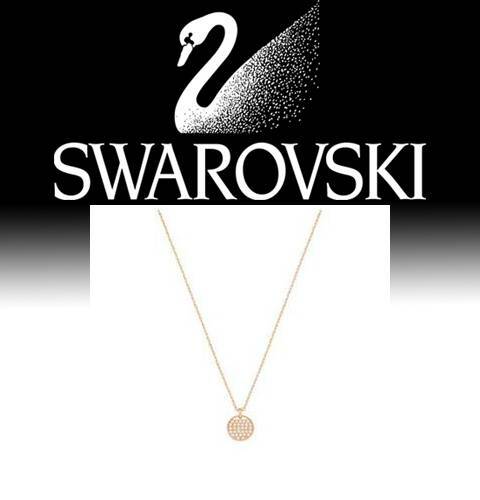 Prestation : PENDENTIF CERCLE, SWAROVSKI - Port inclus. 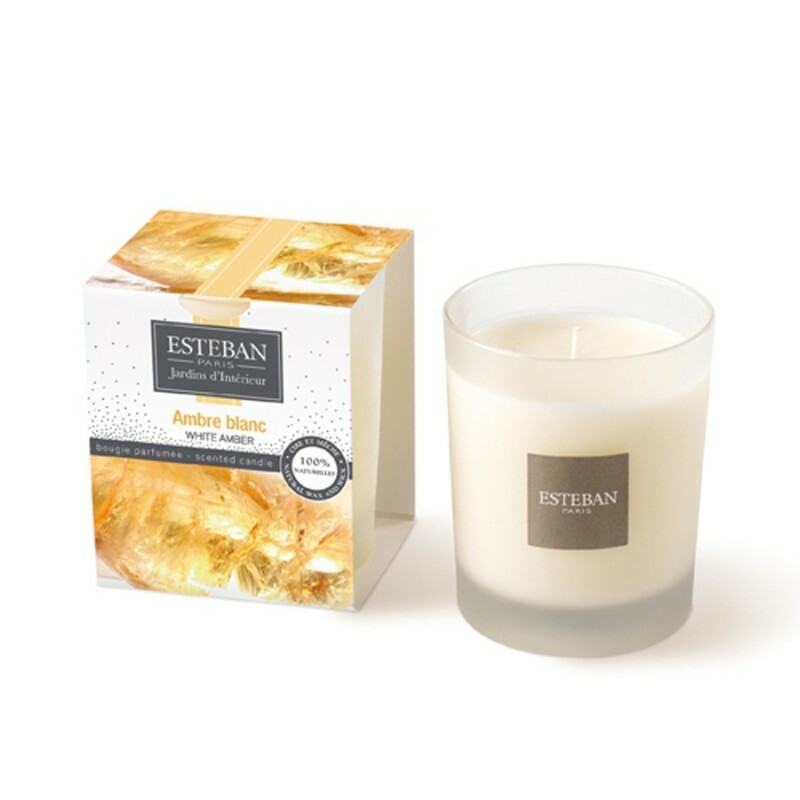 Prestation : 4x Sachet parfumé Néroli Esteban, livraison incluse. 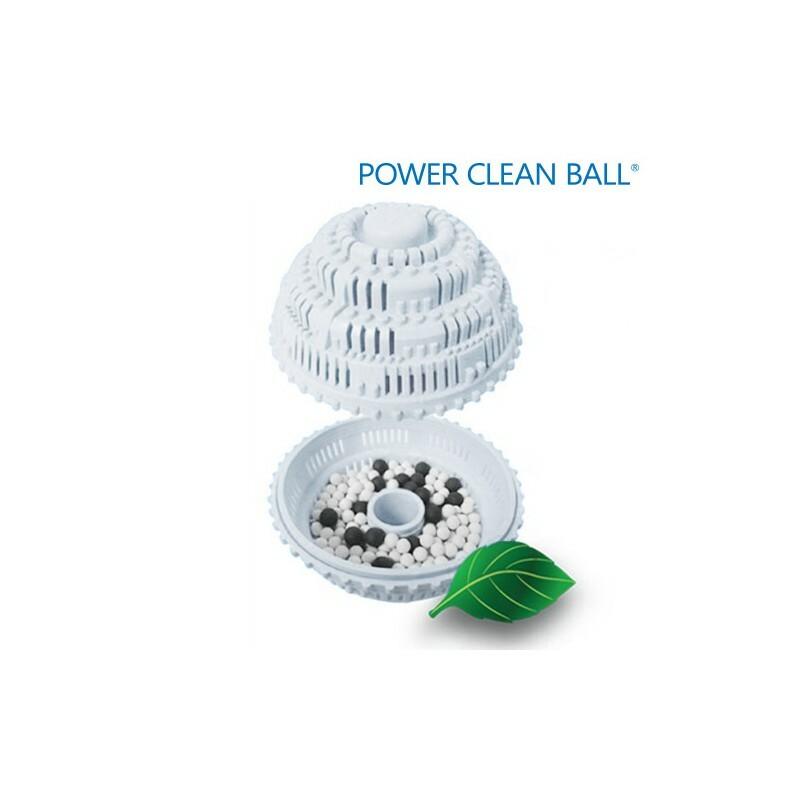 Prestation : 4x Boule de Lavage Power Clean Ball, livraison incluse. 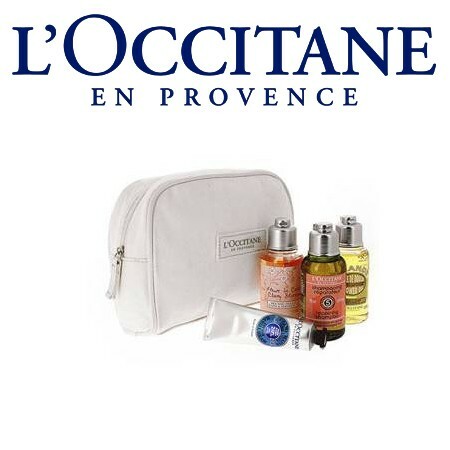 Prestation : TROUSSE DE VOYAGE HOMME L'OCCITANE Port inclus. 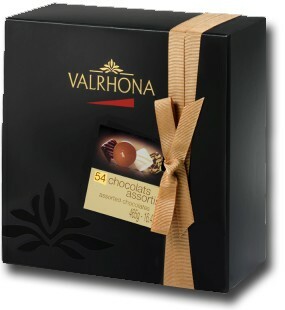 Prestation : BALLOTIN ASSORTI 465grs VALRHONA Port inclus. 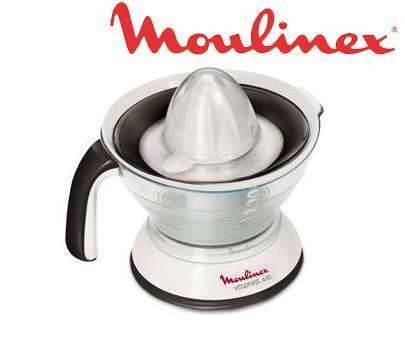 Prestation : BLENDER FACICLIC MOULINEX, livraison en sus. 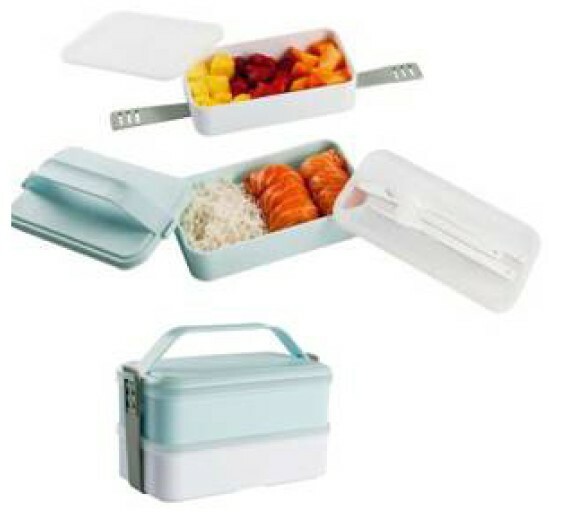 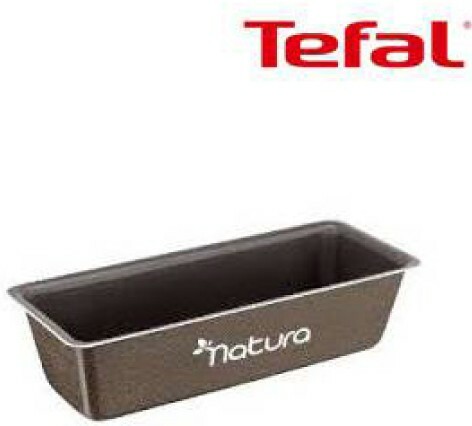 Prestation : CASSEROLE INOX 18 CM LAGOSTINA Port inclus. 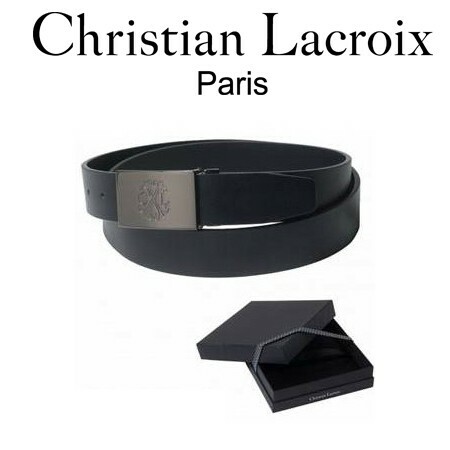 Prestation : CEINTURE HOMME CHRISTIAN LACROIX Port inclus. 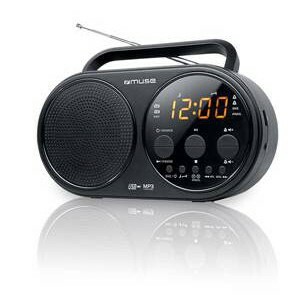 Prestation : RADIO AM/FM LEXON Port inclus. 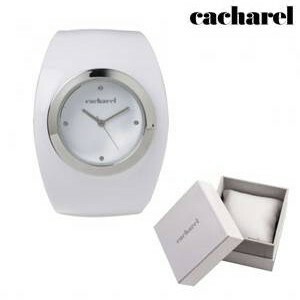 Prestation : MONTRE FEMME BLANCHE CACHAREL Port inclus. 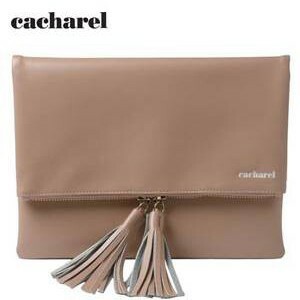 Prestation : SAC FEMME ROSE CACHAREL Port inclus. 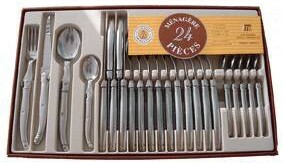 Prestation : MENAGERE 24 PIECES LAGUIOLE Port inclus. Prestation : 4 bouteilles de vin espagnol à emporter. 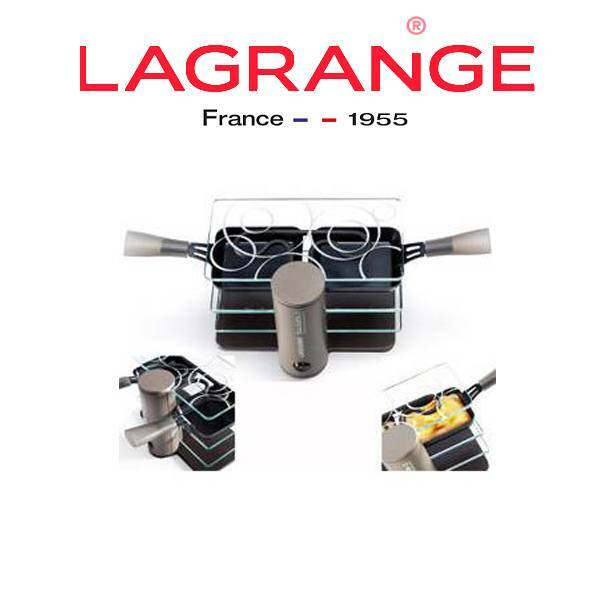 Prestation : Votre cave sur mesure (3 bouteilles), livraison comprise. 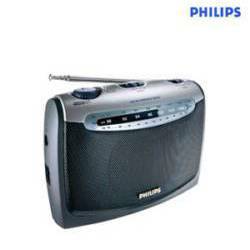 Prestation : RASOIR RECHARGEABLE, PHILIPS - Port inclus. 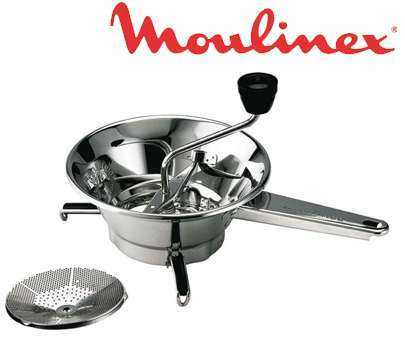 Prestation : FRITEUSE INOX, MOULINEX - Port inclus. 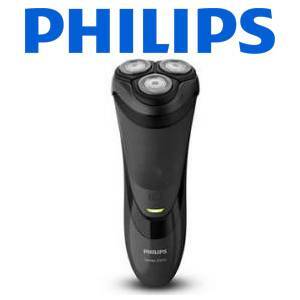 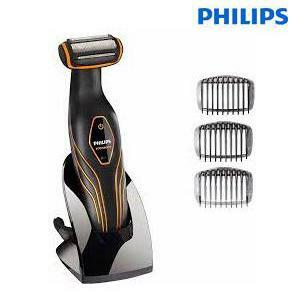 Prestation : TONDEUSE BARBE MULTIFONCTIONS, PHILIPS - Port inclus. 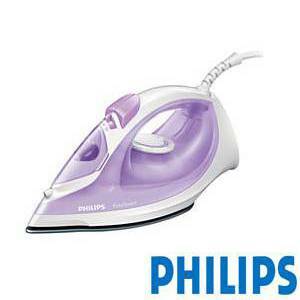 Prestation : RASOIR ELECTRIQUE VIOLET, PHILIPS - Port inclus. 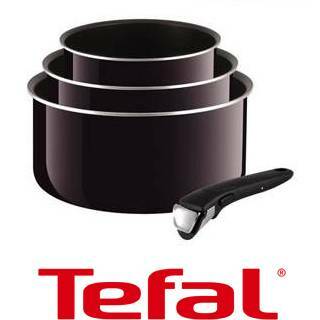 Prestation : SET DE 3 CASSEROLES, TEFAL - Port inclus. 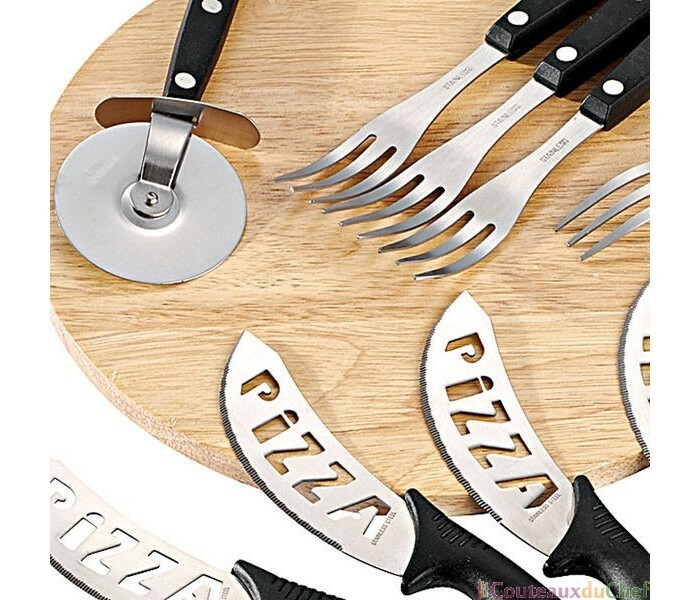 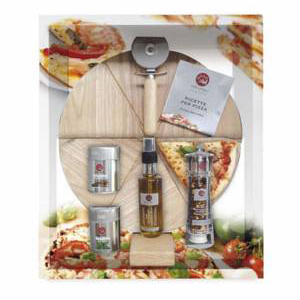 Prestation : COFFRET PIZZA, COLLITALI - Port inclus. 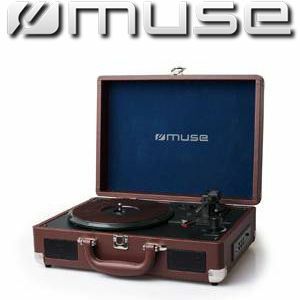 Prestation : PLATINE VINYLE, MUSE - Port inclus. 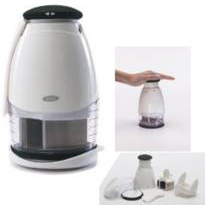 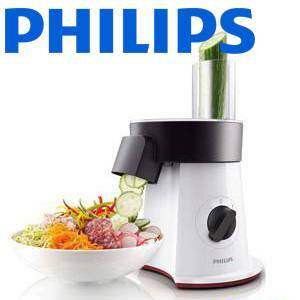 Prestation : SALADE MAKER, PHILIPS - Port inclus. 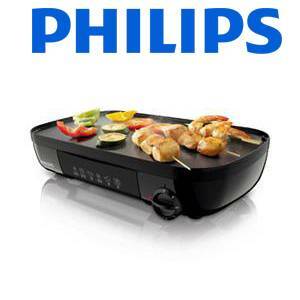 Prestation : PLANCHA/GRILL, PHILIPS - Port inclus. 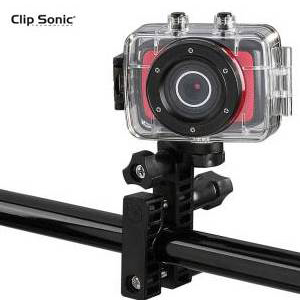 Prestation : CAMERA MINIATURE SPORT NOIR ET ROUGE, CLIP SONIC - Port inclus. 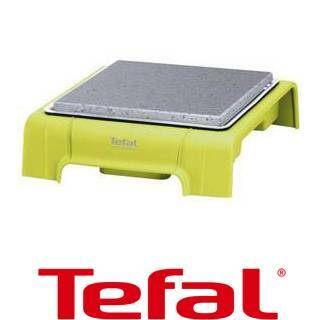 Prestation : PLANCHA, TEFAL - Port inclus. 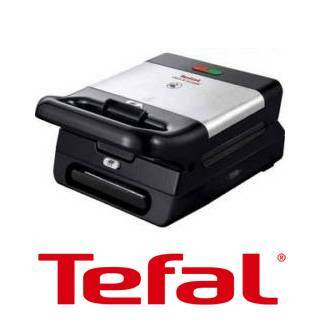 Prestation : PIERRADE COMPACTE, TEFAL - Port inclus. 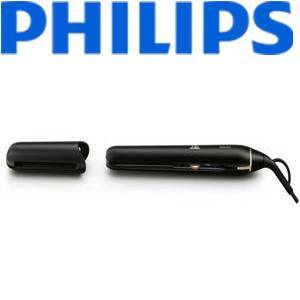 Prestation : TONDEUSE A CHEVEUX, PHILIPS - Port inclus. 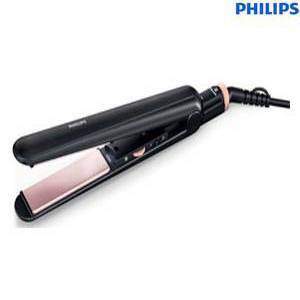 Prestation : PLANCHA GRIL DE TABLE NOIR, PHILIPS - Port inclus. 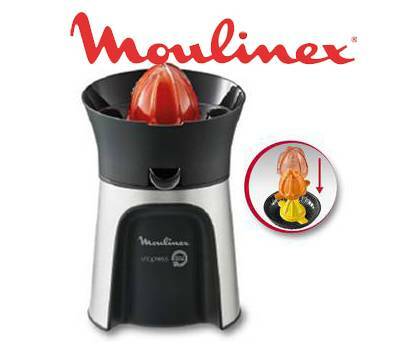 Prestation : BLENDER FRUIT SENSATION, MOULINEX - Port inclus. 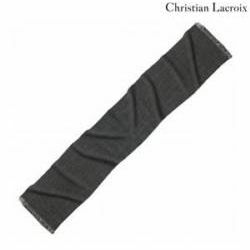 Prestation : ECHARPE, CHRISTIAN LACROIX - Port inclus. 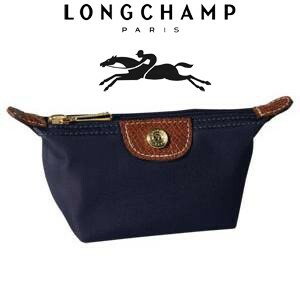 Prestation : PETIT SAC PORTE MAIN MARINE, LONGCHAMP - Port inclus. 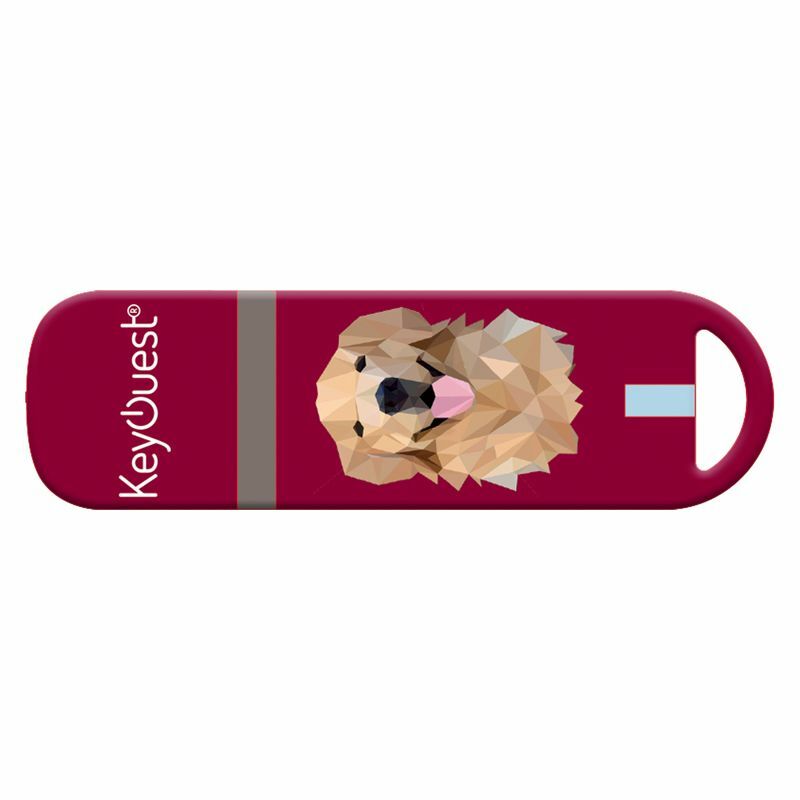 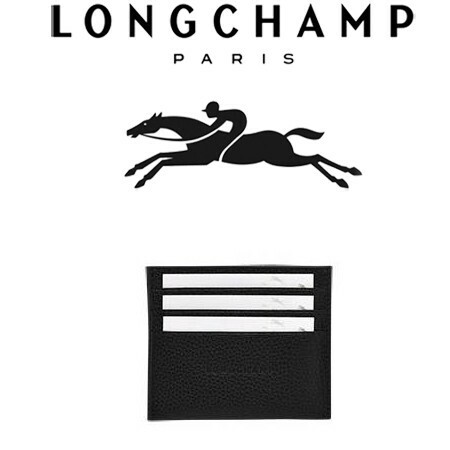 Prestation : PORTE CHEQUIER, LONGCHAMP - Port inclus. 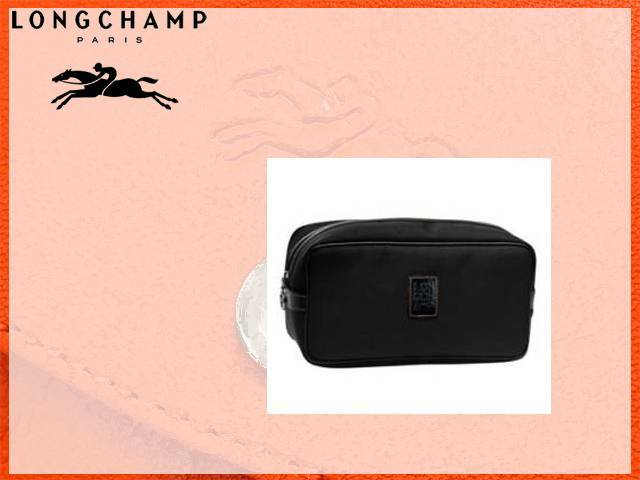 Prestation : TROUSSE DE TOILETTE NOIR HOMME, LONGCHAMP - Port inclus. 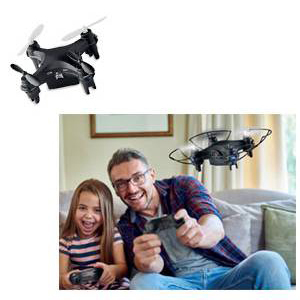 Prestation : MINI DRONE CAMERA, MiniDrone - Port inclus. 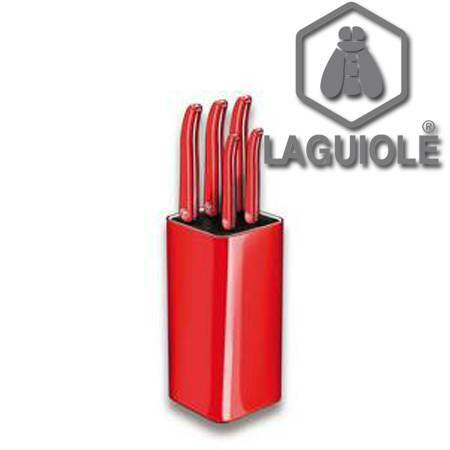 Prestation : BLOC ROUGE 5 COUTEAUX DE CUISINE, LAGUIOLE - Port inclus. 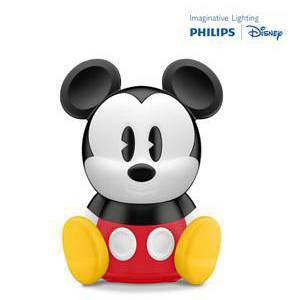 Prestation : LAMPE A POSER MICKEY, PHILIPS - Port inclus. 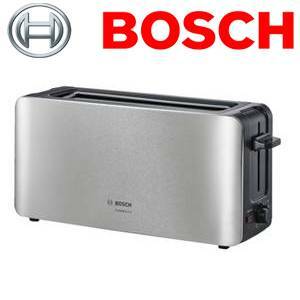 Prestation : GRILLE-PAIN NOIR-INOX, BOSCH - Port inclus. 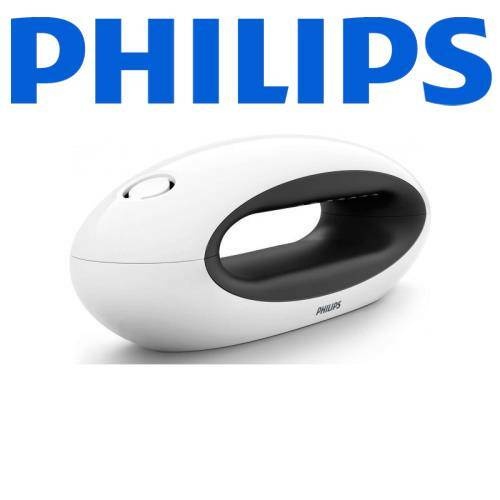 Prestation : TELEPHONE DESIGN BLANC, PHILIPS - Port inclus. 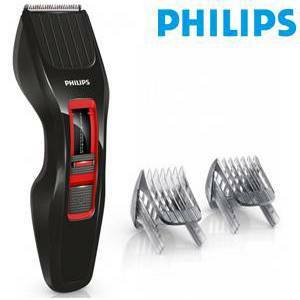 Prestation : BROSSE SOUFFLANTE PRO, PHILIPS - Port inclus. 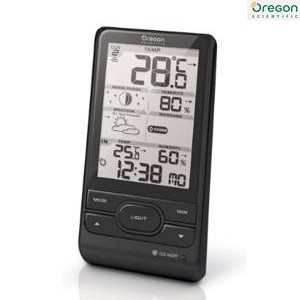 Prestation : STATION METEO THERMOMETRE, OREGON SCIENTIFIC - Port inclus. 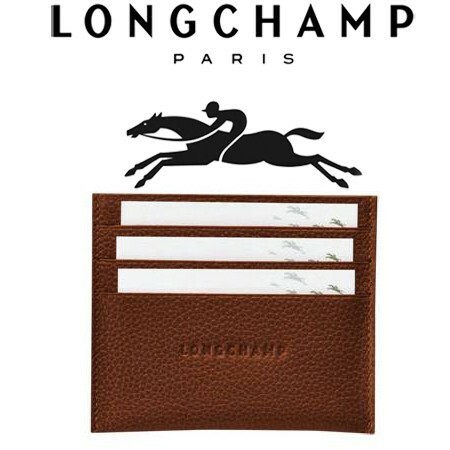 Prestation : PORTE CARTES, LONGCHAMP - Port inclus. 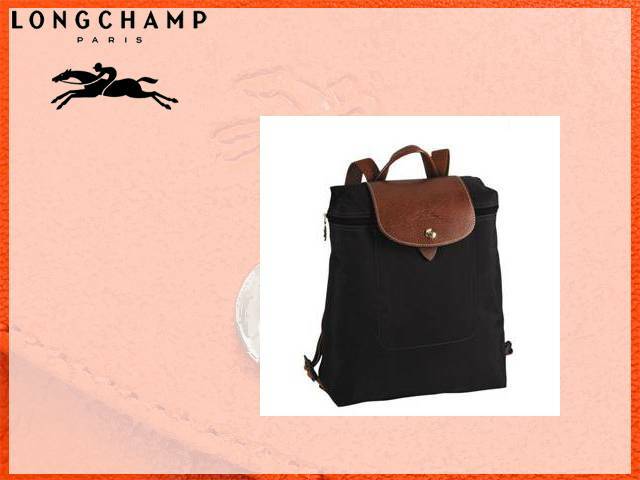 Prestation : PETIT SAC PORTE MAIN NOIR, LONGCHAMP - Port inclus. 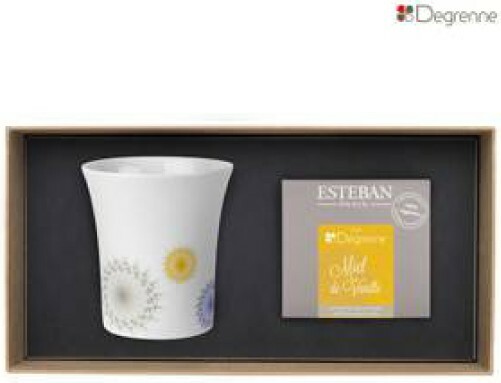 Prestation : COFFRET "IMMORTELLE", L'OCCITANE - Port inclus. 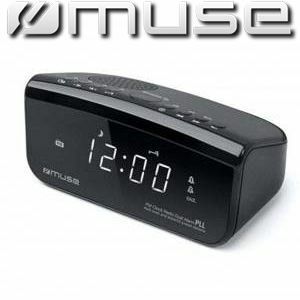 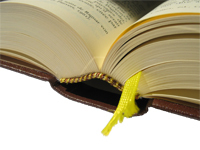 Prestation : PRESSE-AGRUMES VITAPRESS, MOULINEX - Port inclus. 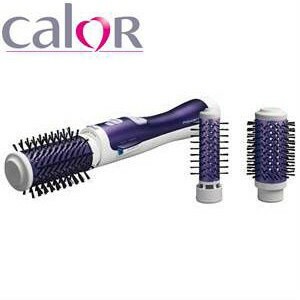 Prestation : LISSEUR 2 EN 1, CALOR - Port inclus. 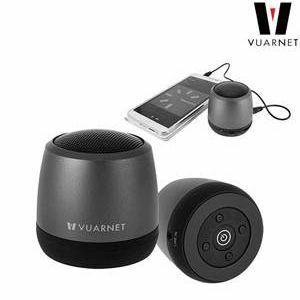 Prestation : ENCEINTE BLUETOOTH, VUARNET - Port inclus. 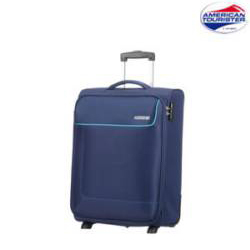 Prestation : VALISE 2 ROUES 55 CM BLEUE, AMERICAN-TOURISTER - Port inclus. 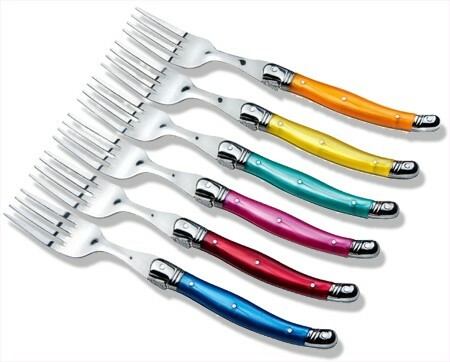 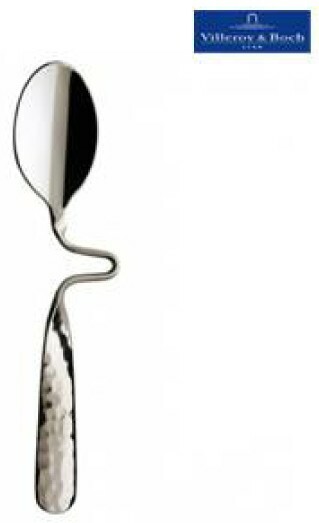 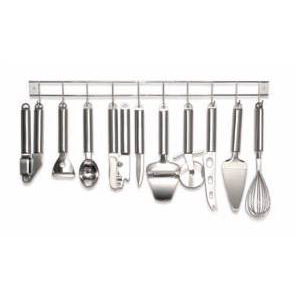 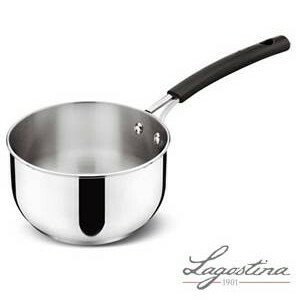 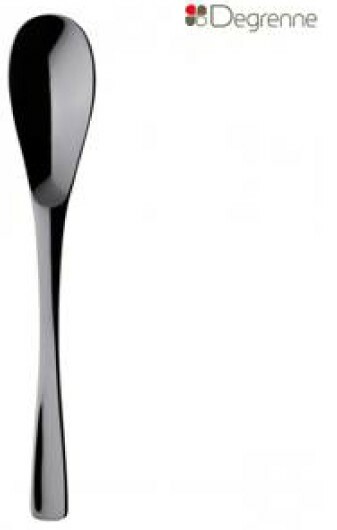 Prestation : POELE 28 CM INOX, LAGOSTINA - Port inclus. 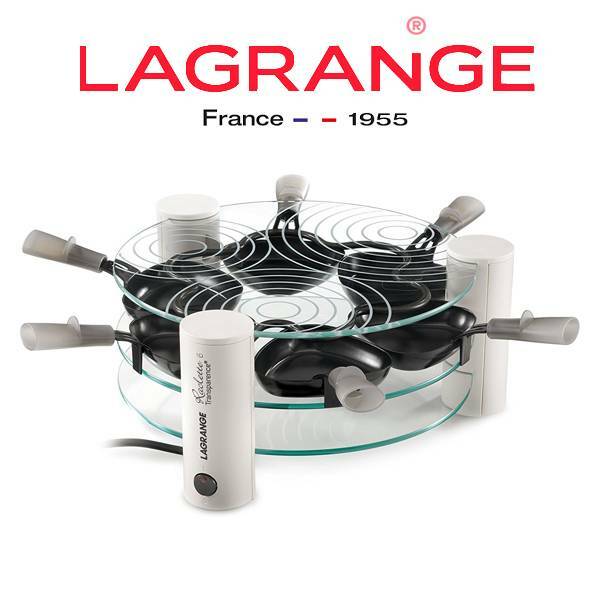 Prestation : RACLETTE 6 TRANSPARENTE, LAGRANGE - Port inclus. 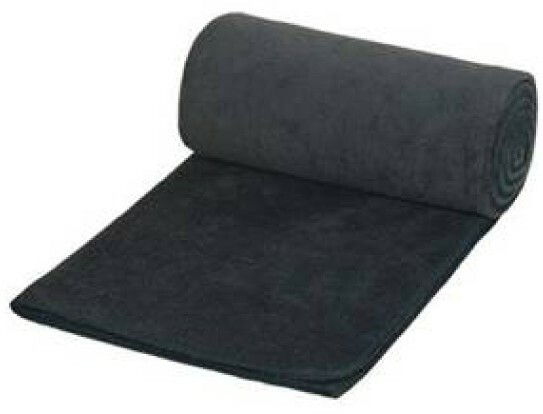 Prestation : COUSSIN CHAUFFANT, BEURER - Port inclus. 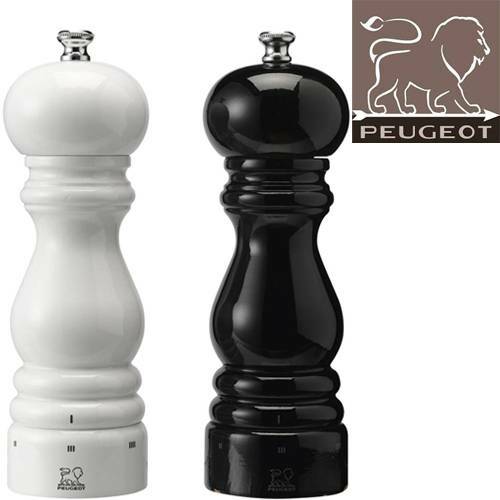 Prestation : DUO SEL ET POIVRE, PEUGEOT - Port inclus. 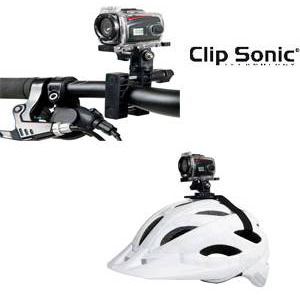 Prestation : CAMERA DE SPORT HD MINIATURE, CLIP SONIC - Port inclus. 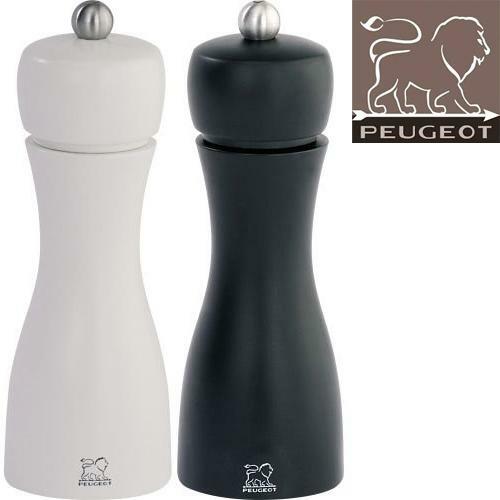 Prestation : COFFRET MOULIN A POIVRES + POIVRES, PEUGEOT - Port inclus. 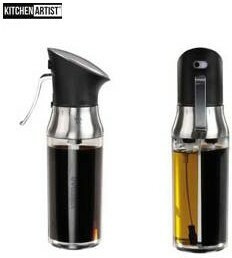 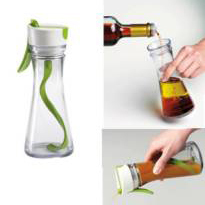 Prestation : CARAFE A VIN RAFRAICHISSANTE, ArtsTable - Port inclus. 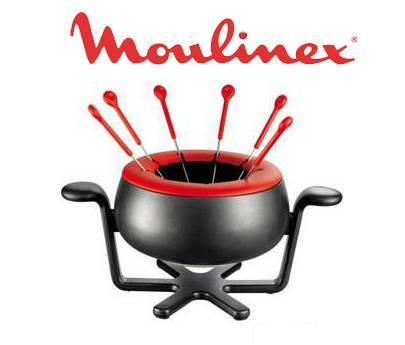 Prestation : FONDUE, MOULINEX - Port inclus. 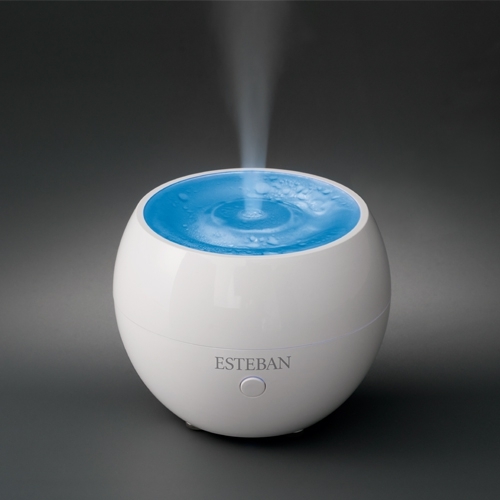 Prestation : BAIN DE PIEDS RELAXANT, BEURER - Port inclus. 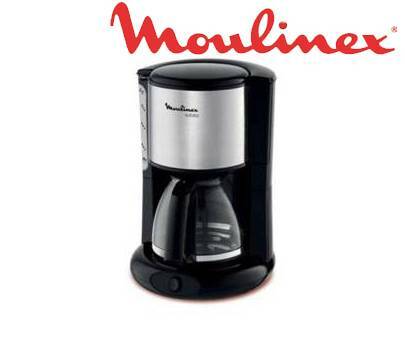 Prestation : CAFETIERE SUBITO ISOTHERME NOIR/INOX, MOULINEX - Port inclus. 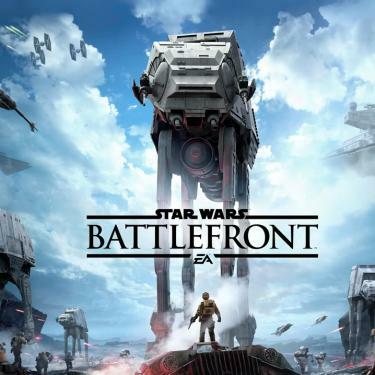 Prestation : BATTLEFRONT ULTIMATE EDITION, ELECTRONIC ARTS - Port inclus. 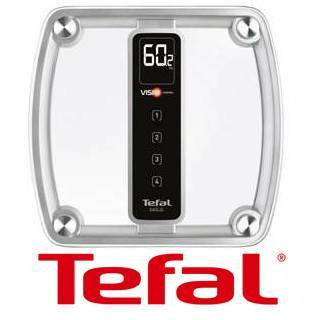 Prestation : THEIERE AVEC SYSTEME D'INFUSION, TEFAL - Port inclus. 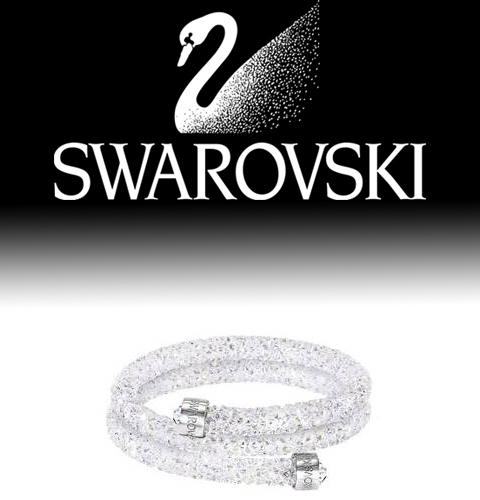 Prestation : BRACELET MANCHETTE BLANC, SWAROVSKI - Port inclus. 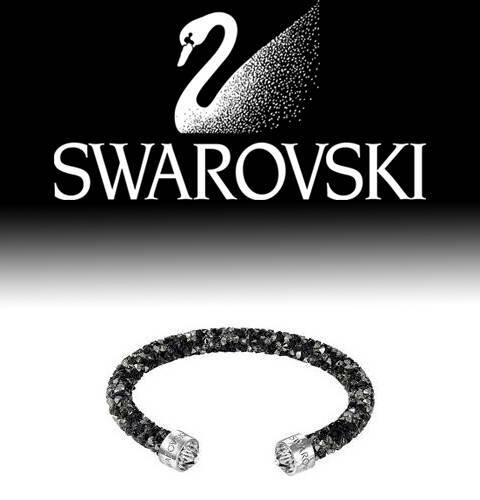 Prestation : BRACELET CRYSTALDUST NOIR, SWAROVSKI - Port inclus. 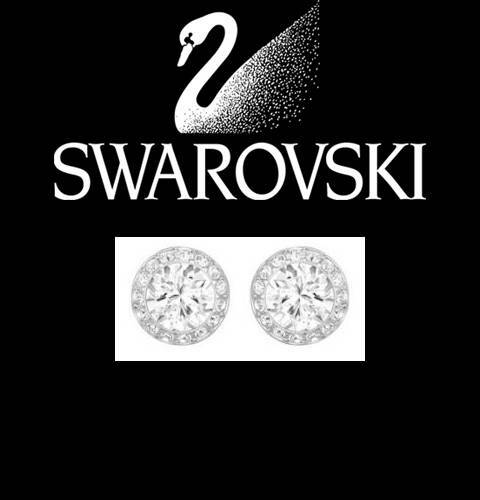 Prestation : BRACELET SLAKE NOIR, SWAROVSKI - Port inclus. 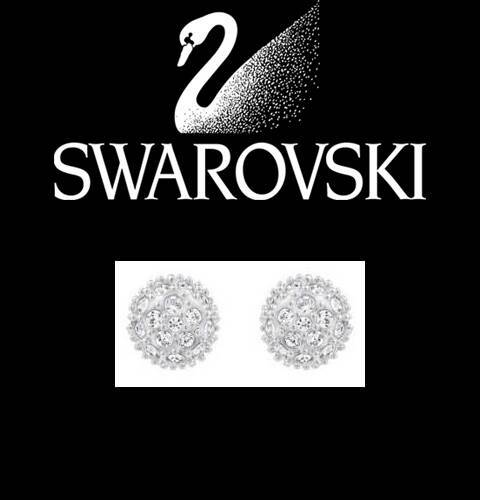 Prestation : BOUCLES D'OREILLES CERCLES, SWAROVSKI - Port inclus. Prestation : BRACELET MANCHETTE DORE, SWAROVSKI - Port inclus. 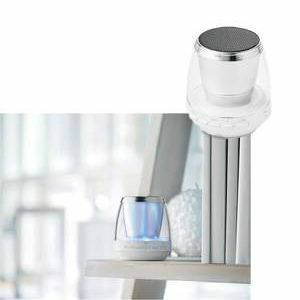 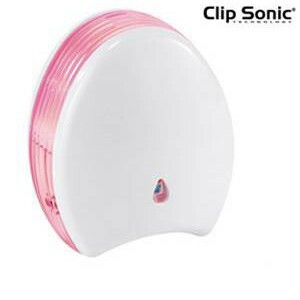 Prestation : CHAUFFAGE COLONNE CERAMIQUE, DOMOCLIP - Port inclus. 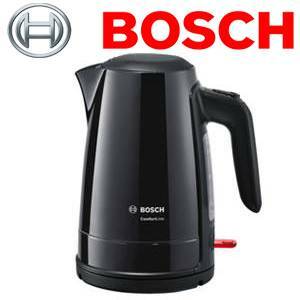 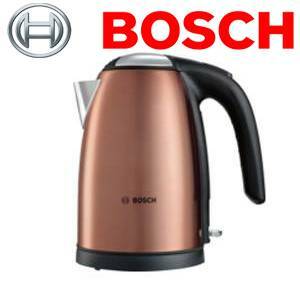 Prestation : BOUILLOIRE 1.7 L CUIVRE, BOSCH - Port inclus. 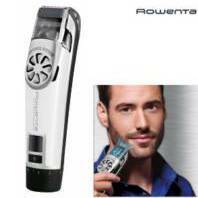 Prestation : TONDEUSE BARBE, ROWENTA - Port inclus. 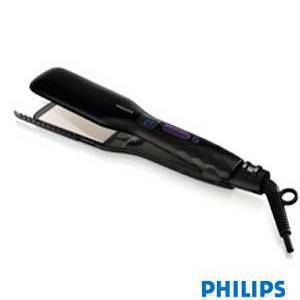 Prestation : TONDEUSE MULTISTYLES, ROWENTA - Port inclus. 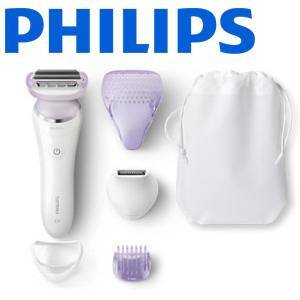 Prestation : LISSEUR RAPIDITE ET DOUCEUR, PHILIPS - Port inclus. 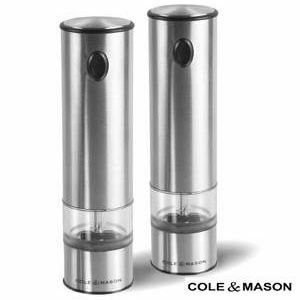 Prestation : COFFRET MOULINS SEL ET POIVRE ELECTRIQUE, COLE & MASON - Port inclus. 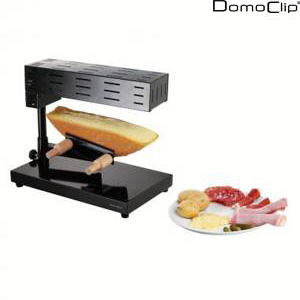 Prestation : APPAREIL A RACLETTE TRADITIONNEL, DOMOCLIP - Port inclus. 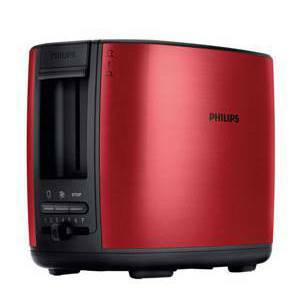 Prestation : GRILLE PAIN RED CHINA, PHILIPS - Port inclus. 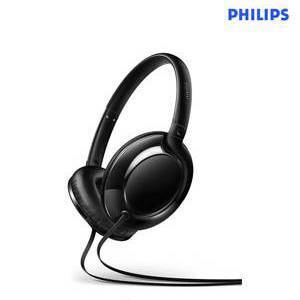 Prestation : LECTEUR CD NOIR, PHILIPS - Port inclus. 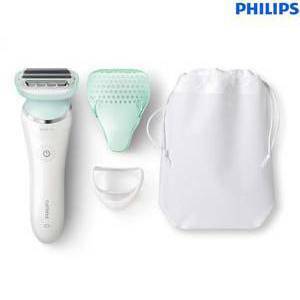 Prestation : RASOIR ELECTRIQUE FEMME, PHILIPS - Port inclus. 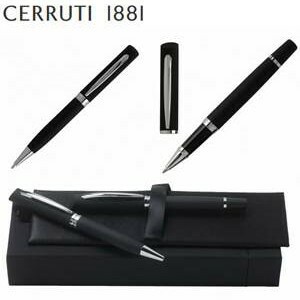 Prestation : PARURE DE STYLOS, CERRUTI-1881 - Port inclus. 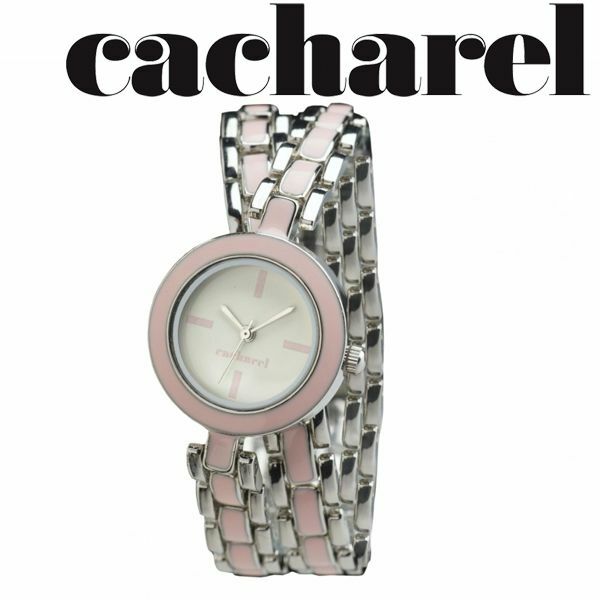 Prestation : MONTRE BRACELET ROSE, CACHAREL - Port inclus. 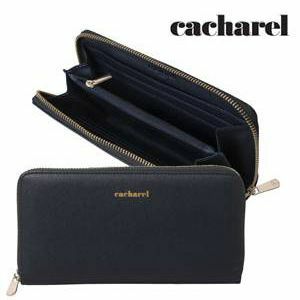 Prestation : PORTEFEUILLE FEMME BLEU, CACHAREL - Port inclus. 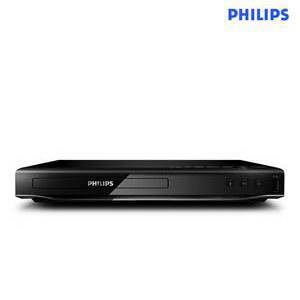 Prestation : LECTEUR DVD HDMI, PHILIPS - Port inclus. 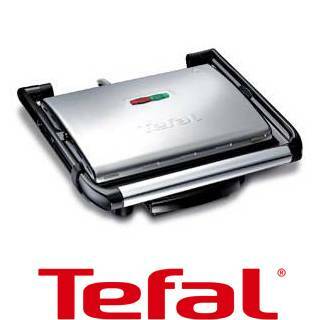 Prestation : GRILLE PAIN DOUBLE FENTE, TEFAL - Port inclus. 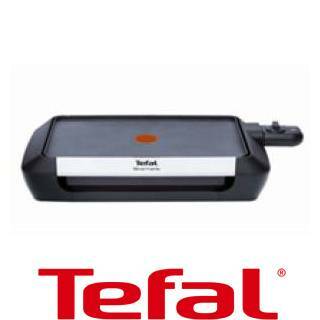 Prestation : RACLETTE 6 COUPELLES, TEFAL - Port inclus. 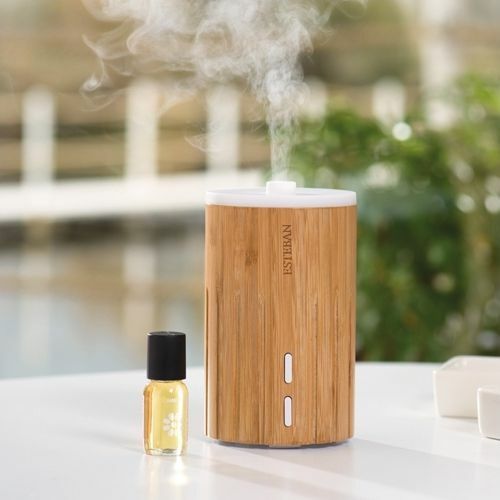 Prestation : CUISEUR VAPEUR ULTRA COMPACT, SEB - Port inclus. 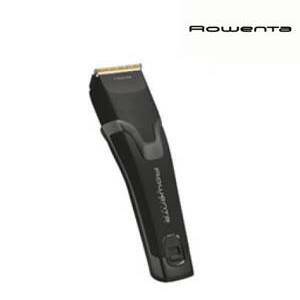 Prestation : TONDEUSE WET & DRY, ROWENTA - Port inclus. 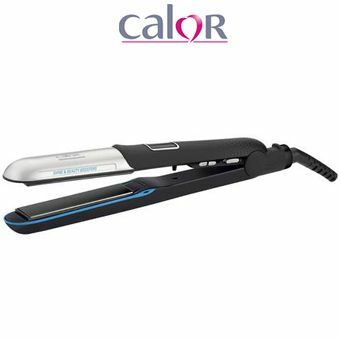 Prestation : SECHE-CHEVEUX INFINI PRO AC, CALOR - Port inclus. 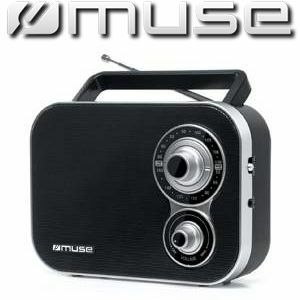 Prestation : LECTEUR CD PORTABLE NOIR, MUSE - Port inclus. 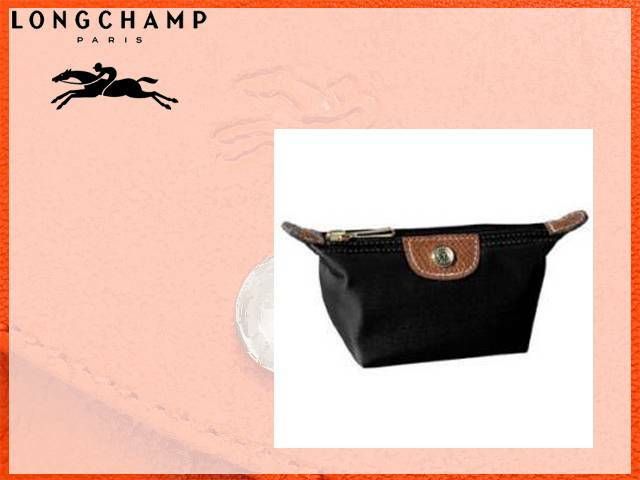 Prestation : ETUI PASSEPORT NOIR, LONGCHAMP - Port inclus. 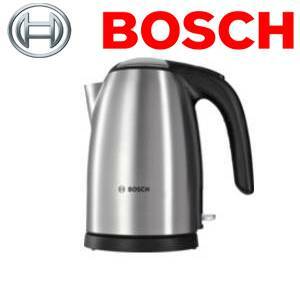 Prestation : BOUILLOIRE 1.7 LITRES ELECTRIQUE, BOSCH - Port inclus. 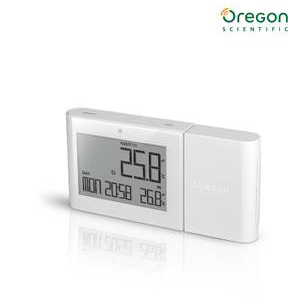 Prestation : STATION METEO, OREGON SCIENTIFIC - Port inclus. 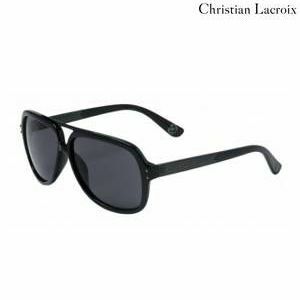 Prestation : LUNETTES DE SOLEIL HOMME, CHRISTIAN LACROIX - Port inclus. 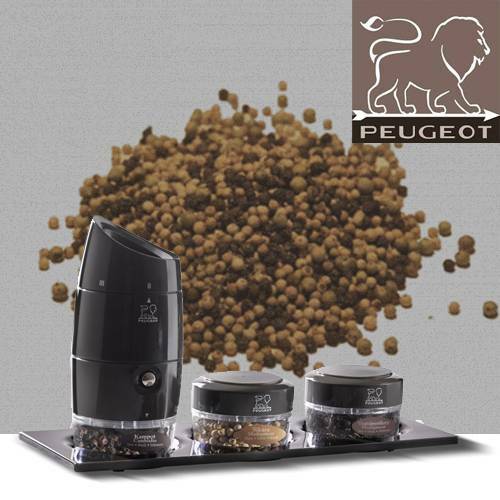 Prestation : LOT DE MOULINS A POIVRE ET SEL, PEUGEOT - Port inclus. 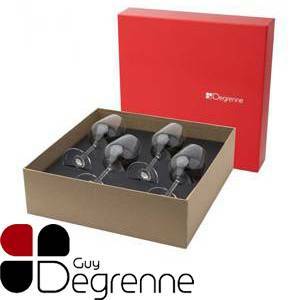 Prestation : 2x COFFRET 4 COUPES A CHAMPAGNE, GUY DEGRENNE - Port inclus. 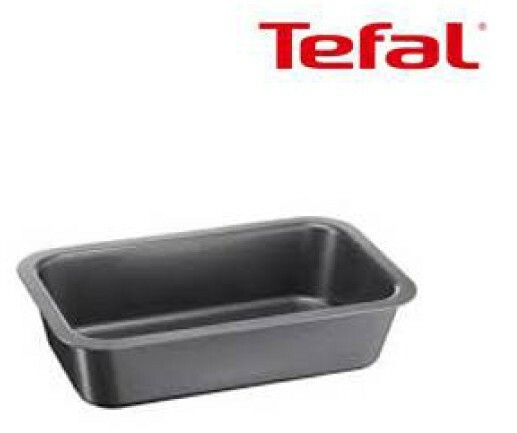 Prestation : 2x CASSEROLE INOX 20 CM, TEFAL - Port inclus. 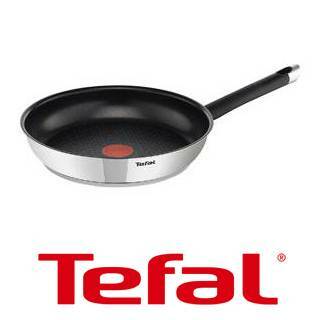 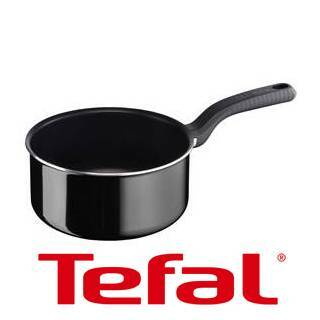 Prestation : 2x POELE 28 CM, TEFAL - Port inclus. 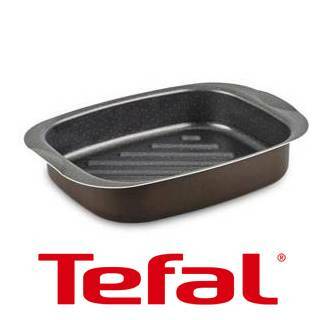 Prestation : 2x CASSEROLE 18 CM INOX, TEFAL - Port inclus. 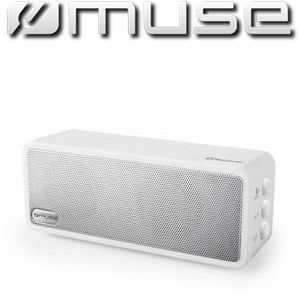 Prestation : 2x ENCEINTE BLUETOOTH BLANCHE, MUSE - Port inclus. 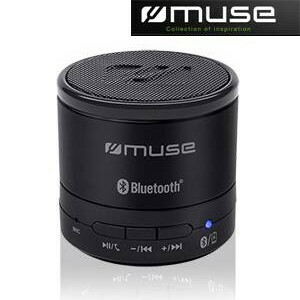 Prestation : 2x ENCEINTE BLUETOOTH BLEUE, MUSE - Port inclus. 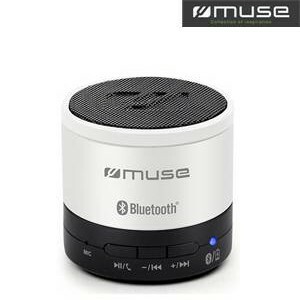 Prestation : 2x ENCEINTE BLUETOOTH ROUGE, MUSE - Port inclus. 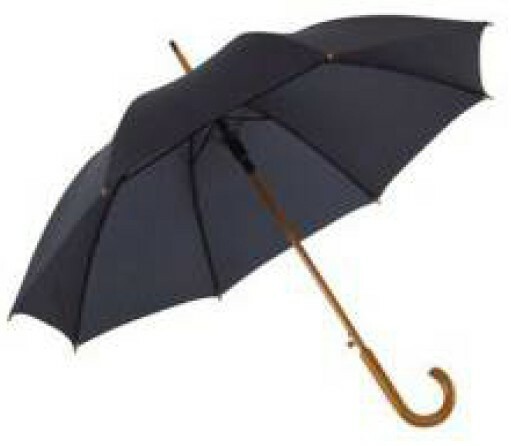 Prestation : 2x PARAPLUIE NOIR, SAMSONITE - Port inclus. 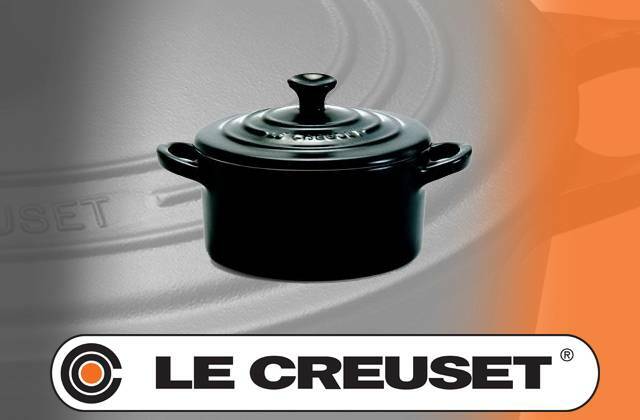 Prestation : 2x MINI COCOTTE RONDE NOIRE, LE CREUSET - Port inclus. 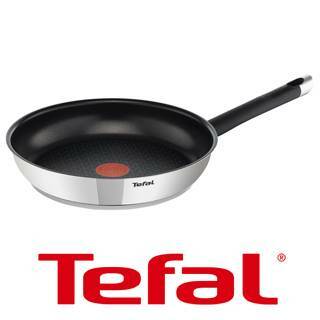 Prestation : 2x PLAT A ROTIR, TEFAL - Port inclus. 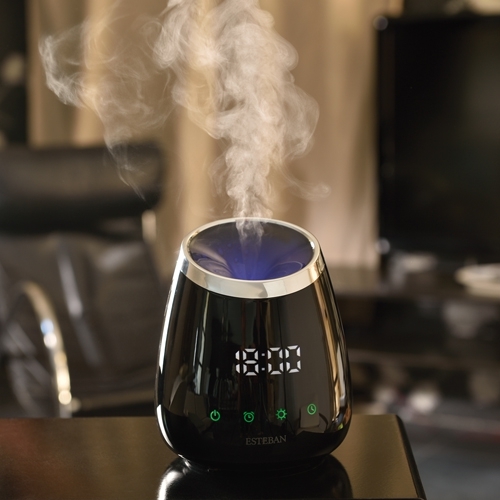 Prestation : Diffuseur Brume de parfum - Edition Black Timer et son cencentré Figue Noire; Livraison incluse. 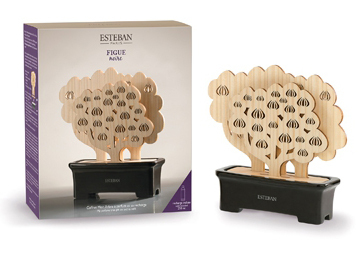 Prestation : Diffuseur Brume de parfum - Edition Elessens et son concentré Figue Noire, livraison incluse. 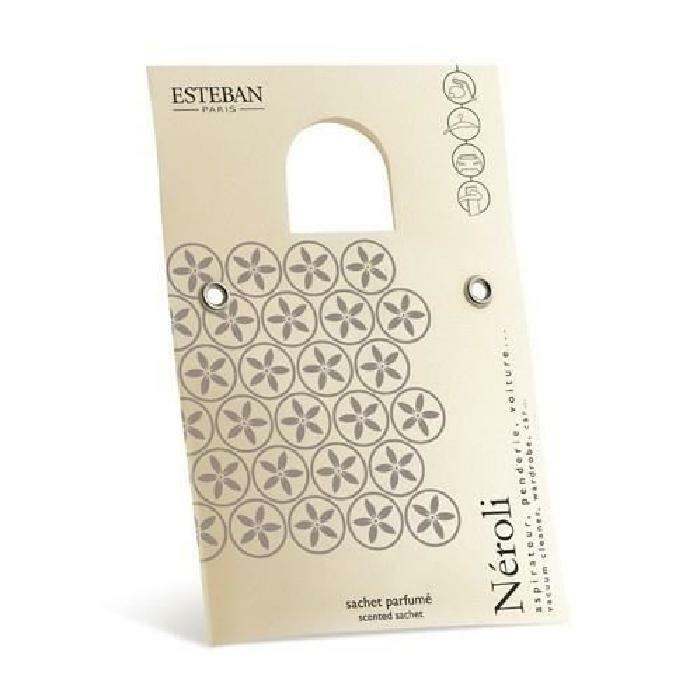 Prestation : 5x Sachet parfumé Néroli Esteban, livraison incluse. 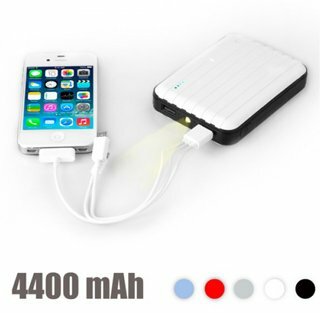 Prestation : 2x Power Bank USB avec LED 4400 mAh, livraison comprise. 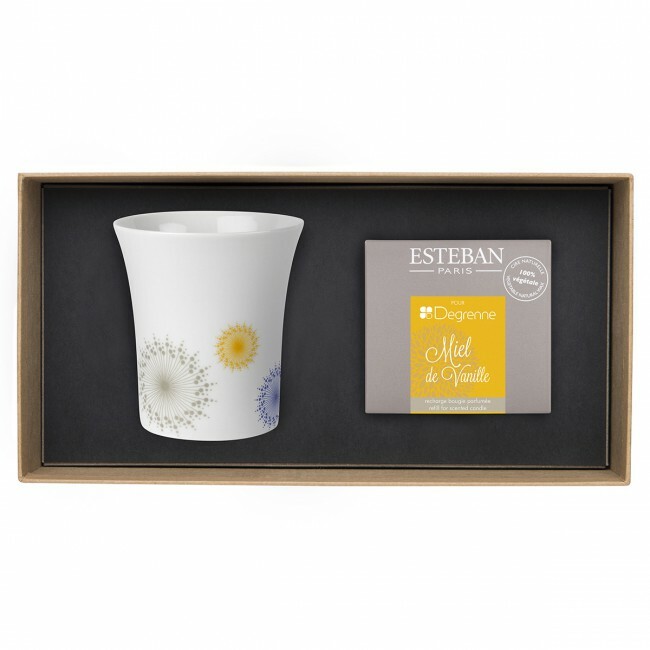 Prestation : COFFRET MAISON L'OCCITANE Port inclus. 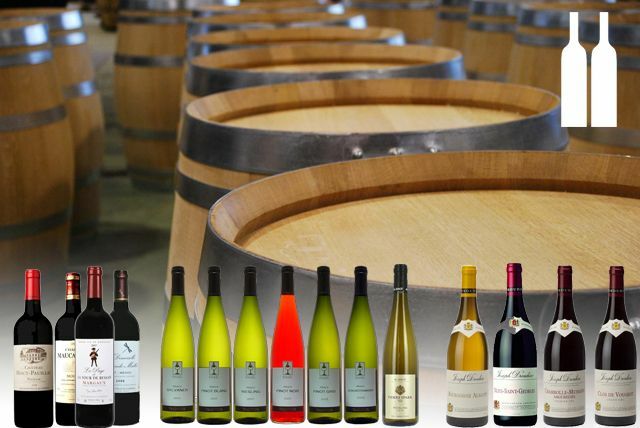 Prestation : COLIS "CABAS DU VERDON" SUDREAU Port inclus. 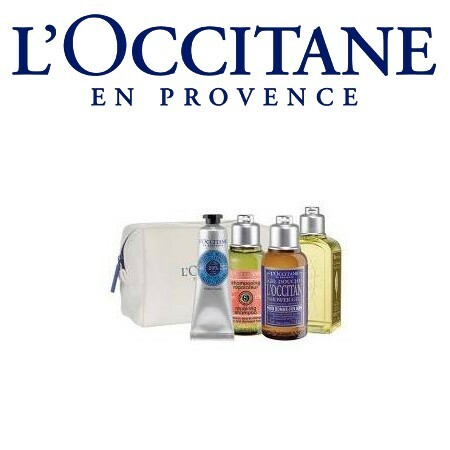 Prestation : COFFRET HOMME L'OCCITANE L'OCCITANE Port inclus. 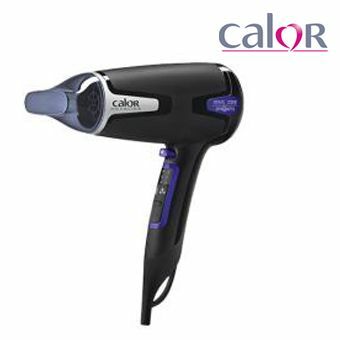 Prestation : Appareil à coiffer CALOR Port inclus. 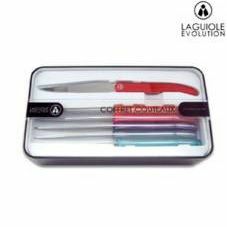 Prestation : COFFRET 6 COUTEAUX STEAK LAGUIOLE EVOLUTION Port inclus. 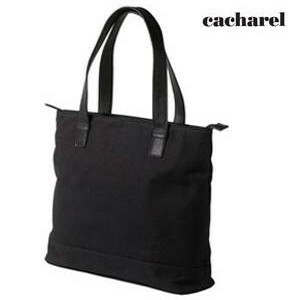 Prestation : SAC SHOPPING CACHAREL Port inclus. 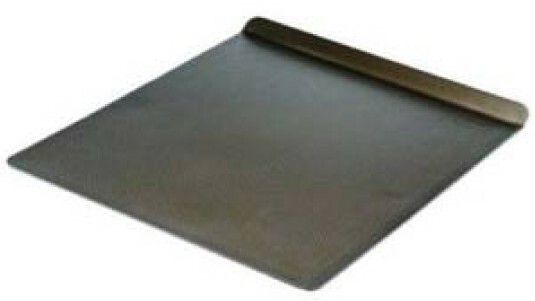 Prestation : CASSEROLE INOX 20 CM LAGOSTINA Port inclus. 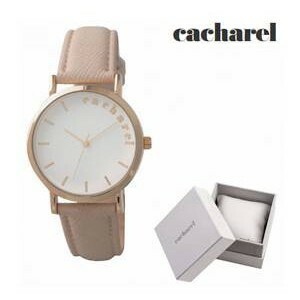 Prestation : MONTRE FEMME BEIGE CACHAREL Port inclus. 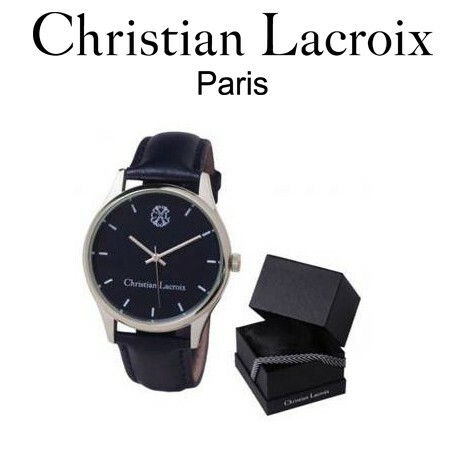 Prestation : Montre Homme Poursuite Blue CHRISTIAN LACROIX Bleue, Port inclus. 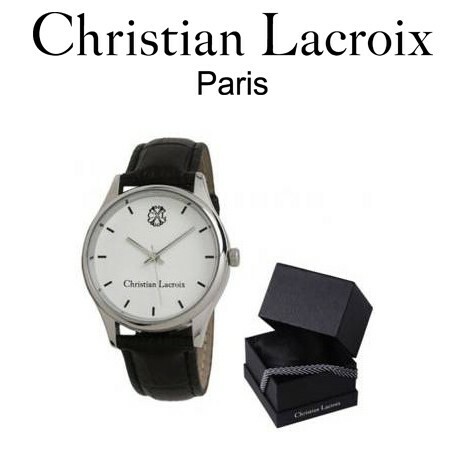 Prestation : Montre Homme Poursuite Blue CHRISTIAN LACROIX Blanche, Port inclus. 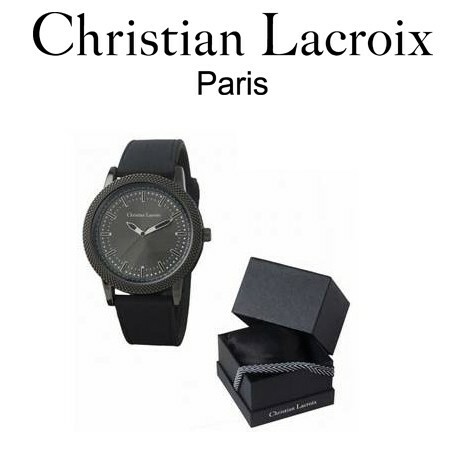 Prestation : MONTRE HOMME CHRISTIAN LACROIX Port inclus. 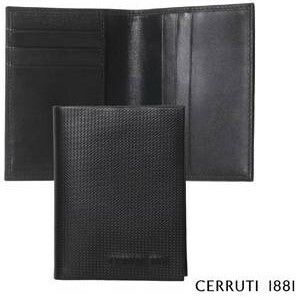 Prestation : PORTE CARTES CERRUTI-1881 Port inclus. 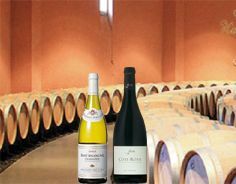 Prestation : 3x 1 BOUTEILLE CHATEAU DAVID Port inclus. 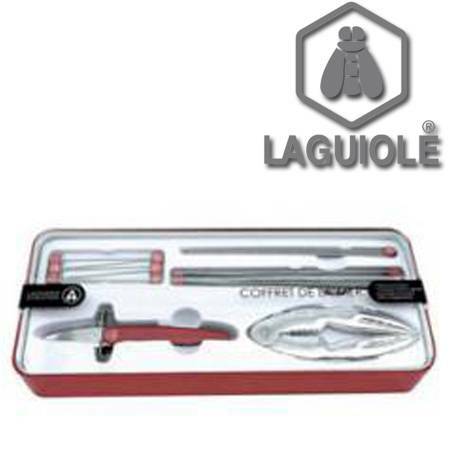 Prestation : 3x COFFRET 6 COUTEAUX DE TABLE LAGUIOLE Port inclus. 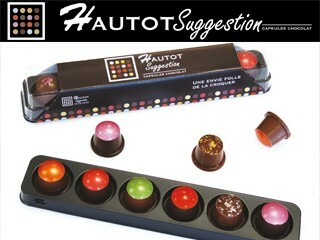 Prestation : 3x 1 BOUTEILLE COTES DE BORDEAUX CH. 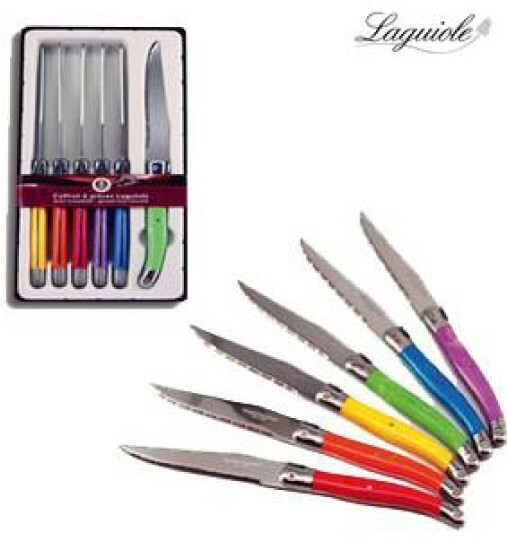 LA PIERRIERE Port inclus. 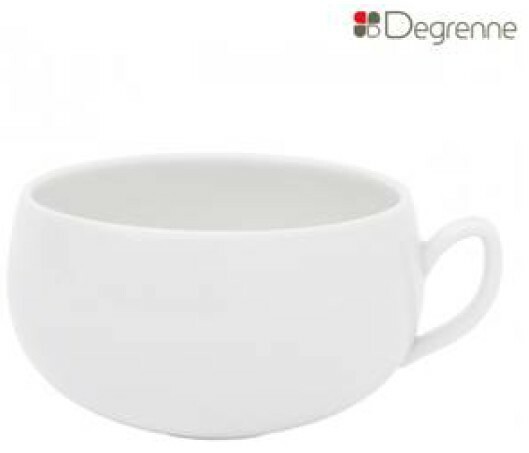 Prestation : 3x Mug à Thé Guy Degrenne, port inclus. 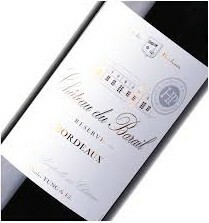 Prestation : 3x Château du Barail "Réserve" 2013, livraison comprise. 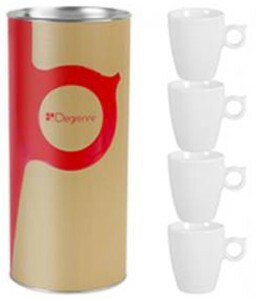 Prestation : 2x Tasses expresso 6 centillitres - Guy Degrenne, port inclus. 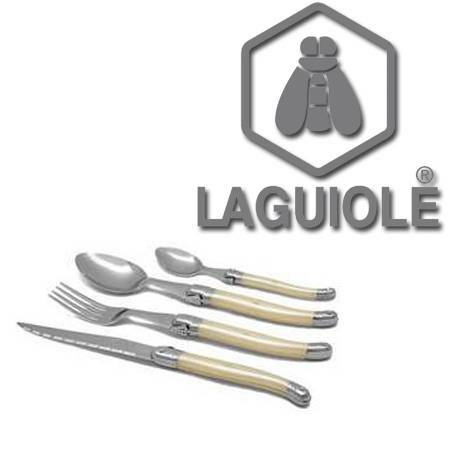 Prestation : Votre cave sur mesure (3 à 4 bouteilles), livraison comprise. 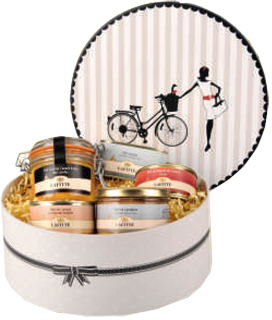 Prestation : COFFRET AMANDE, L'OCCITANE - Port inclus. 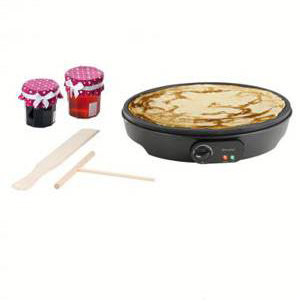 Prestation : RACLETTE 8 GRILL CREPES 3 EN 1, LAGRANGE - Port inclus. 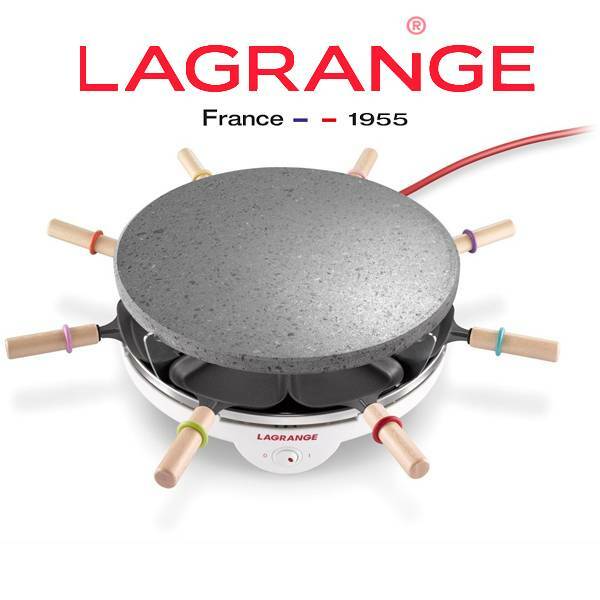 Prestation : RACLETTE PIERRE 2EN1 8 PERS., LAGRANGE - Port inclus. Prestation : SAC A DOS NOIR, LONGCHAMP - Port inclus. 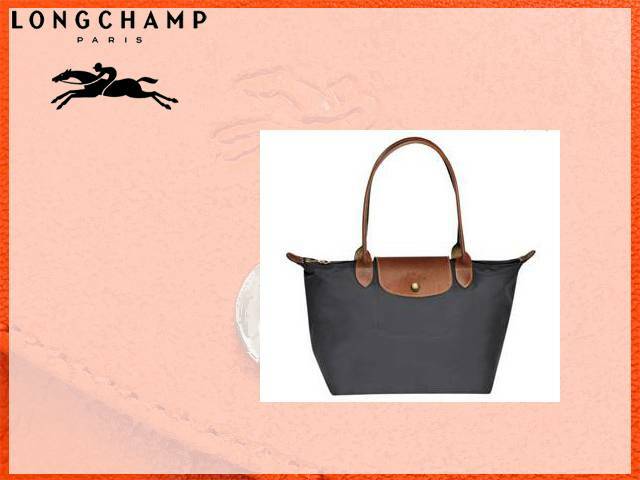 Prestation : SAC SHOPPING S GRIS, LONGCHAMP - Port inclus. 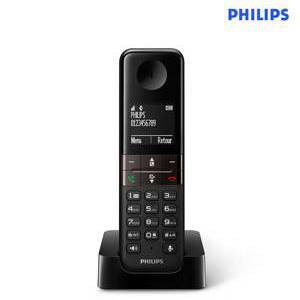 Prestation : TELEPHONE SANS FIL REPONDEUR, PHILIPS - Port inclus. 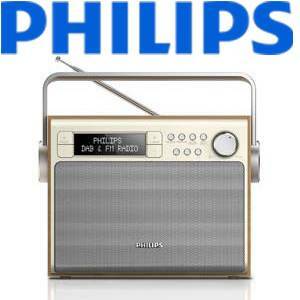 Prestation : RADIO VINTAGE, PHILIPS - Port inclus. 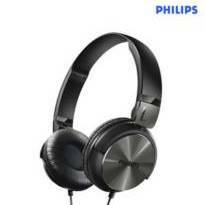 Prestation : CASQUE BLUETOOTH NOIR, PHILIPS - Port inclus. 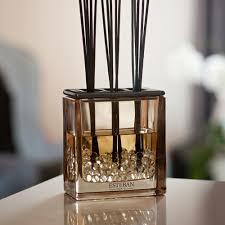 Prestation : COMPAGNON DE VOYAGE, NINA RICCI - Port inclus. 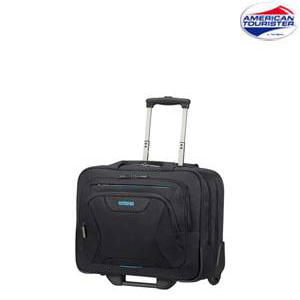 Prestation : VALISE ROLLING TOTE NOIRE, AMERICAN-TOURISTER - Port inclus. 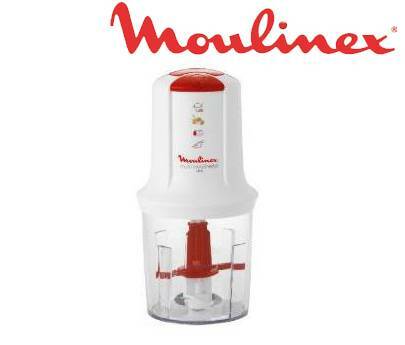 Prestation : MOULIN A POIVRE ELECTRIQUE TACTILE, PEUGEOT - Port inclus. 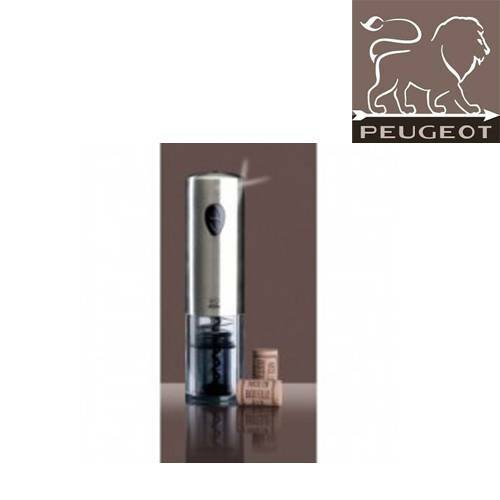 Prestation : TIRE BOUCHON ELECTRIQUE, PEUGEOT - Port inclus. 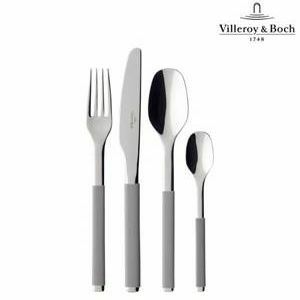 Prestation : MENAGERE 24 PIECES TAUPE, VILLEROY & BOCH - Port inclus. 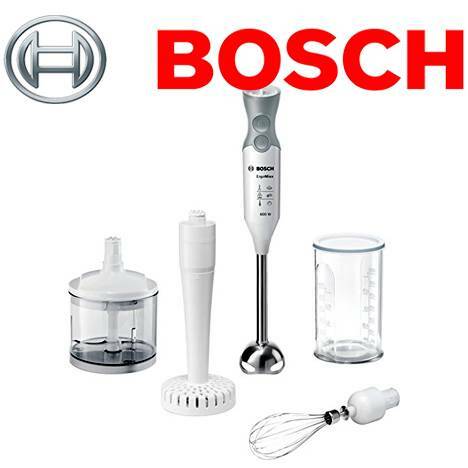 Prestation : MIXER PLONGEANT, BOSCH - Port inclus. 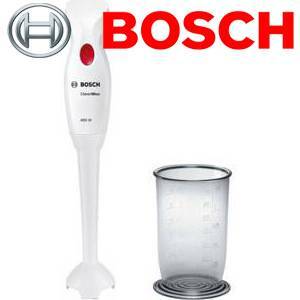 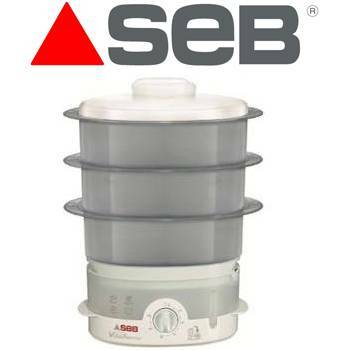 Prestation : ASPIRATEUR DE TABLE EAU ET POUSSIERE, BOSCH - Port inclus. 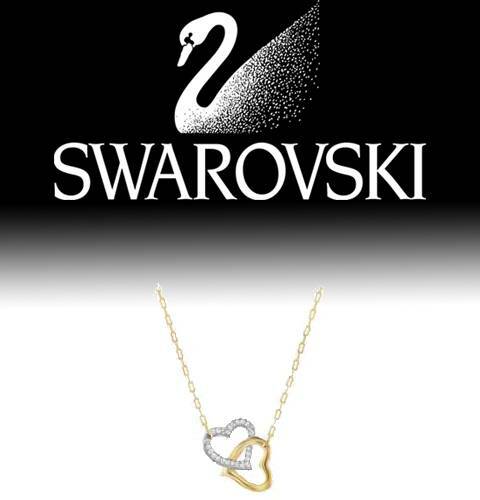 Prestation : PENDENTIF COEURS, SWAROVSKI - Port inclus. 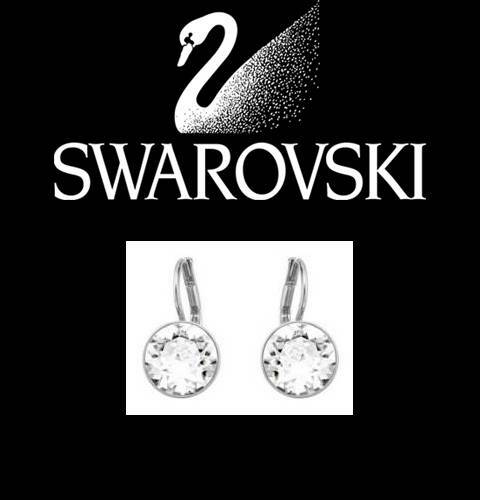 Prestation : PENDENTIF, SWAROVSKI - Port inclus. 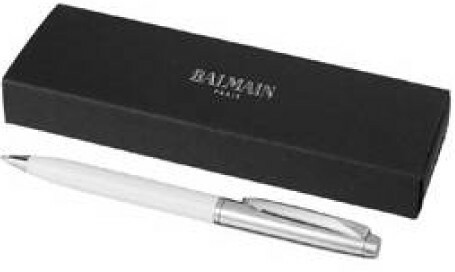 Prestation : BRACELET DOUBLE MANCHETTE BLANC, SWAROVSKI - Port inclus. 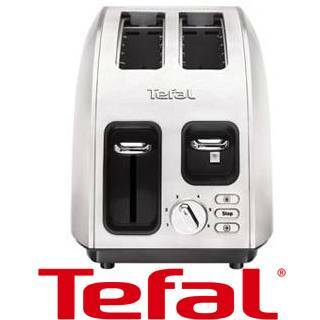 Prestation : APPAREIL A CROQUE MONSIEUR / GAUFRIER, TEFAL - Port inclus. 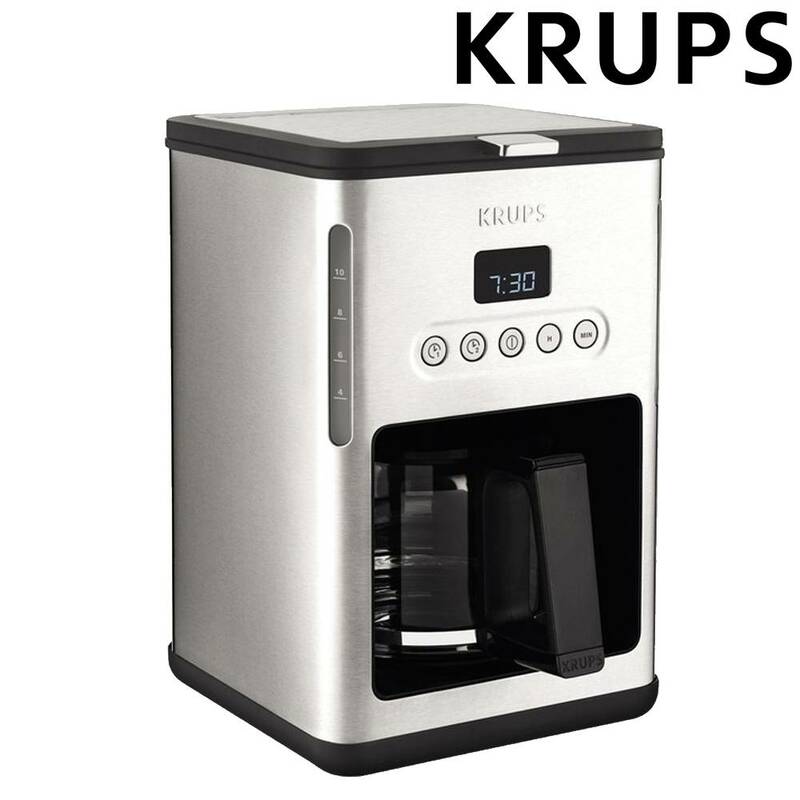 Prestation : CAFETIERE PROGRAMMABLE CONTROL LINE, KRUPS - Port inclus. 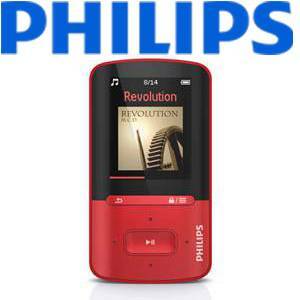 Prestation : BALADEUR MP4 4GO, PHILIPS - Port inclus. 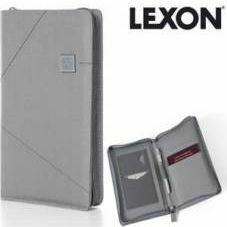 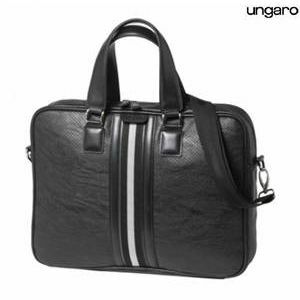 Prestation : PORTE-ORDINATEUR 15", UNGARO - Port inclus. 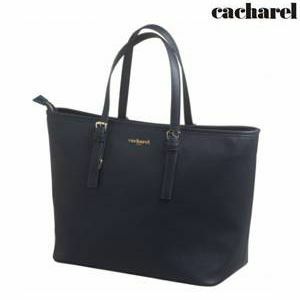 Prestation : SAC PORTE MAIN MARINE, LONGCHAMP - Port inclus. 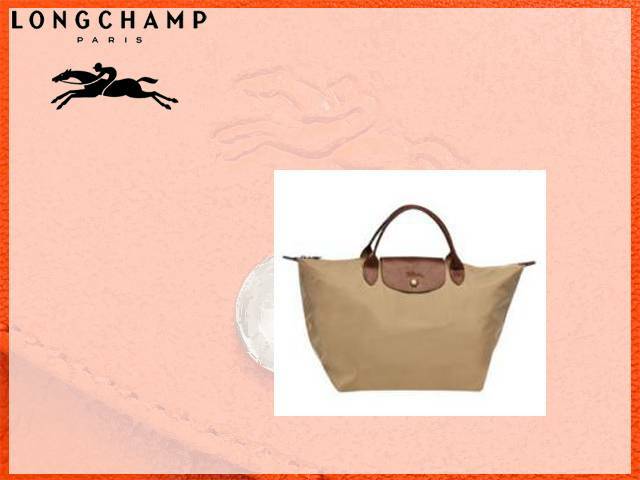 Prestation : SAC PORTE MAIN BEIGE, LONGCHAMP - Port inclus. 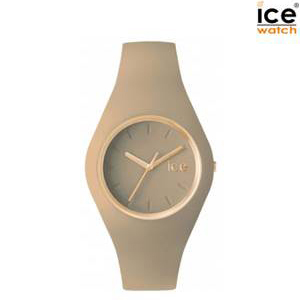 Prestation : MONTRE FEMME BLANCHE BEIGE, ICE WATCH - Port inclus. 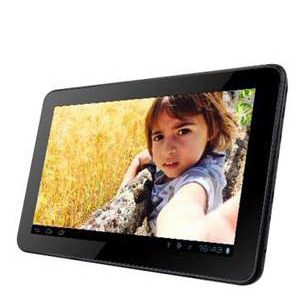 Prestation : TABLETTE 9'' 8 Go, NEW THEORY - Port inclus. 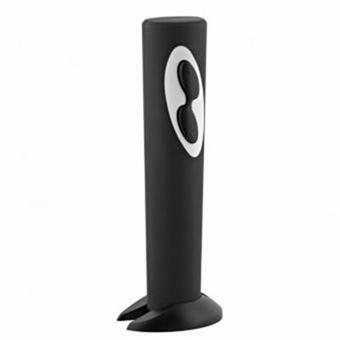 Prestation : ENCEINTE BLUETOOTH NOIR, XOOPAR DESIGN - Port inclus. 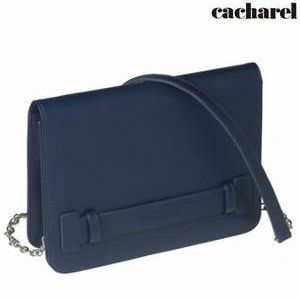 Prestation : SAC SHOPPING BLEU, CACHAREL - Port inclus. 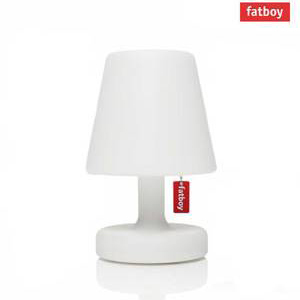 Prestation : LAMPE DECO EDISON THE PETIT, FATBOY - Port inclus. 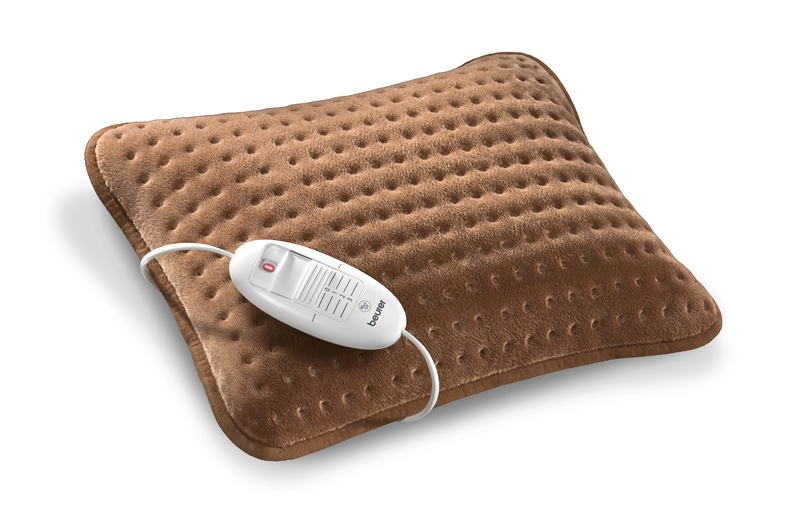 Prestation : CHAUFFE PIEDS AVEC MASSAGE SHIATSU, BEURER - Port inclus. 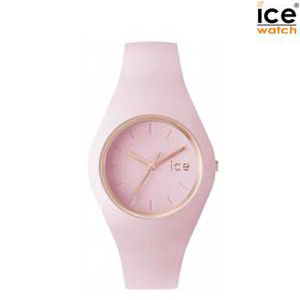 Prestation : MONTRE FEMME ROSE, ICE WATCH - Port inclus. 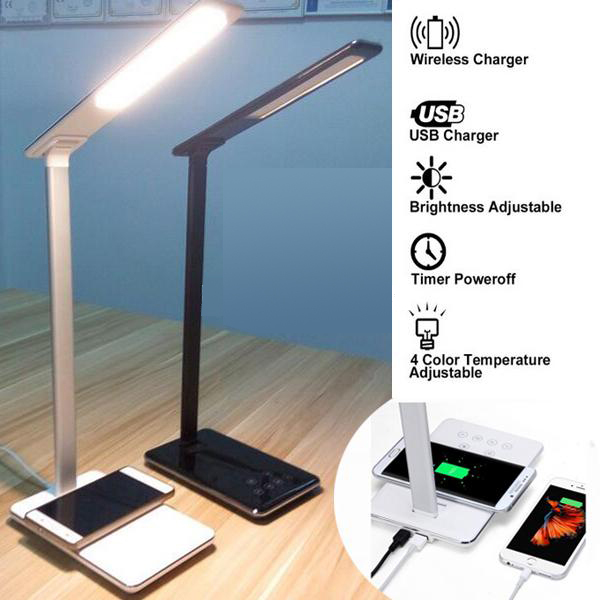 Prestation : LAMPE avec Table de contrôle tactile, chargeur Qi sans fil, Port inclus. 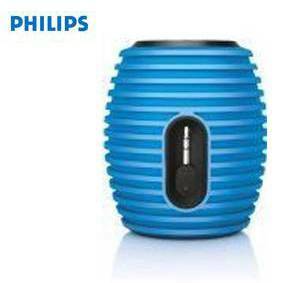 Prestation : ASPIRATEUR DE TABLE, PHILIPS - Port inclus.